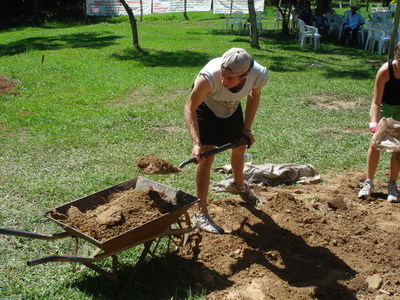 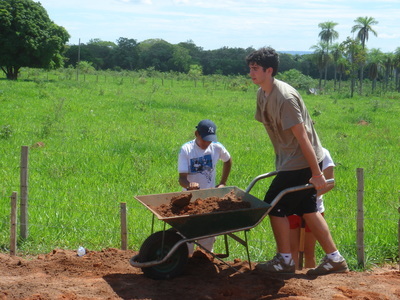 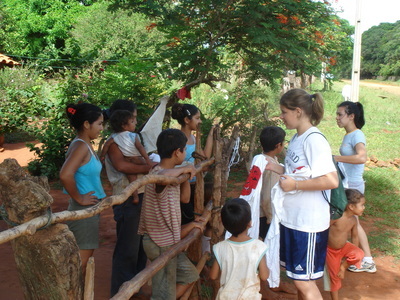 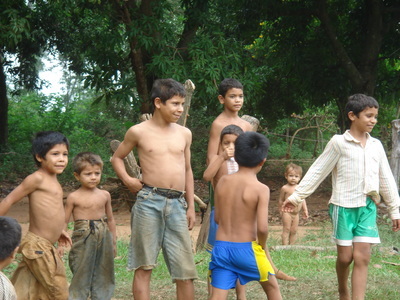 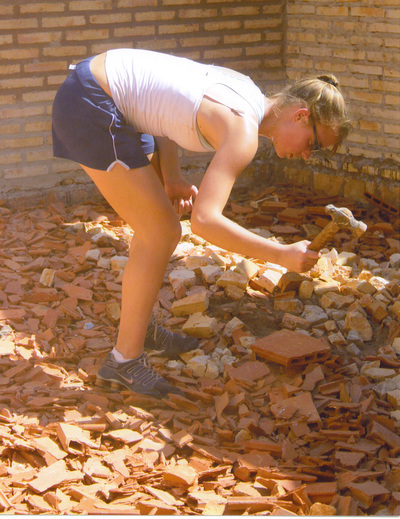 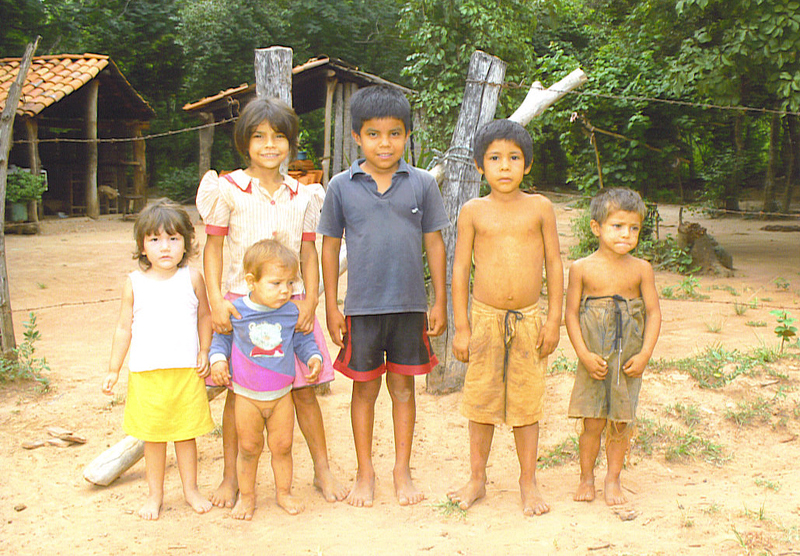 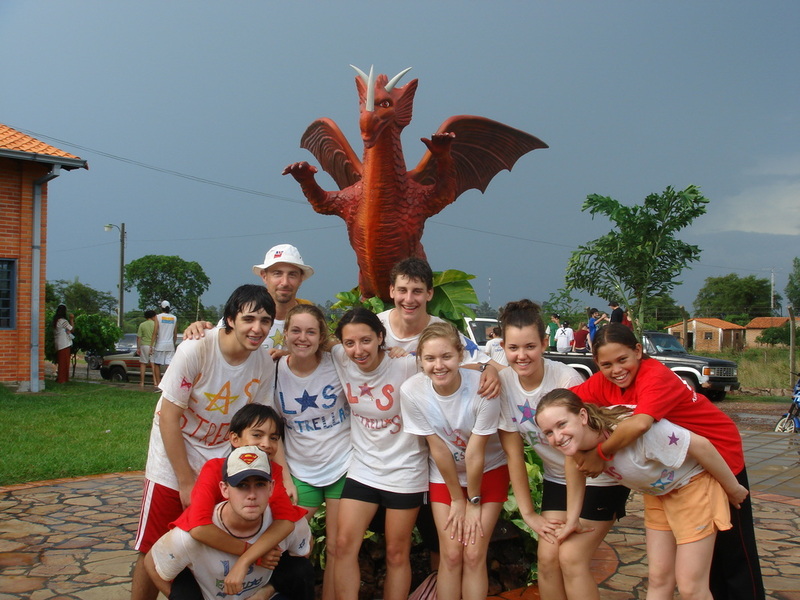 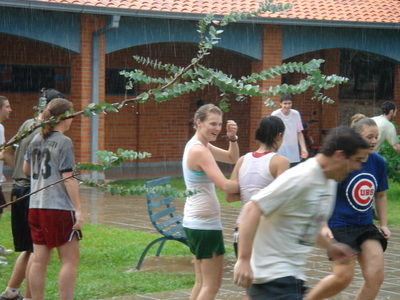 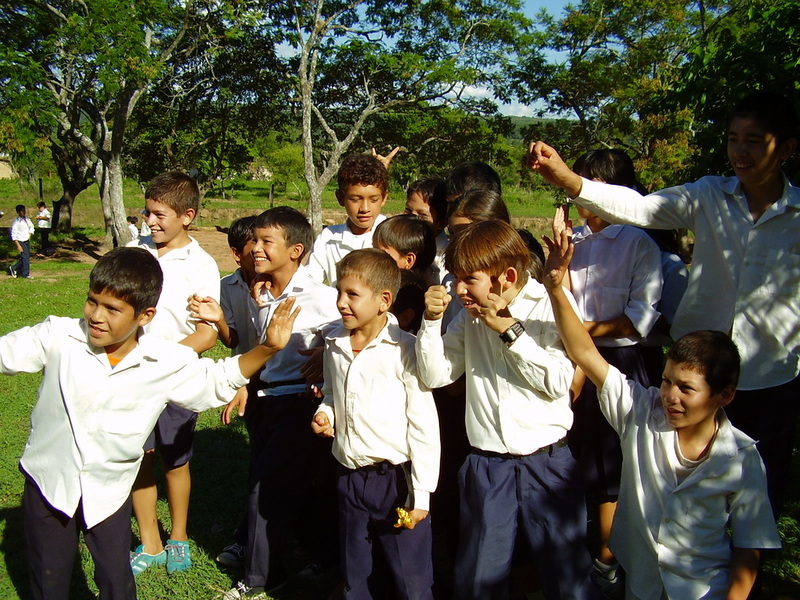 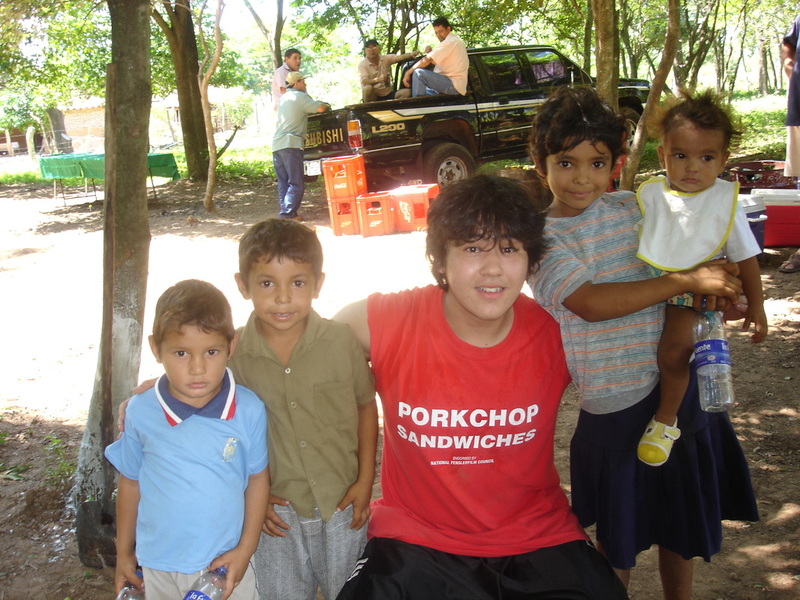 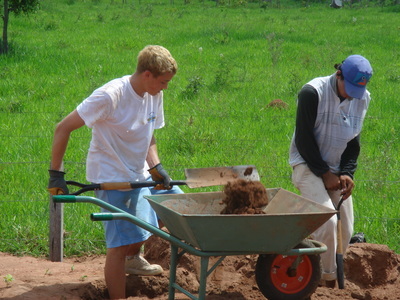 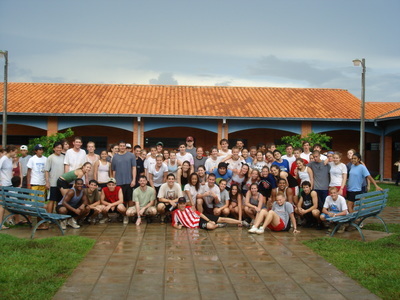 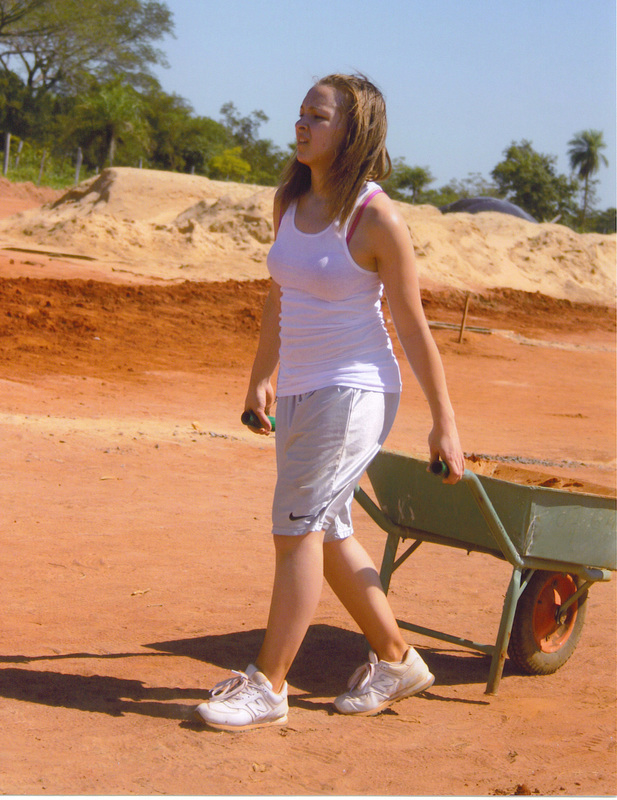 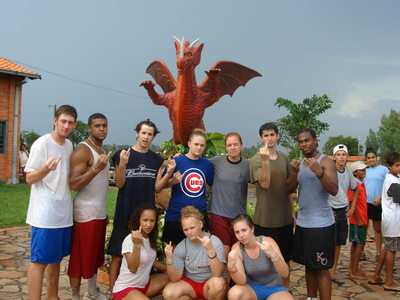 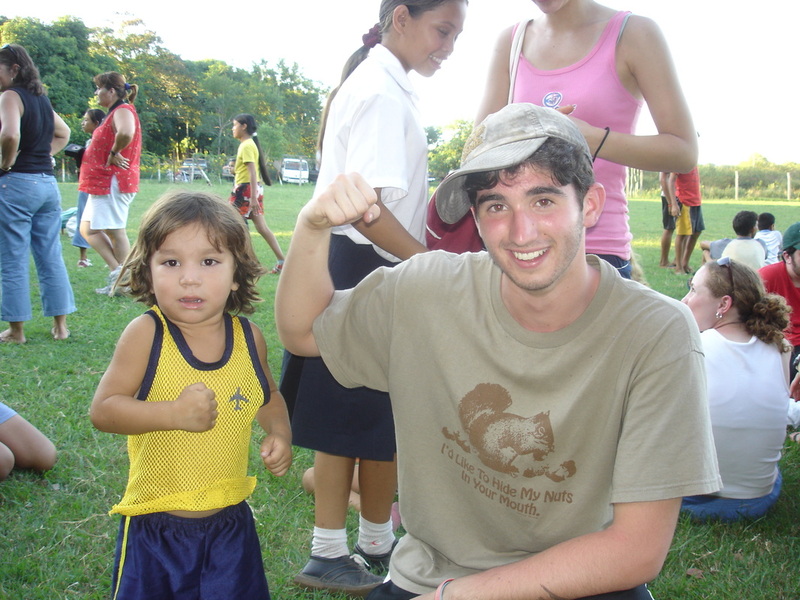 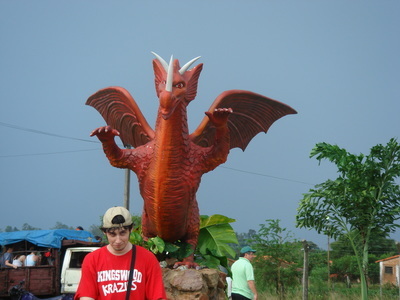 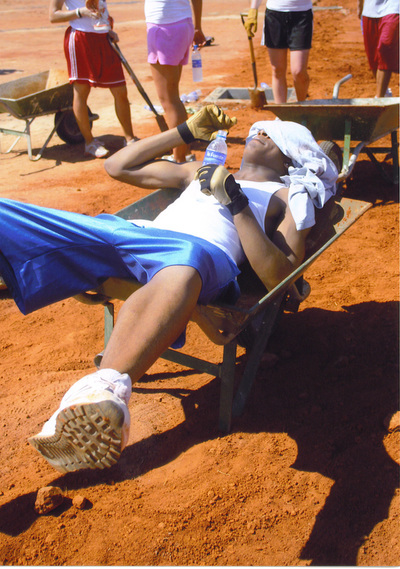 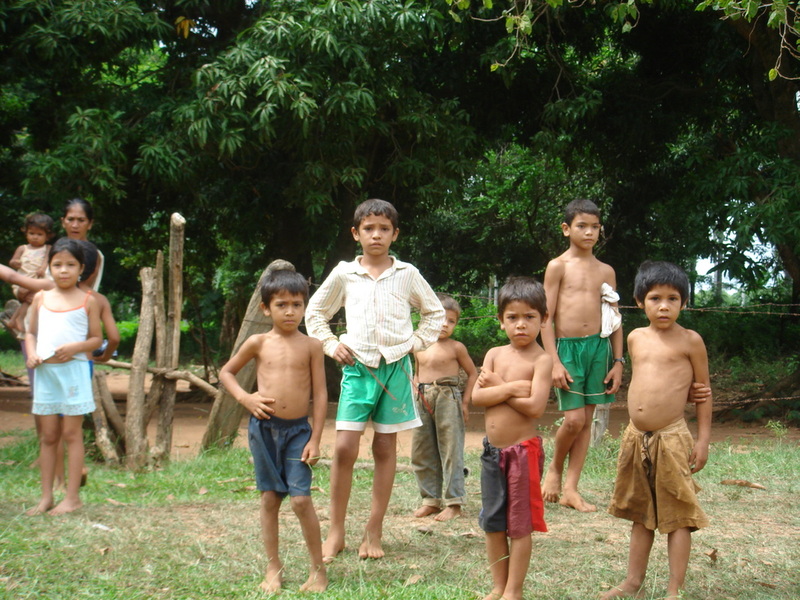 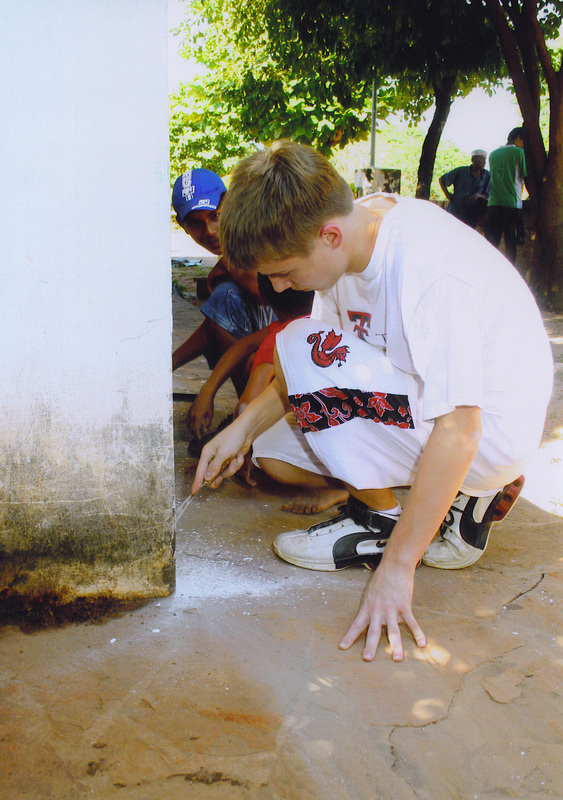 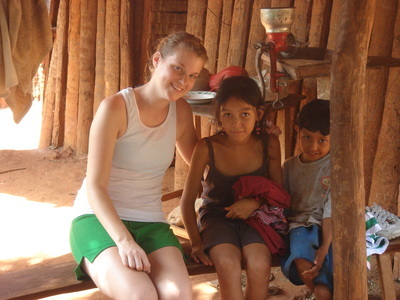 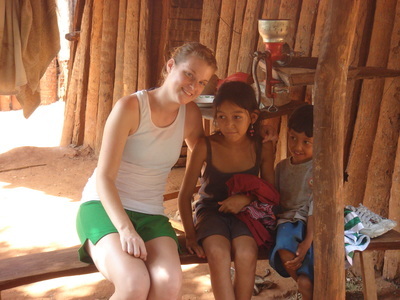 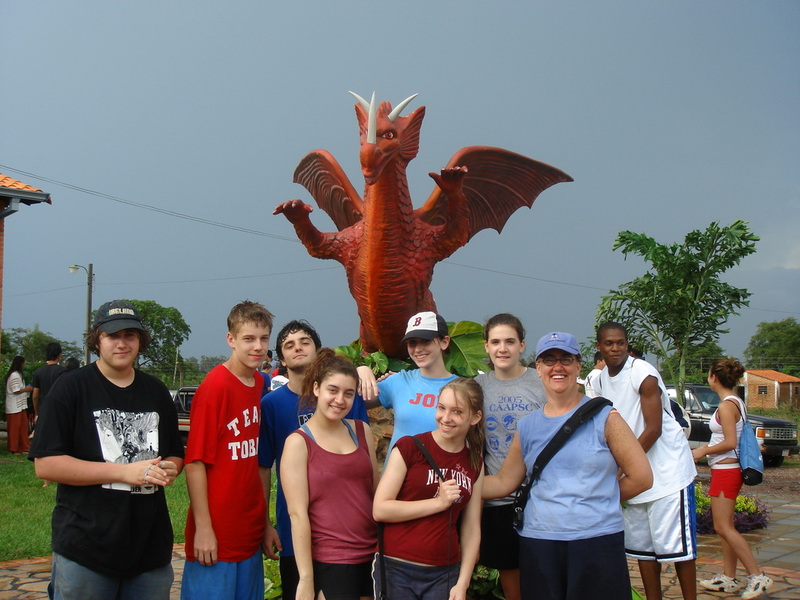 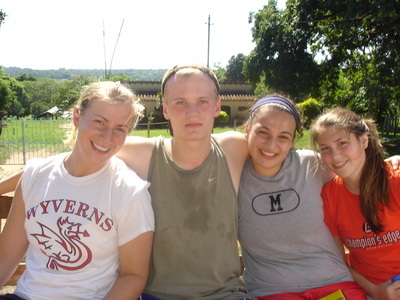 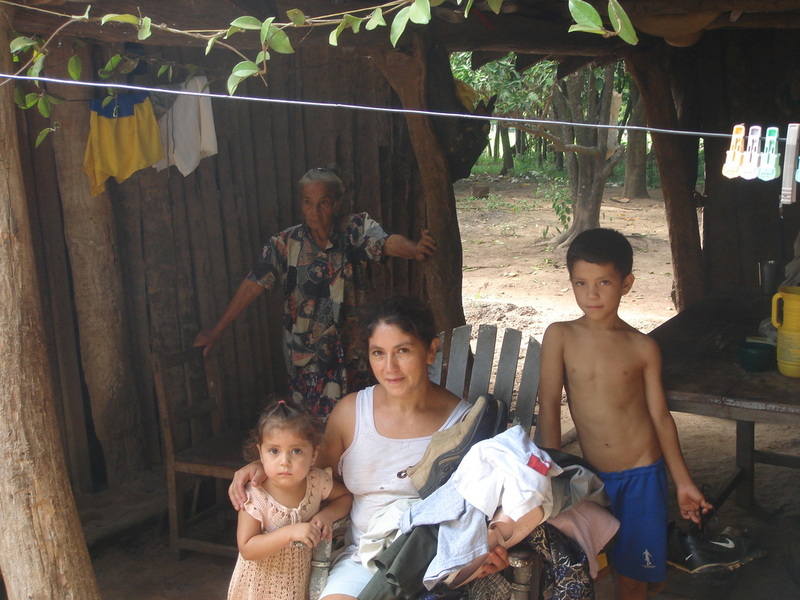 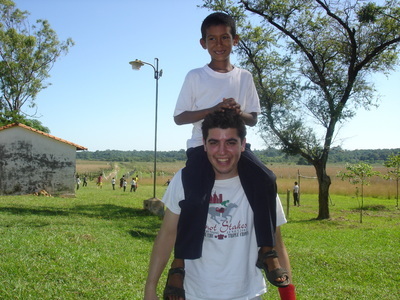 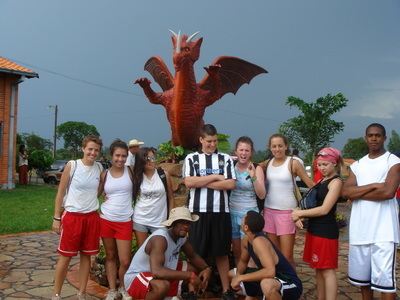 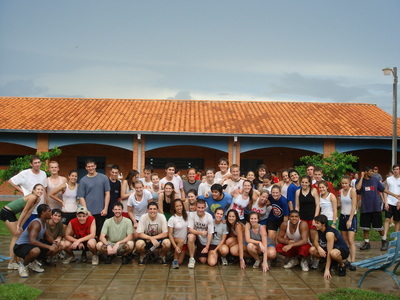 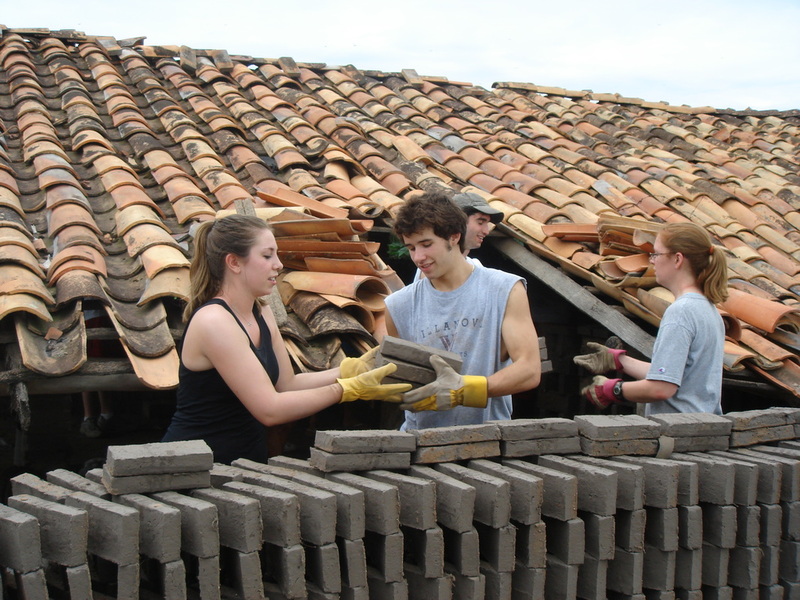 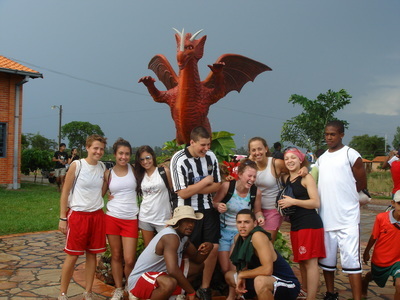 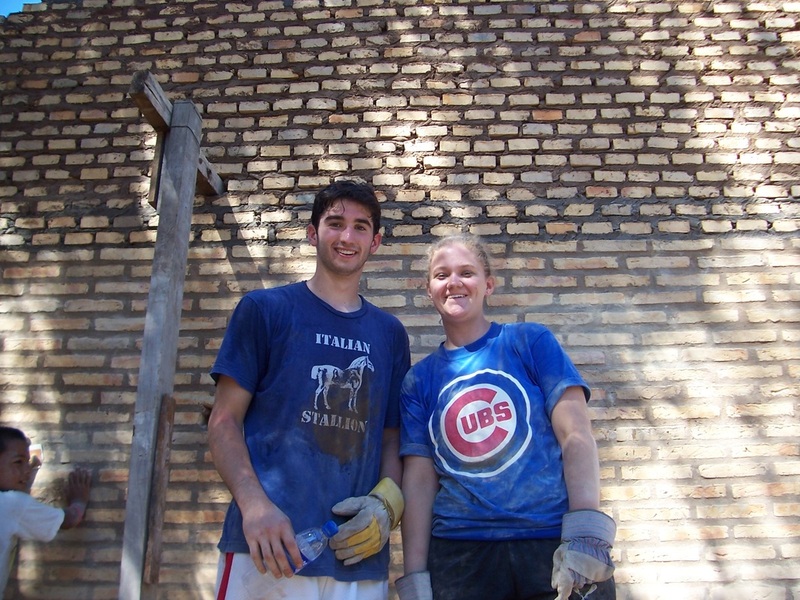 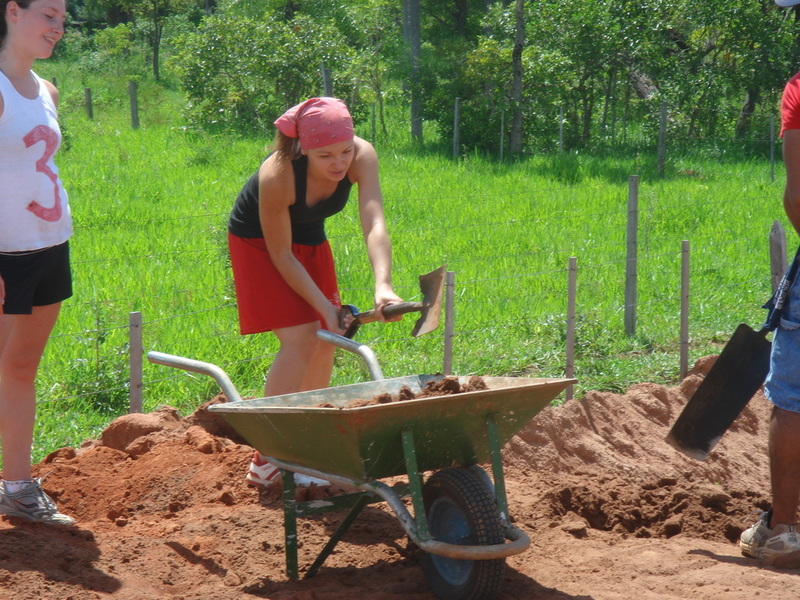 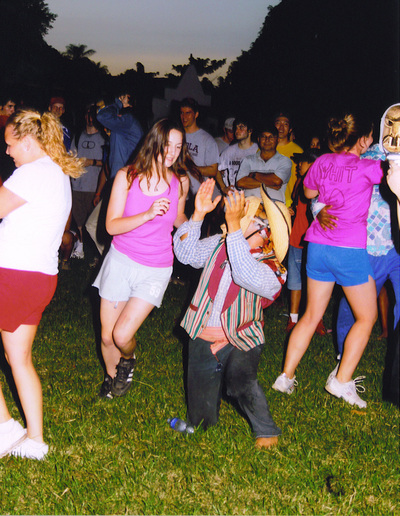 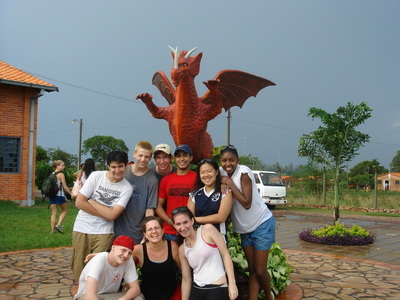 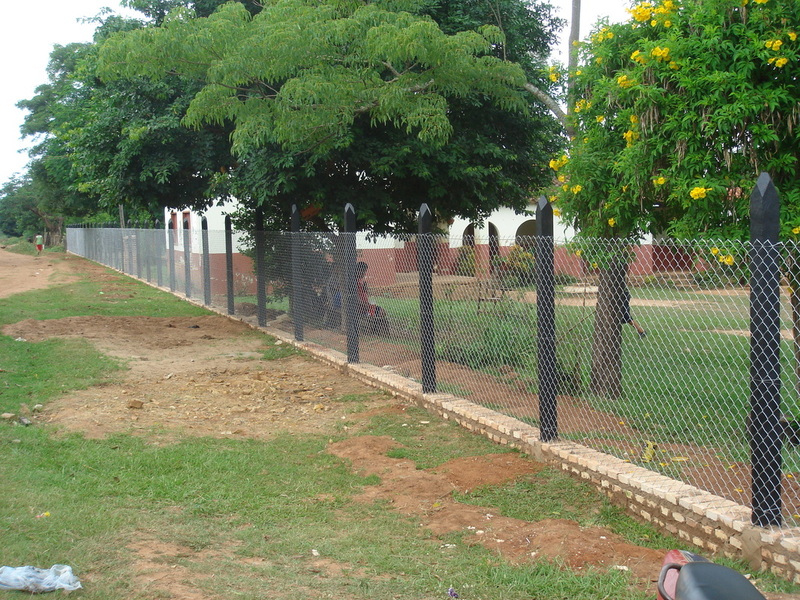 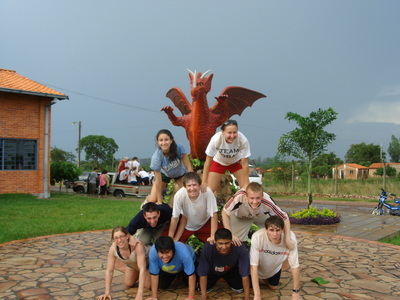 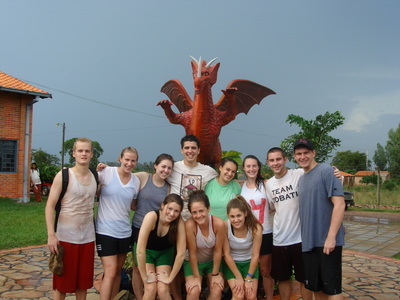 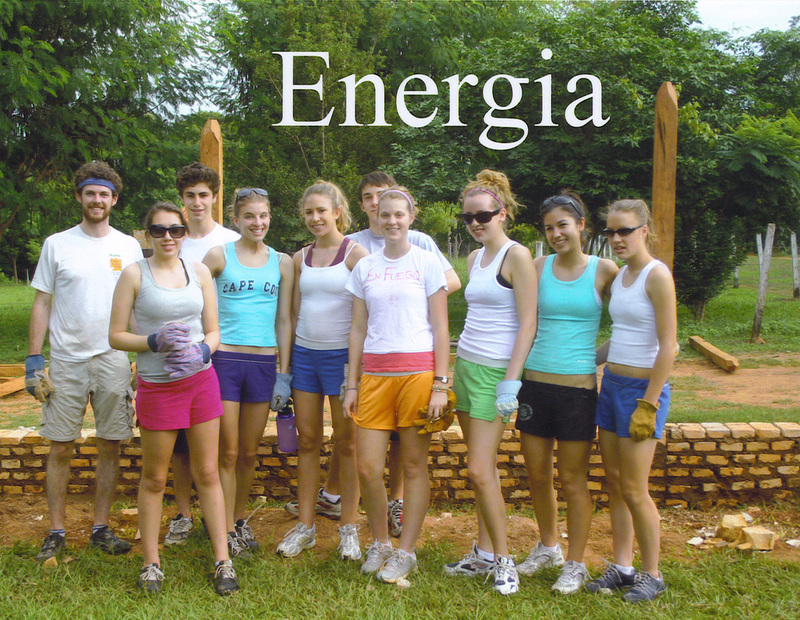 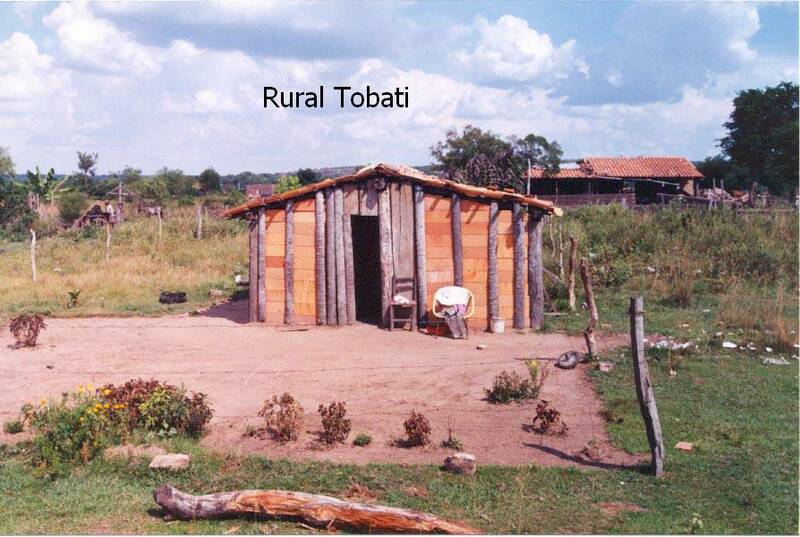 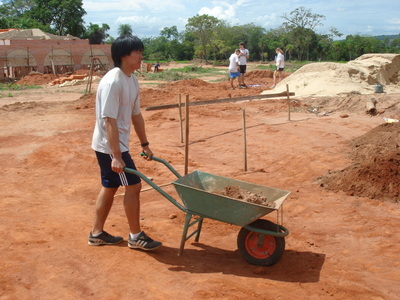 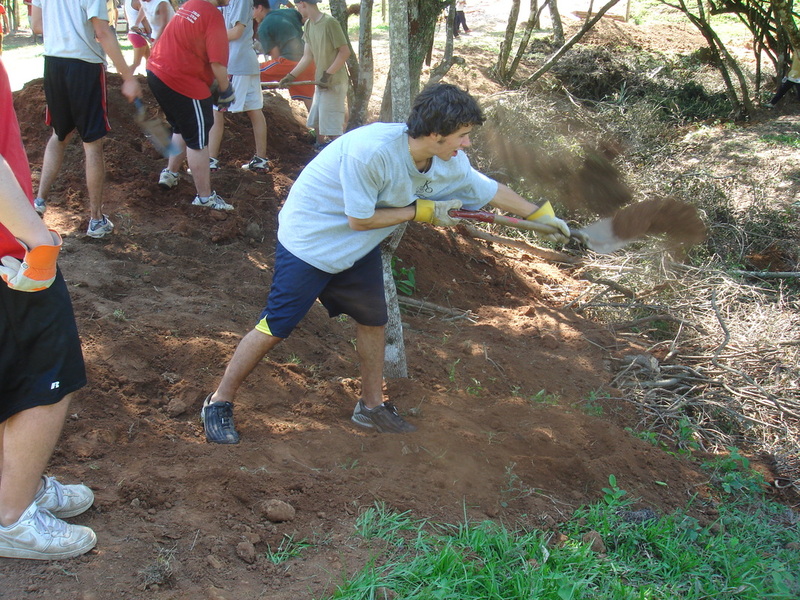 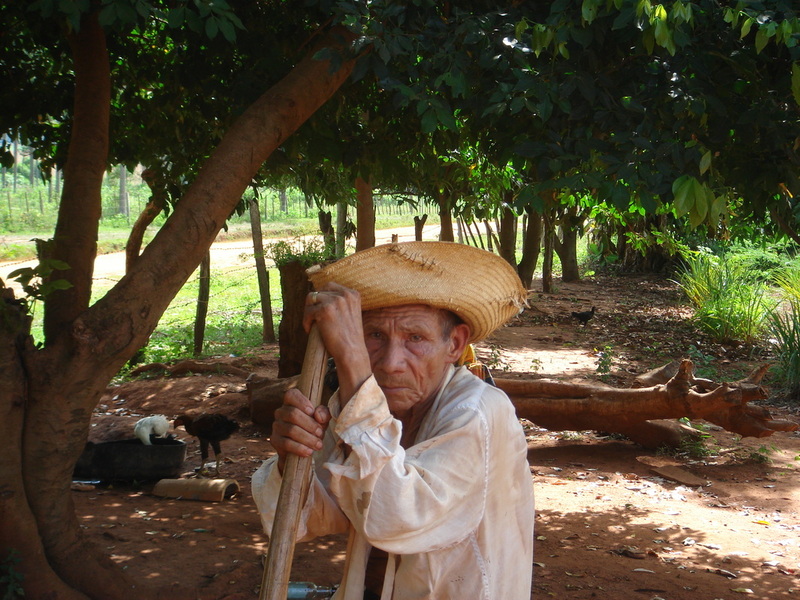 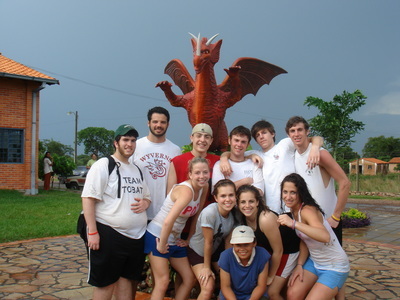 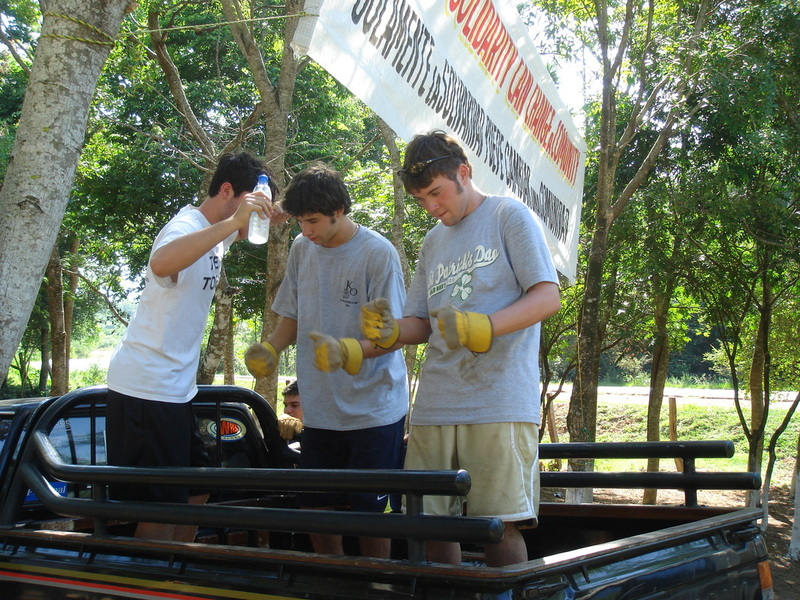 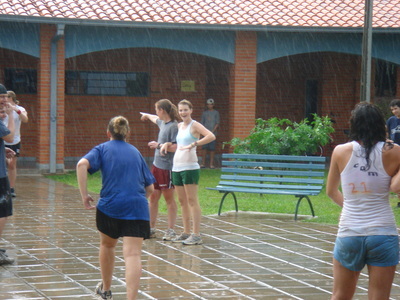 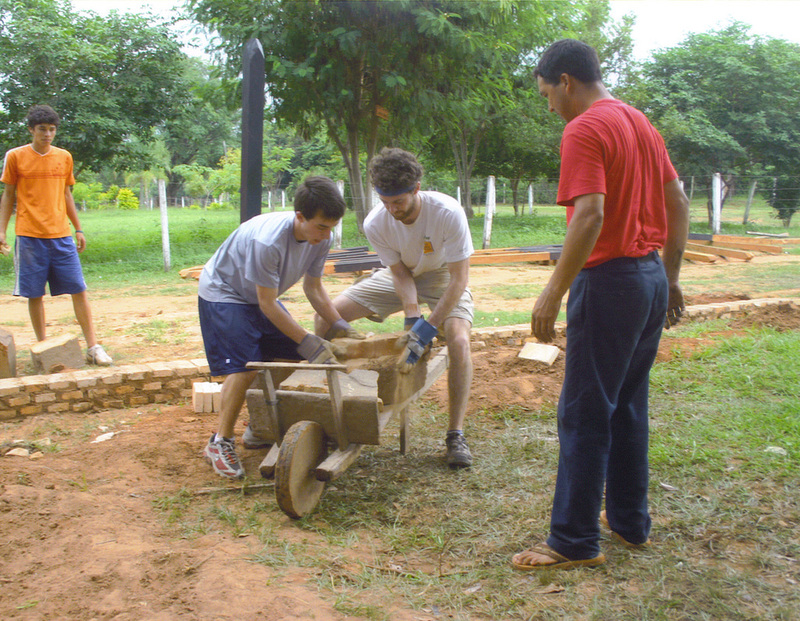 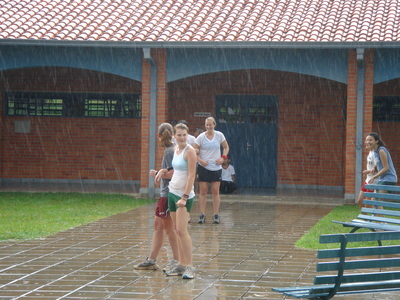 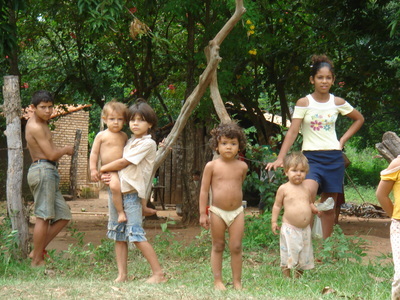 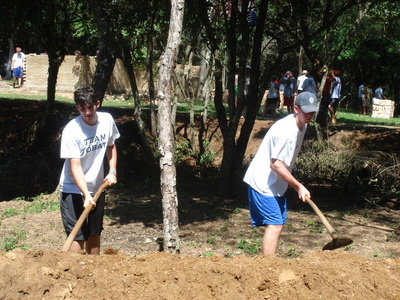 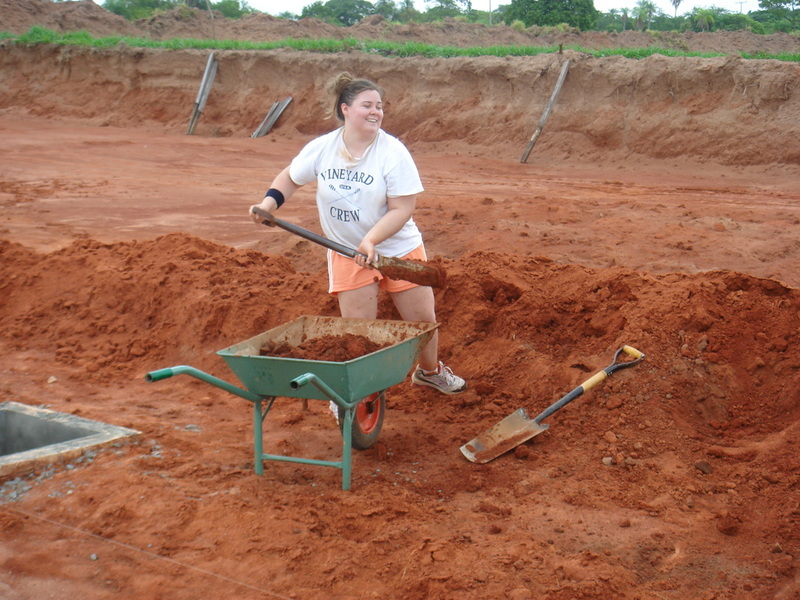 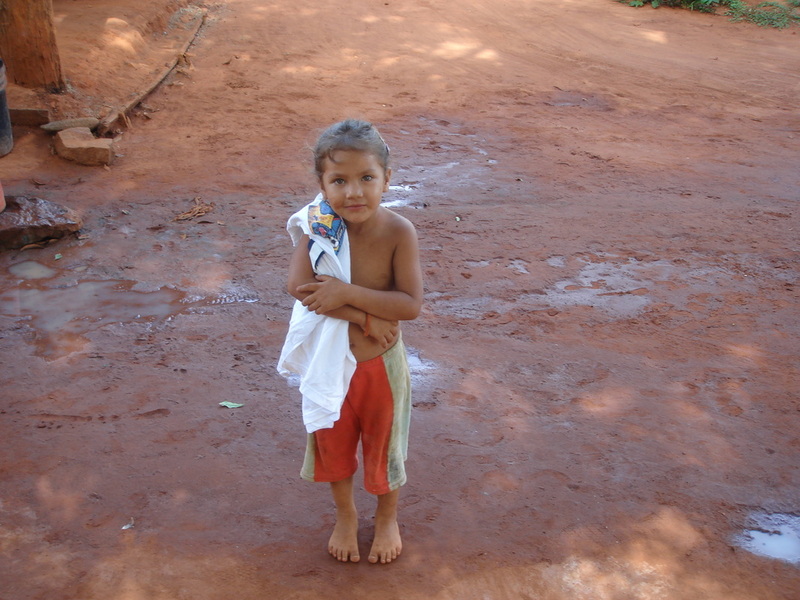 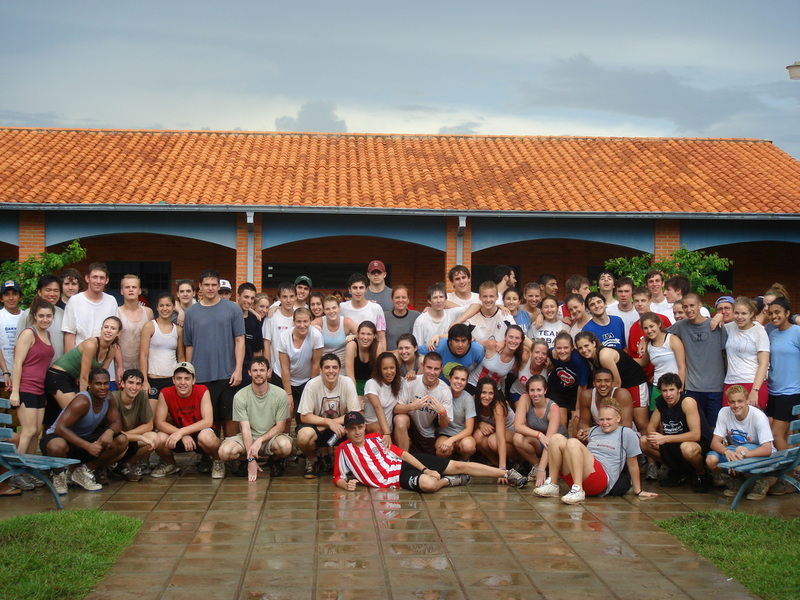 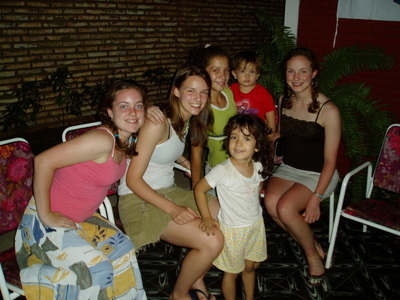 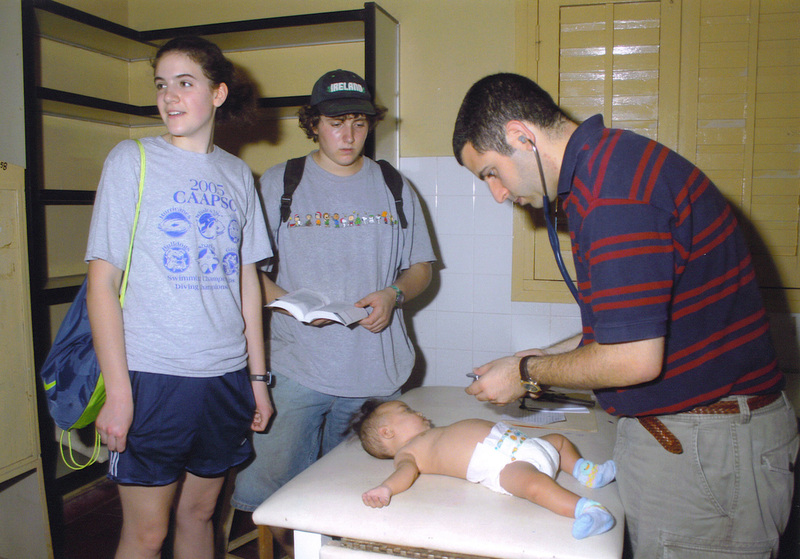 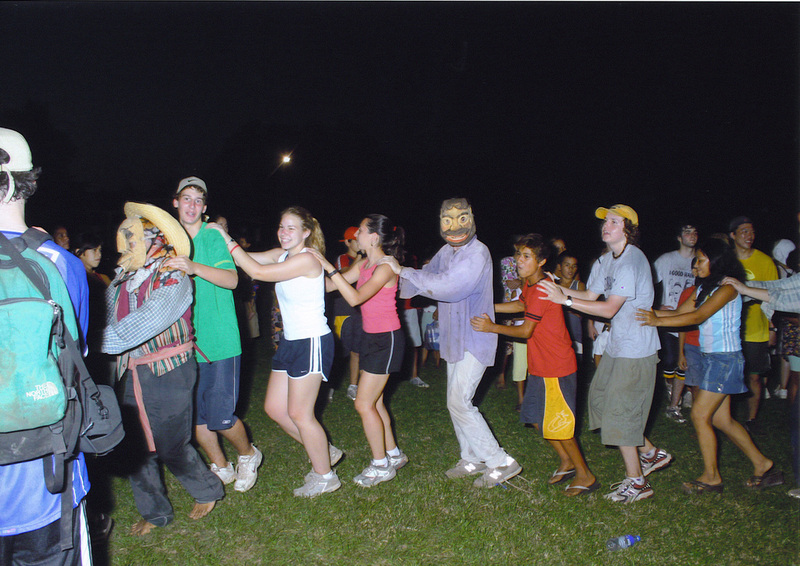 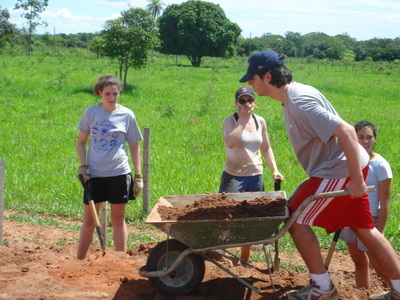 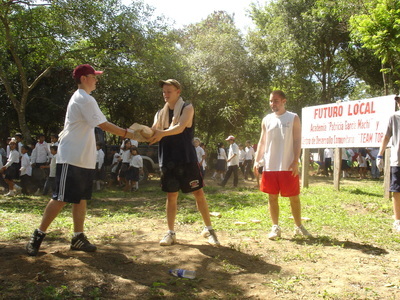 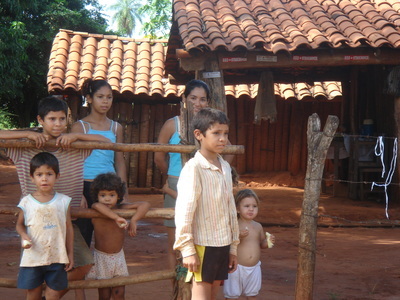 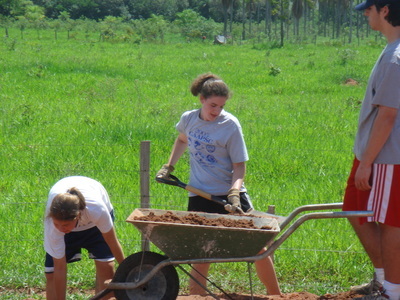 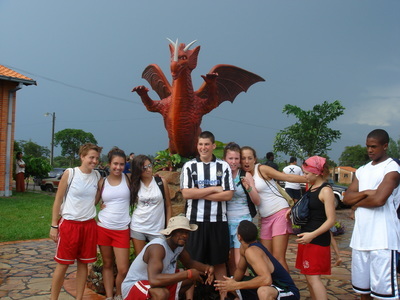 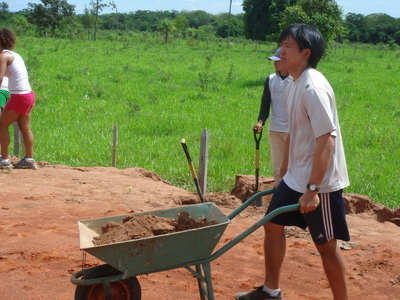 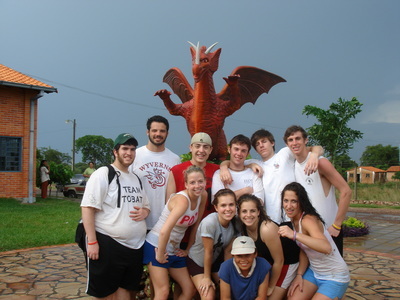 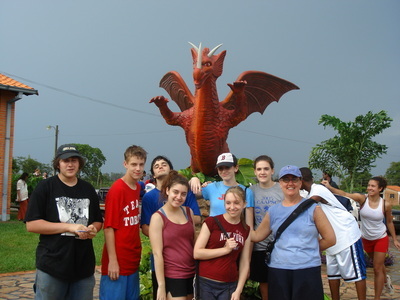 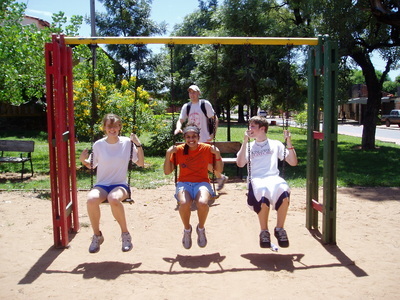 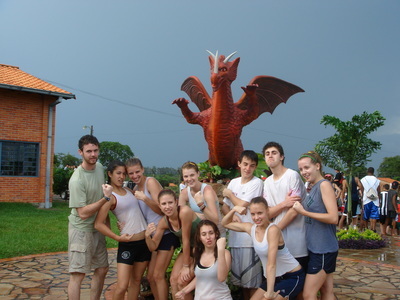 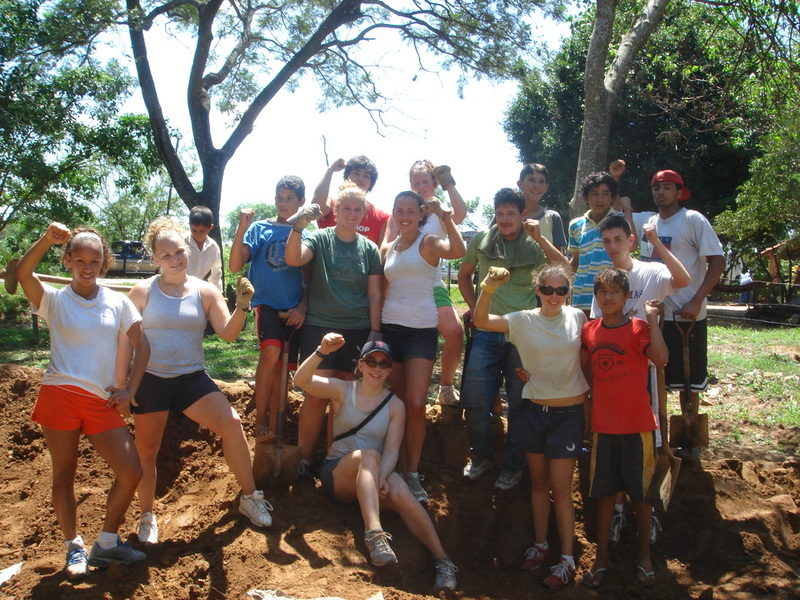 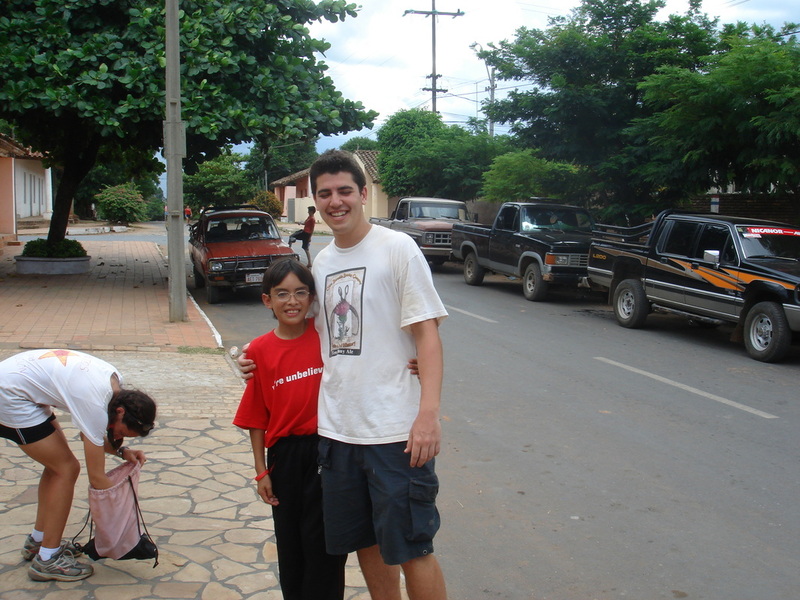 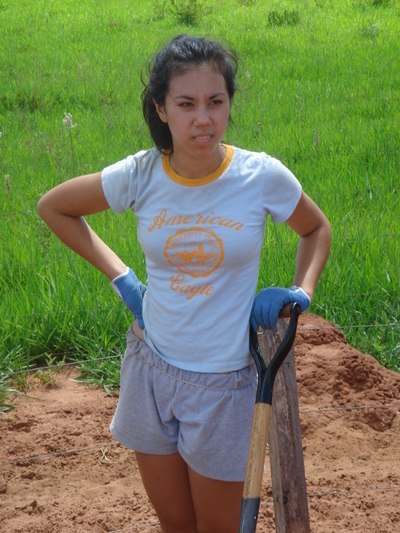 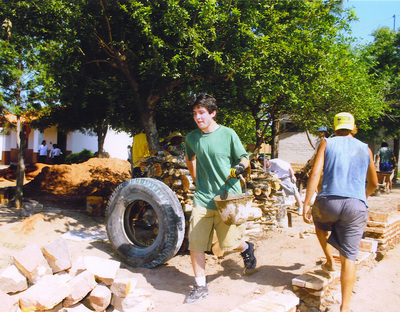 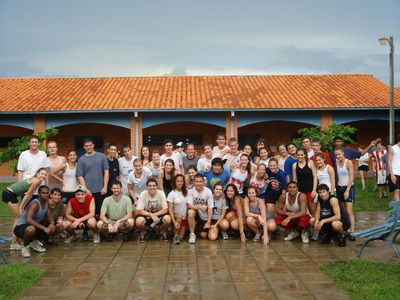 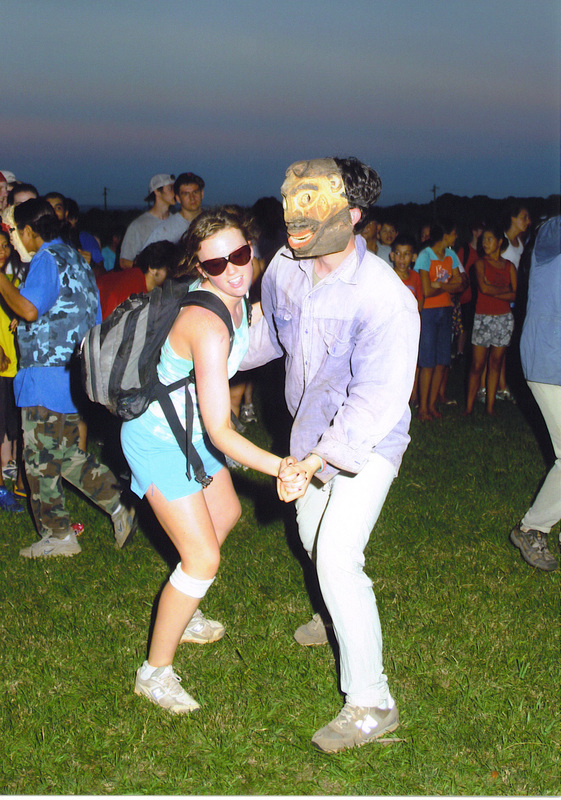 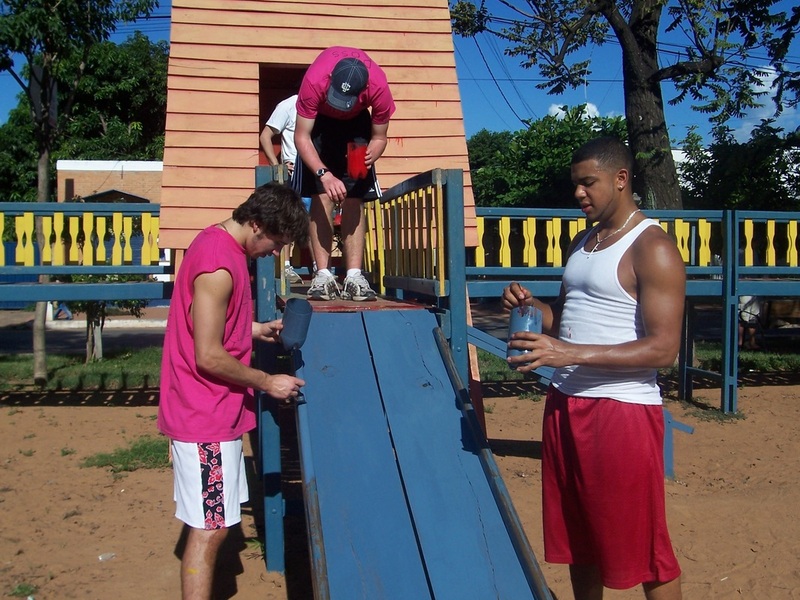 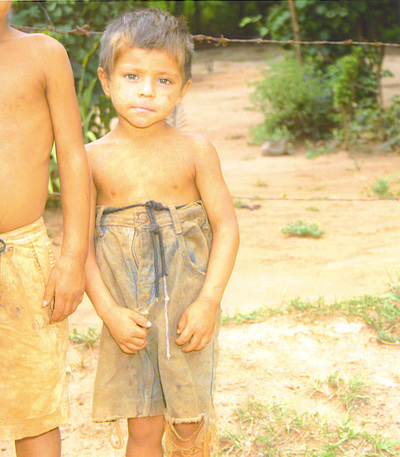 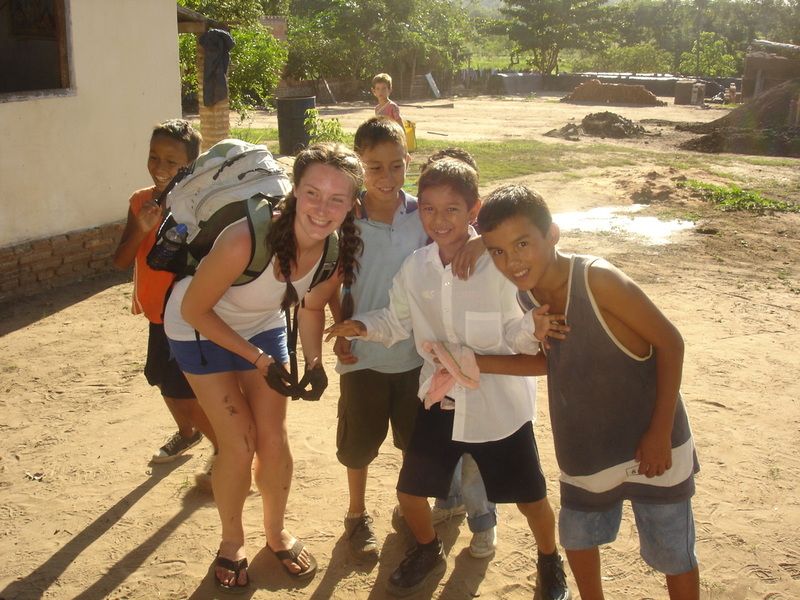 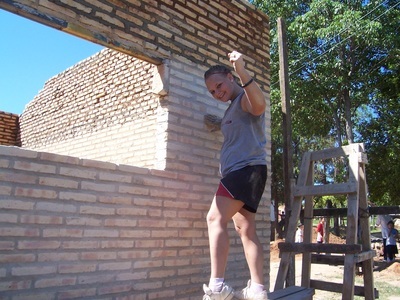 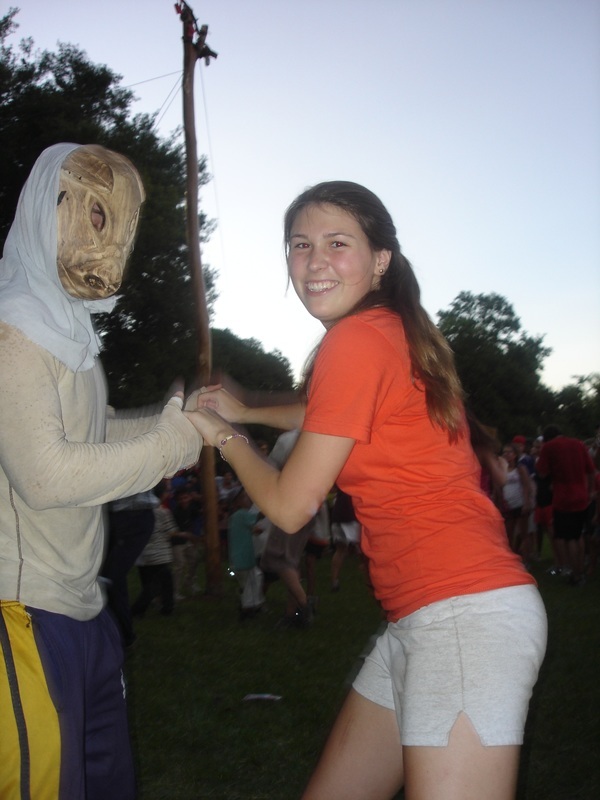 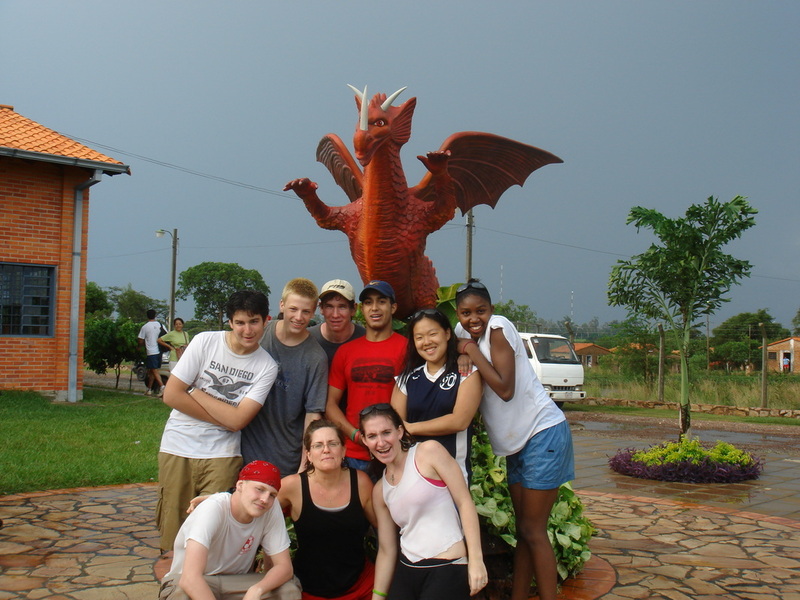 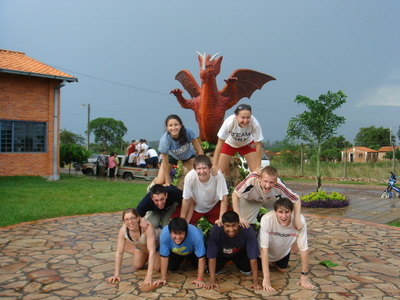 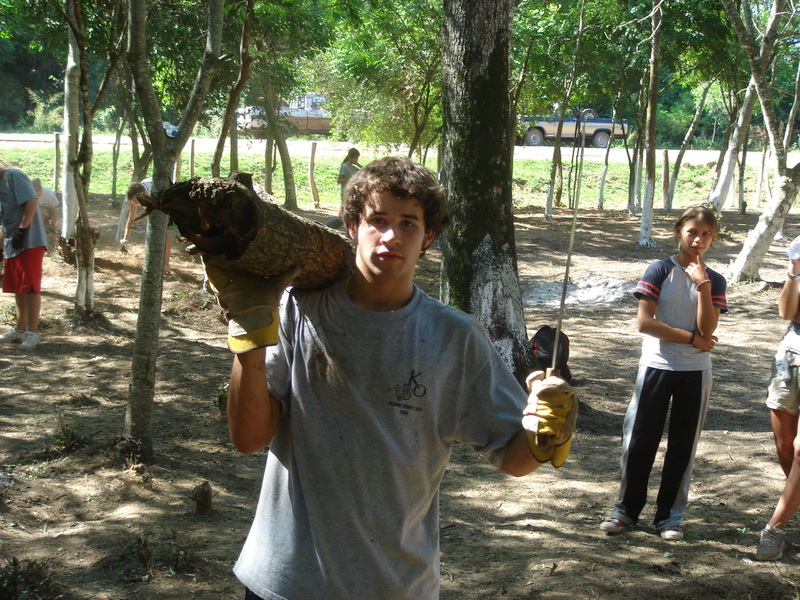 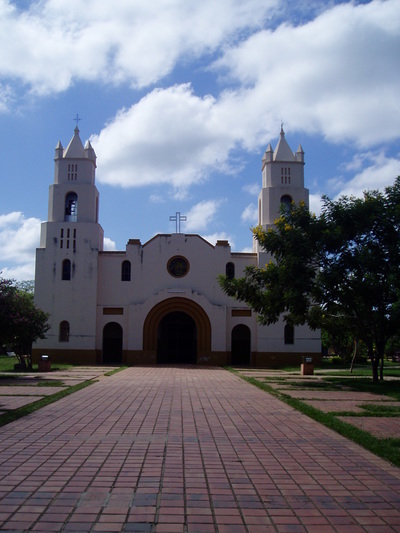 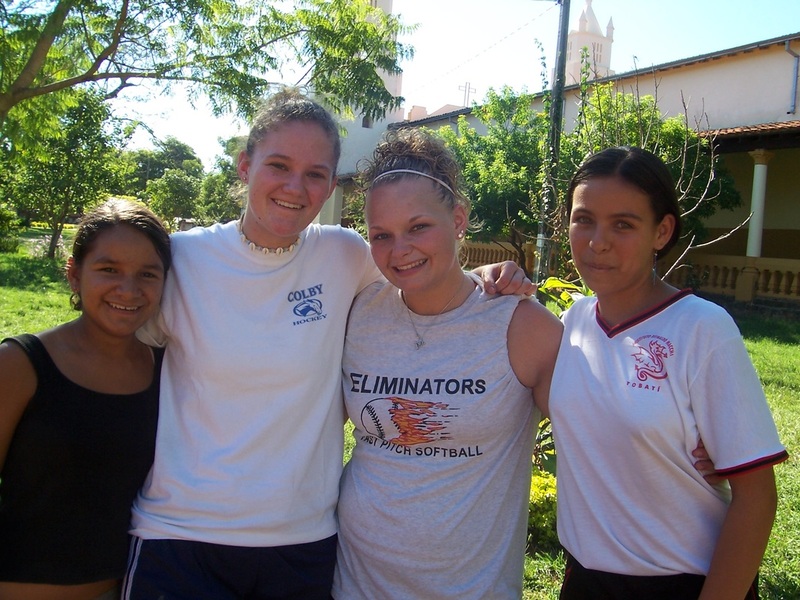 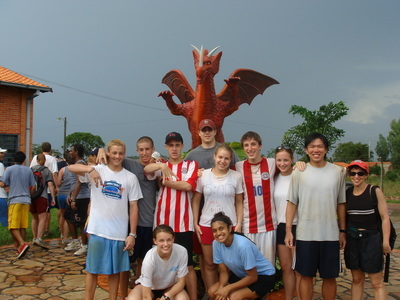 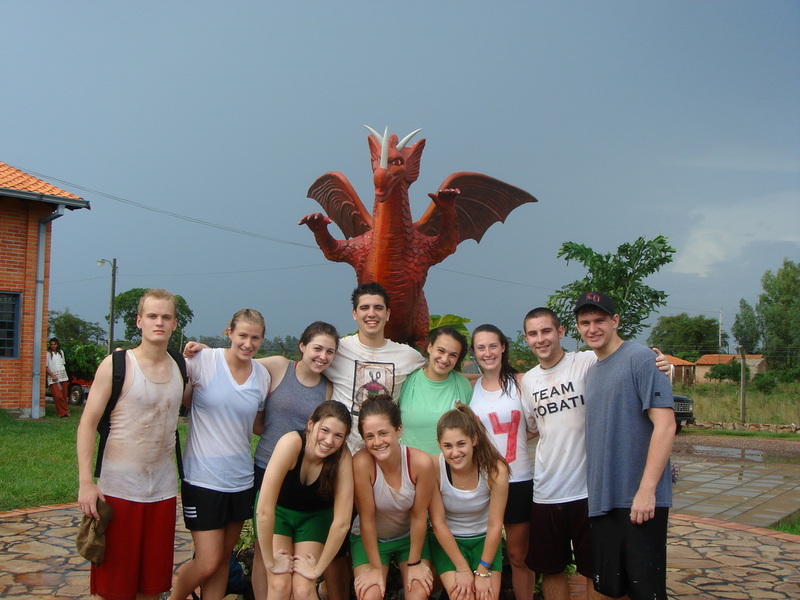 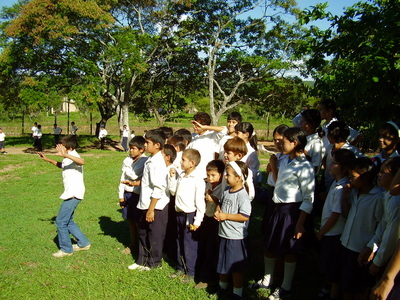 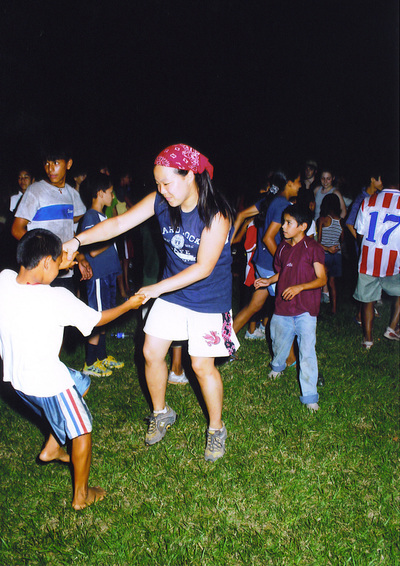 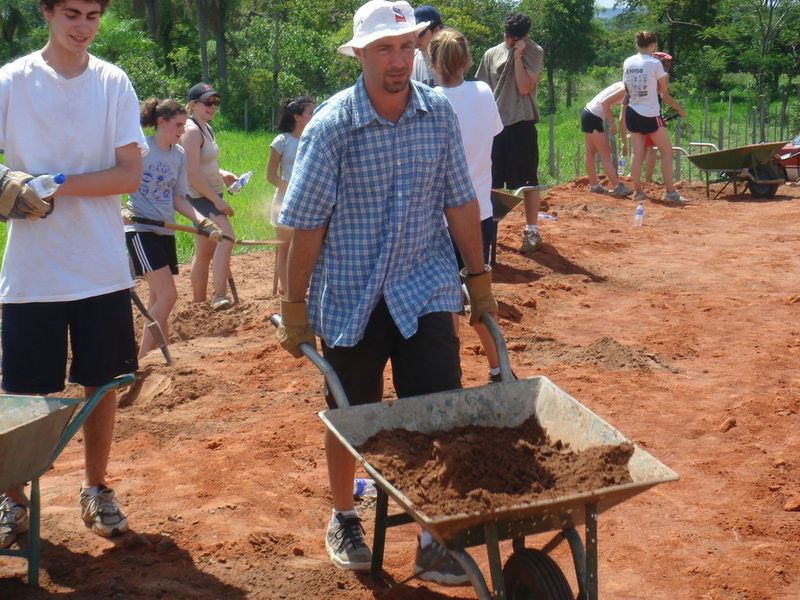 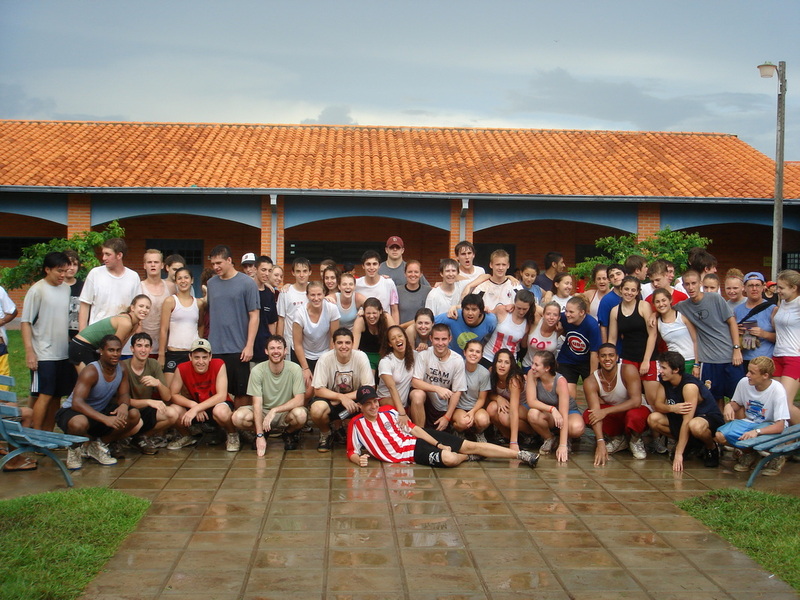 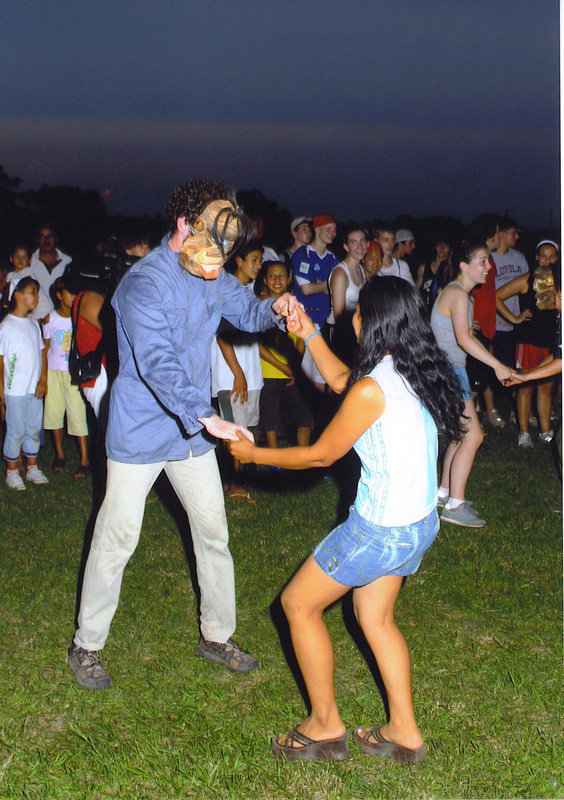 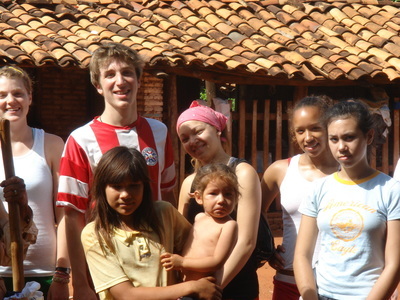 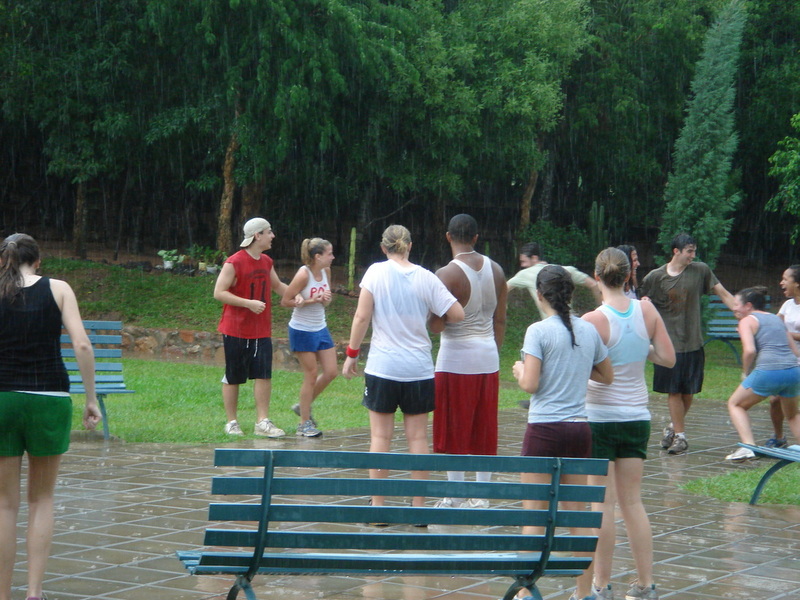 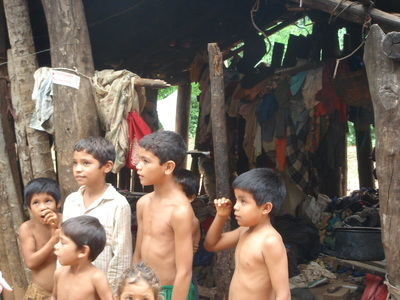 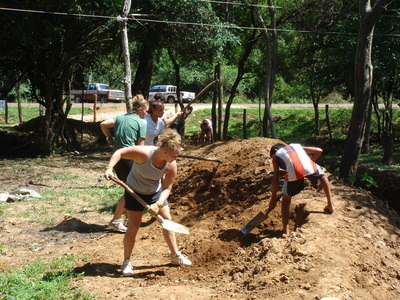 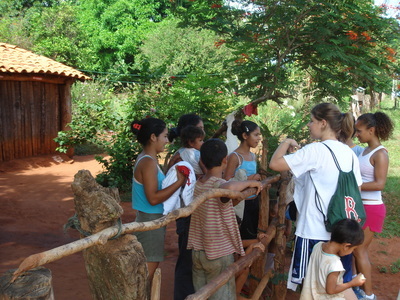 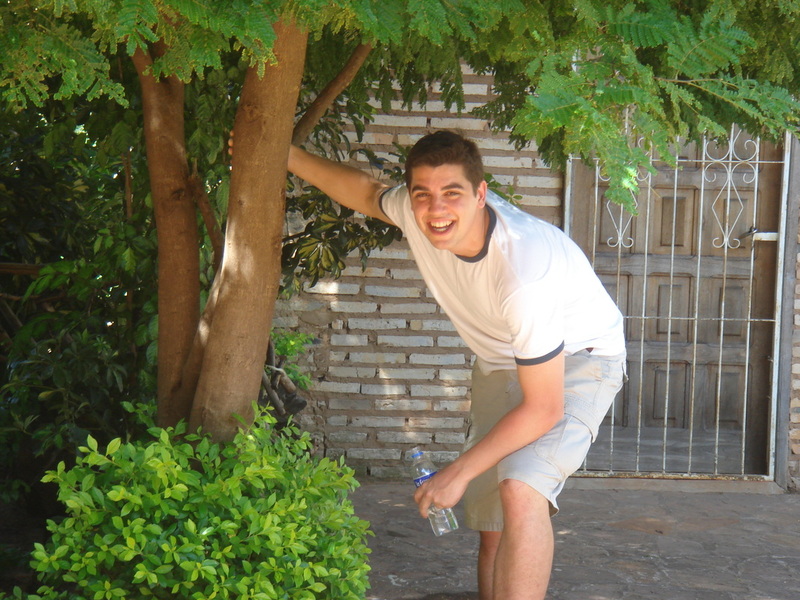 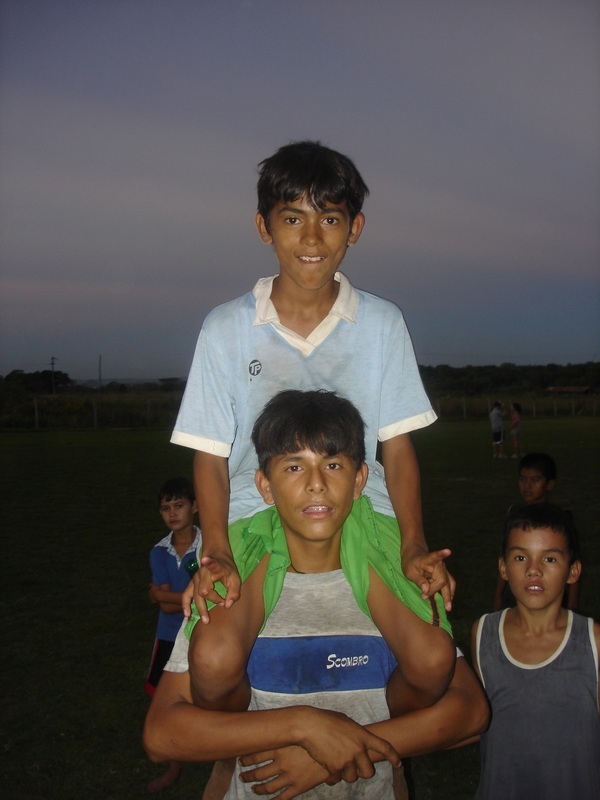 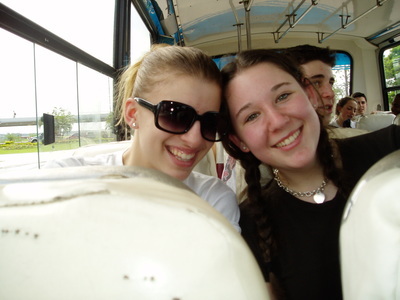 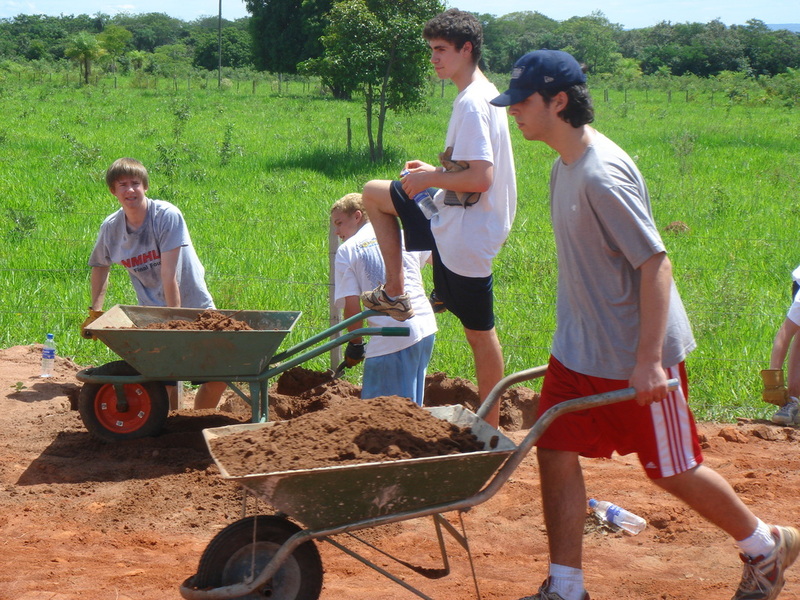 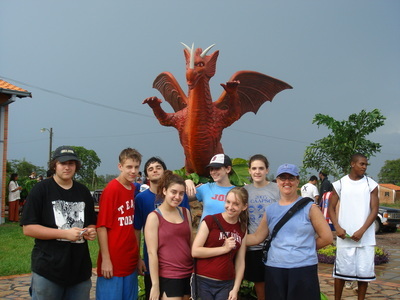 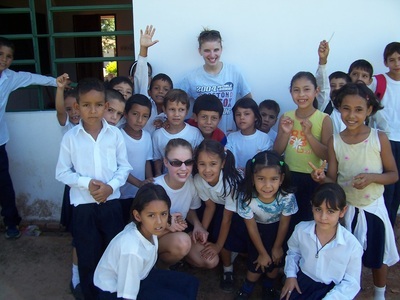 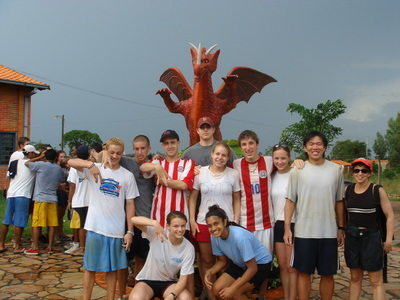 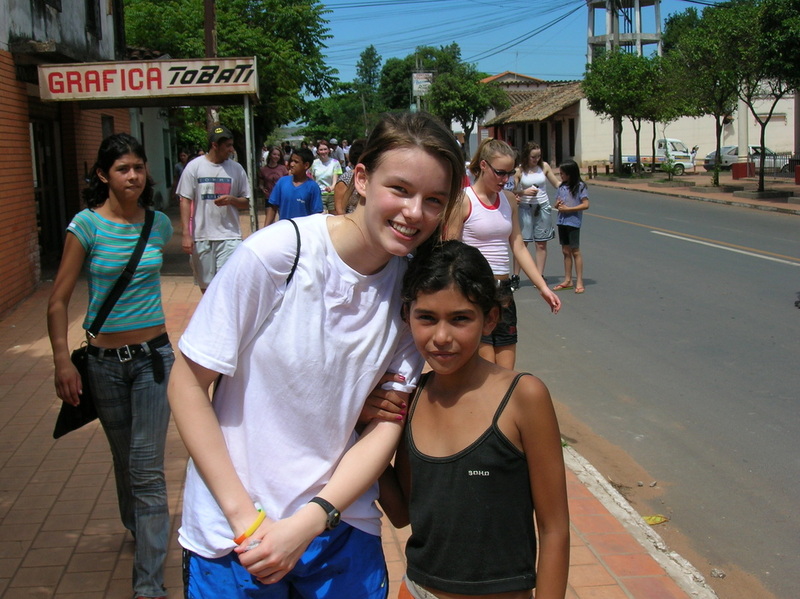 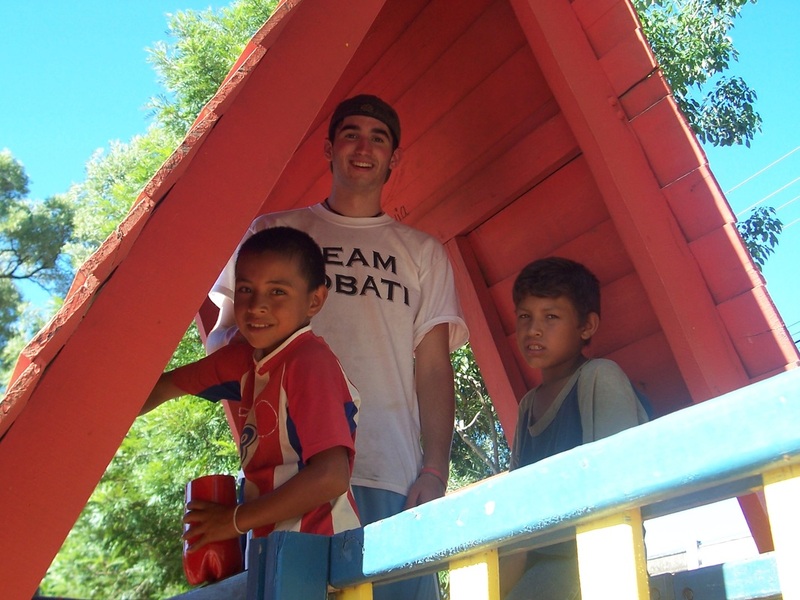 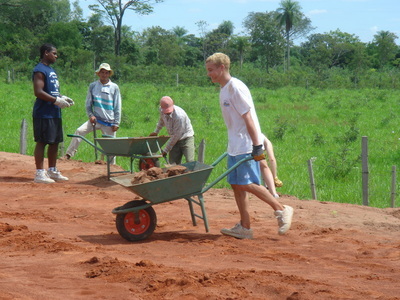 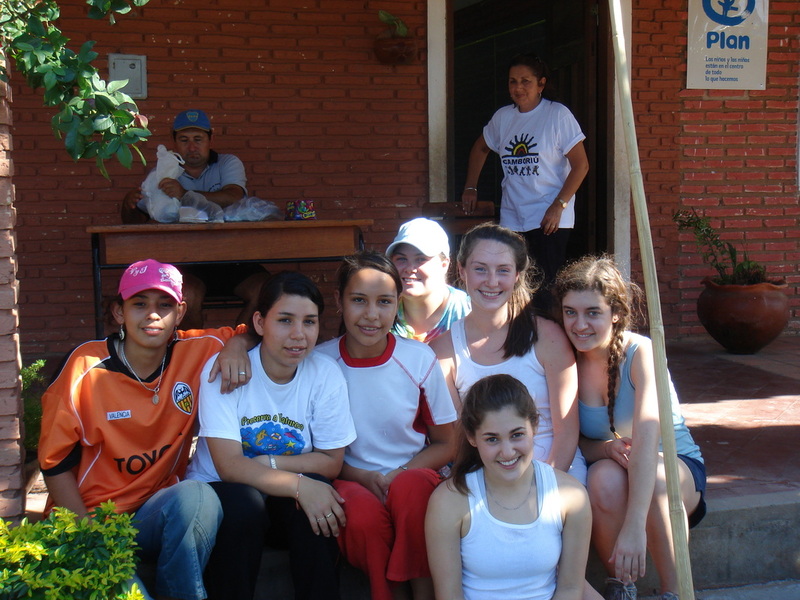 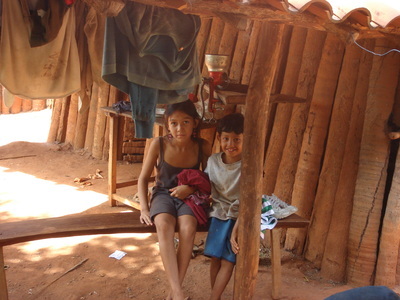 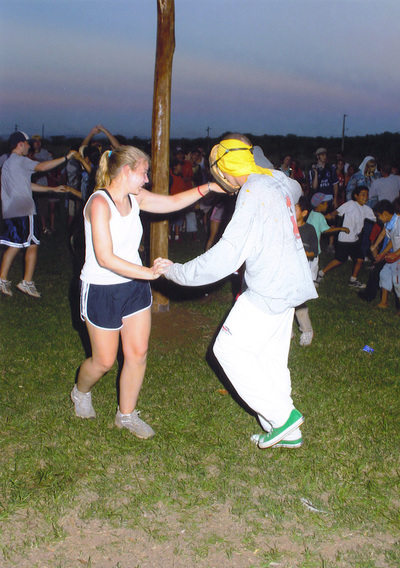 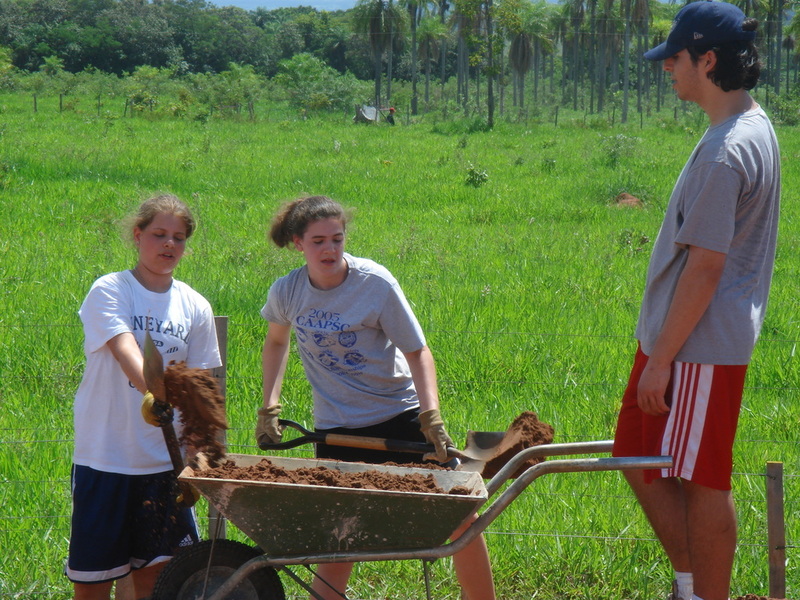 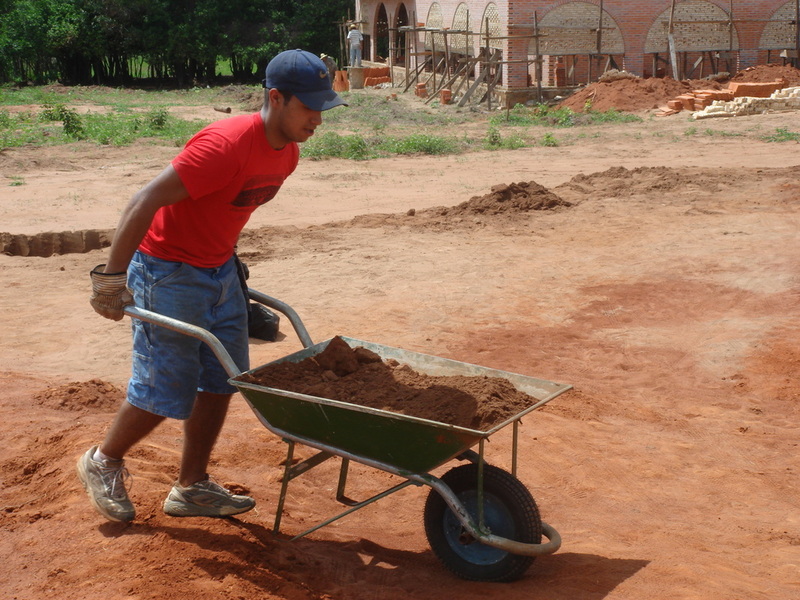 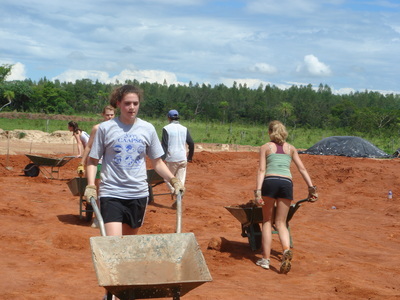 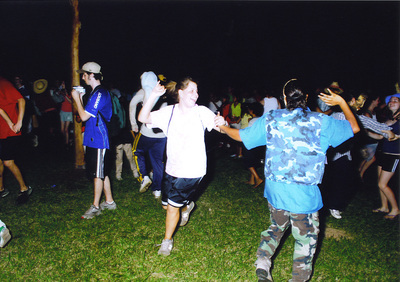 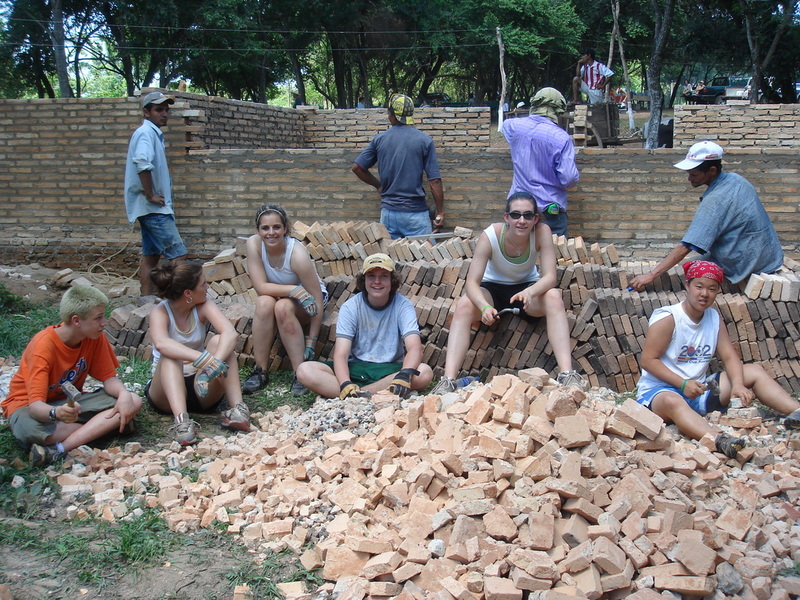 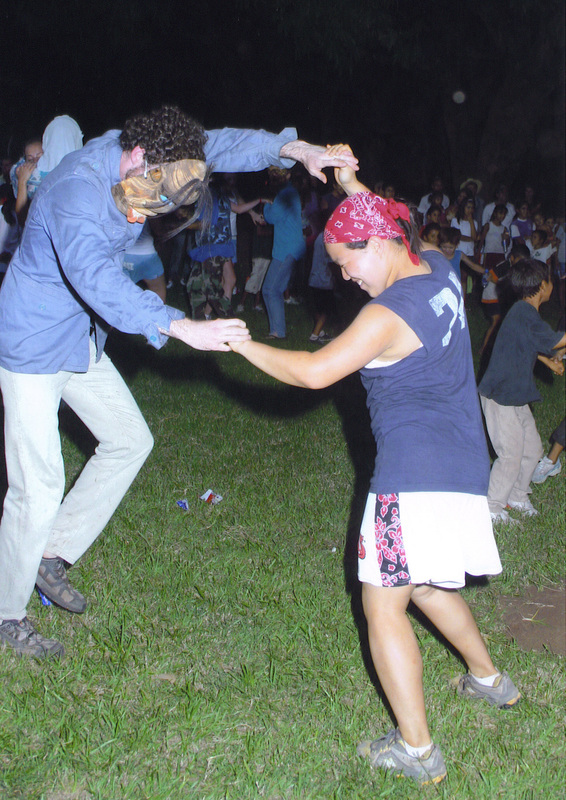 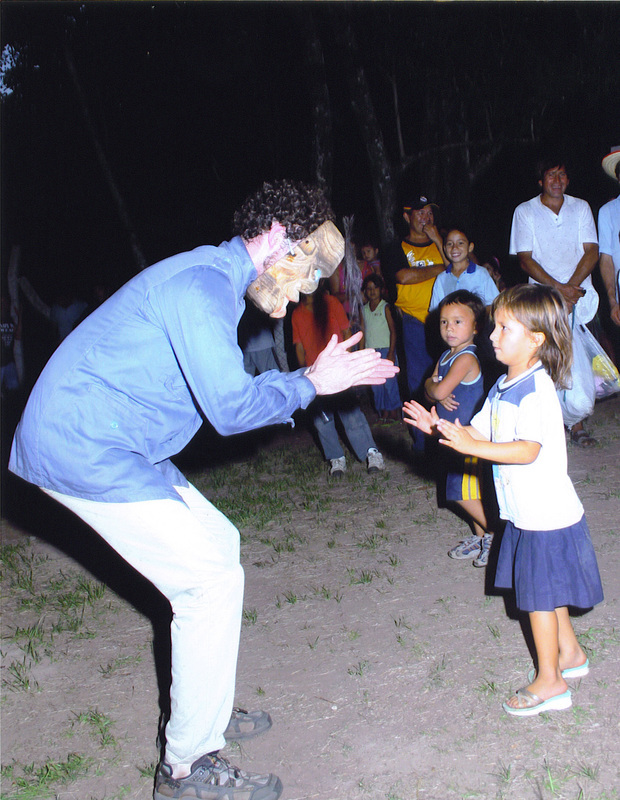 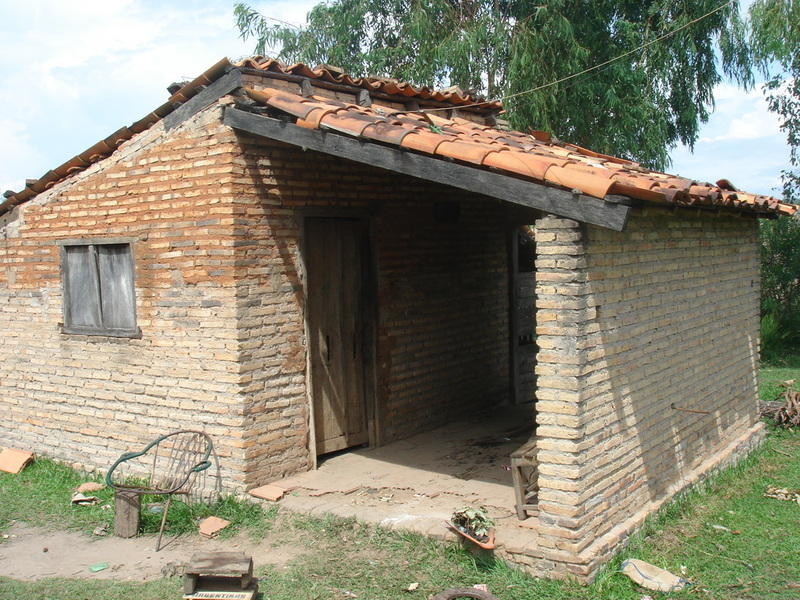 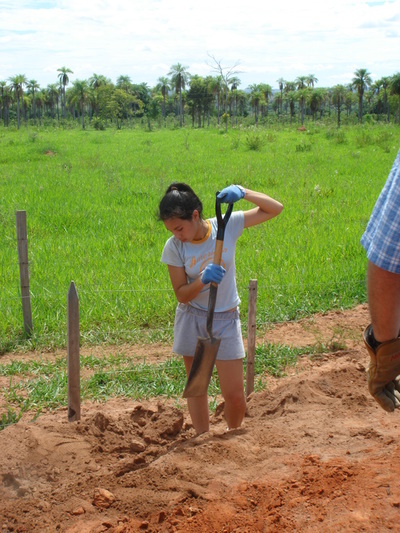 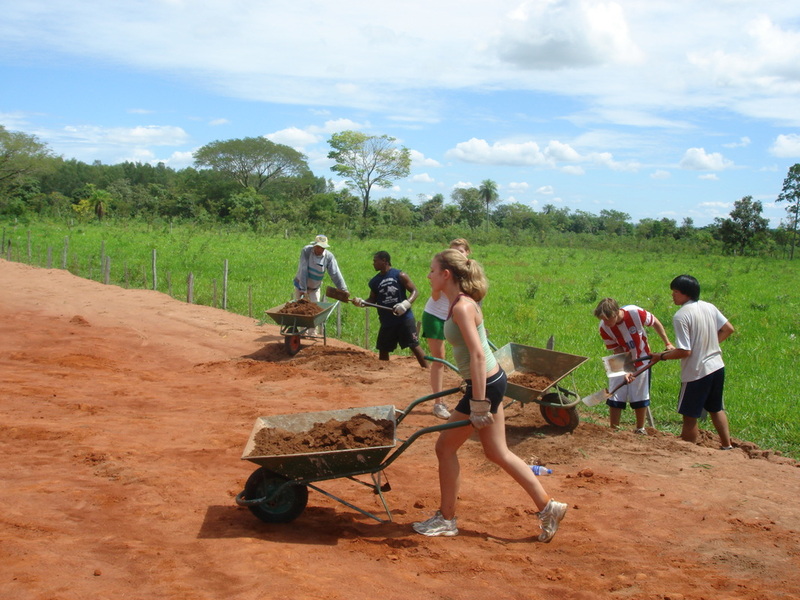 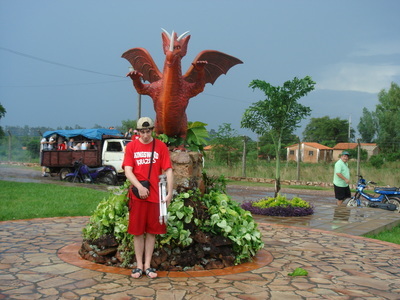 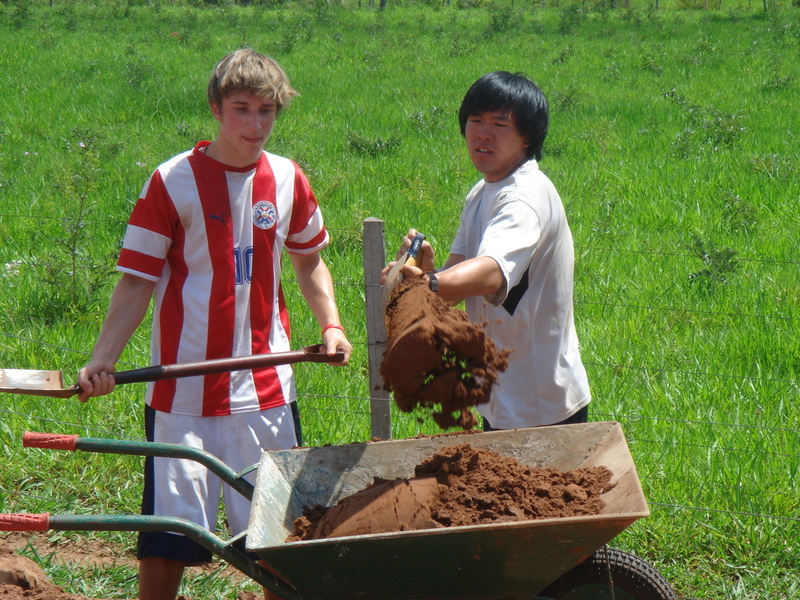 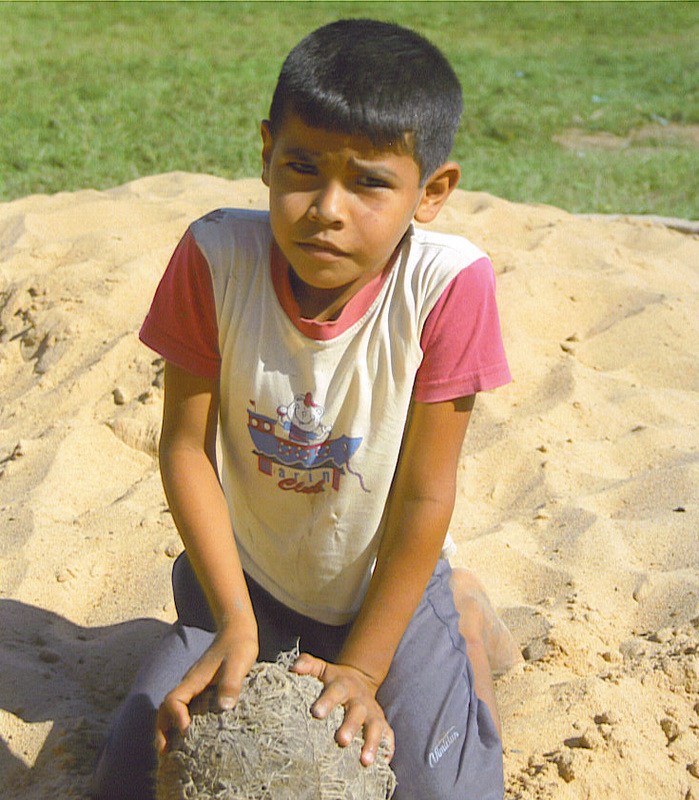 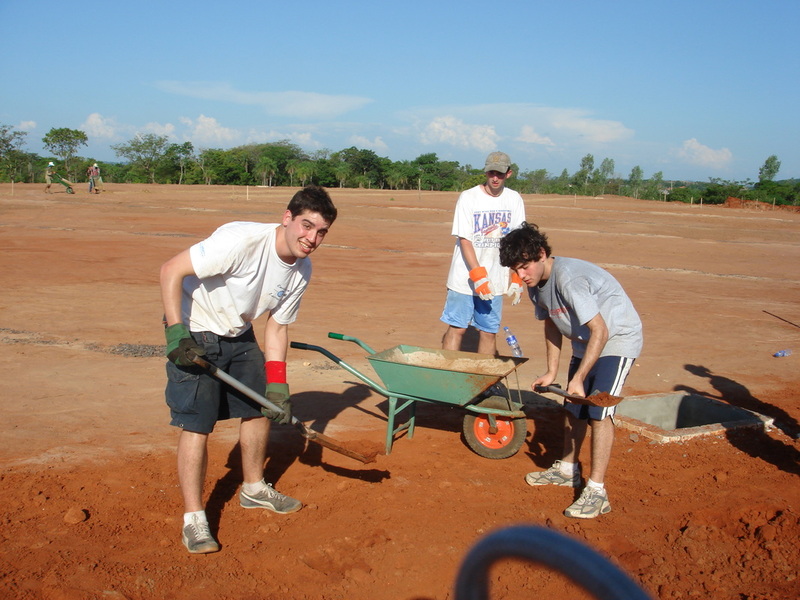 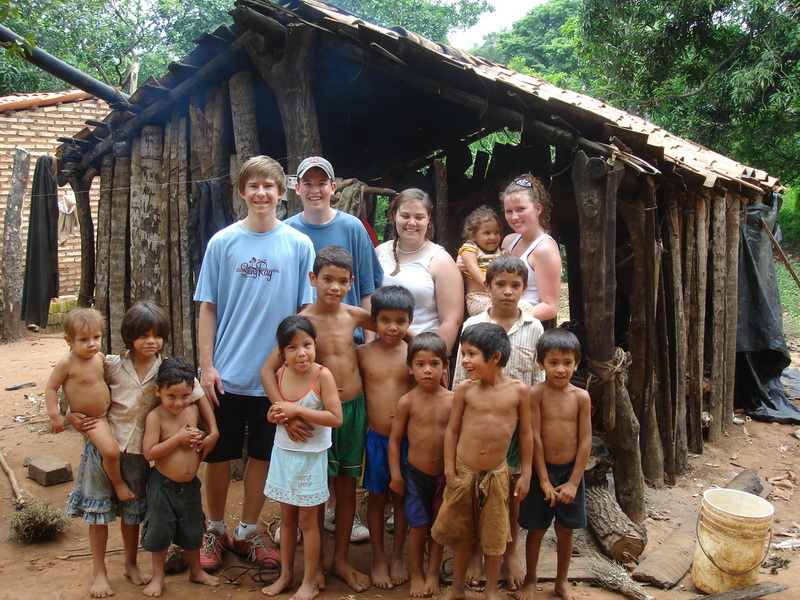 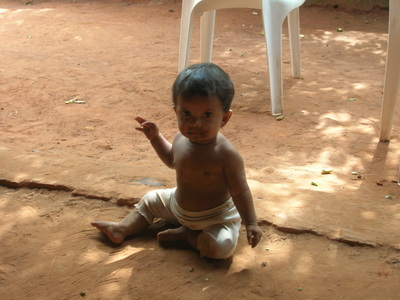 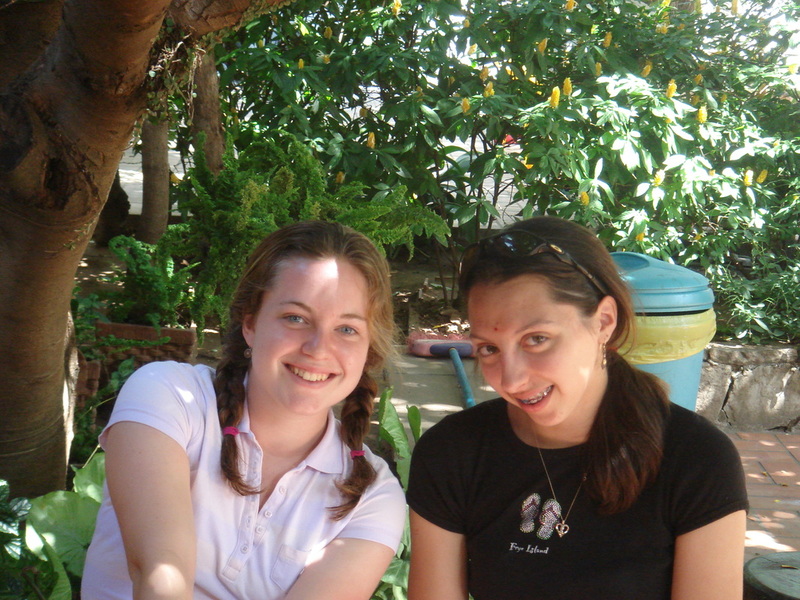 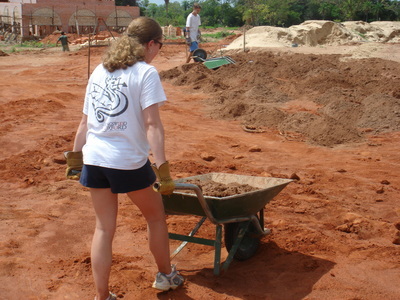 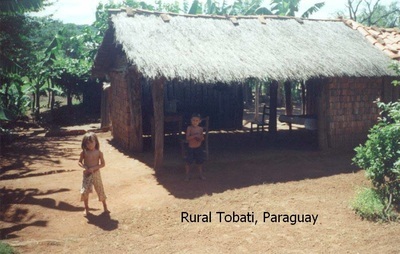 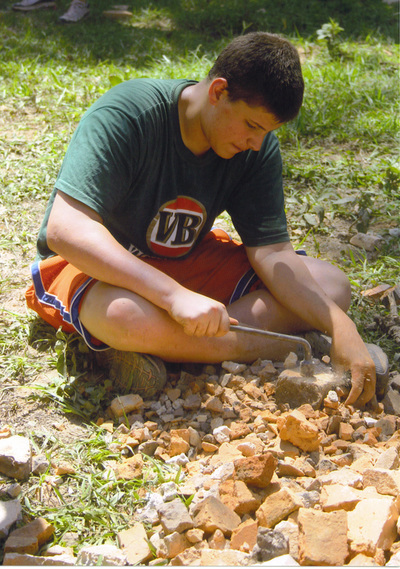 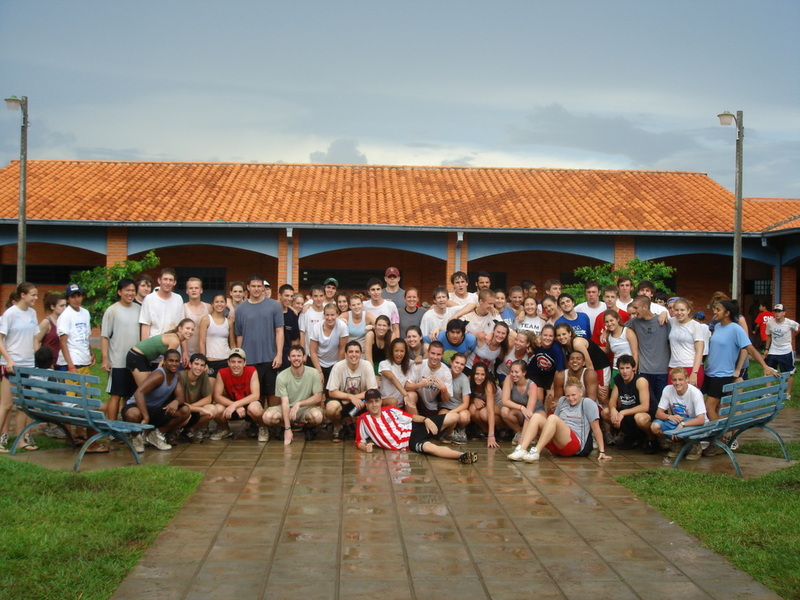 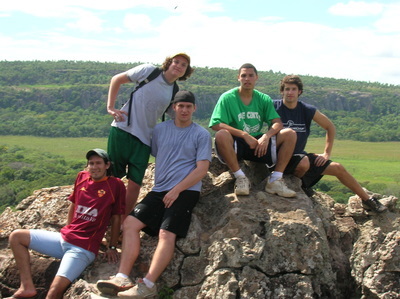 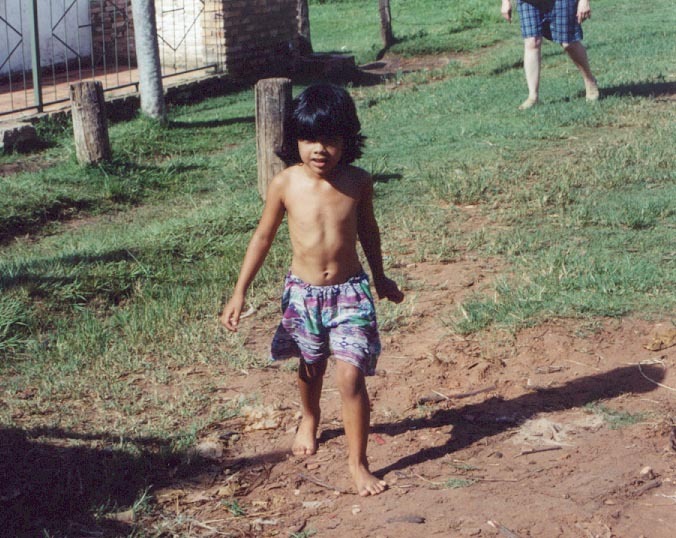 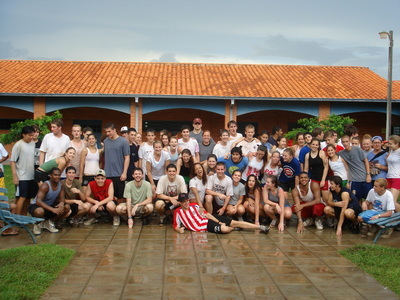 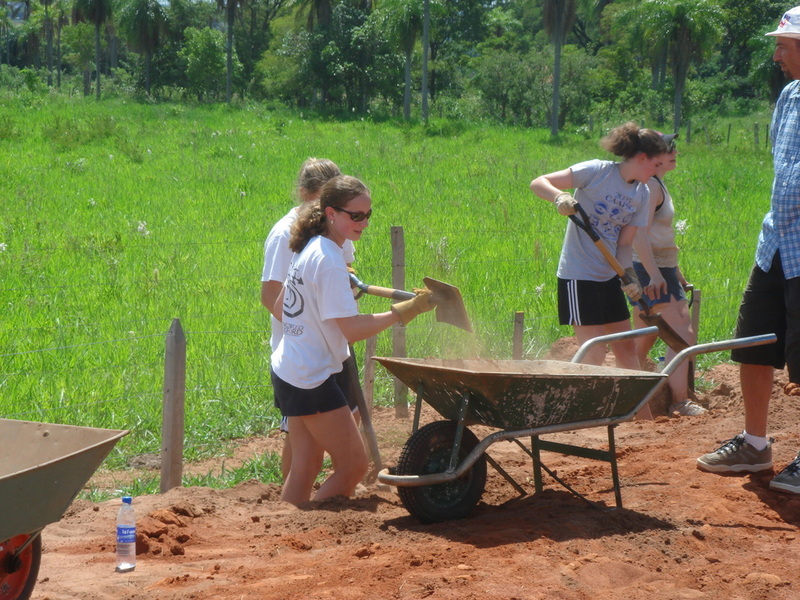 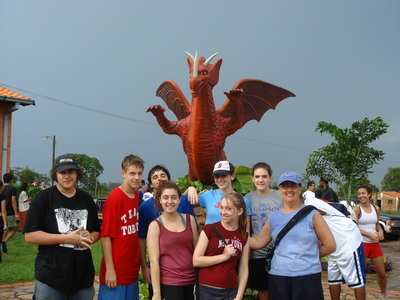 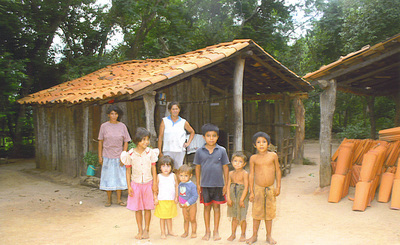 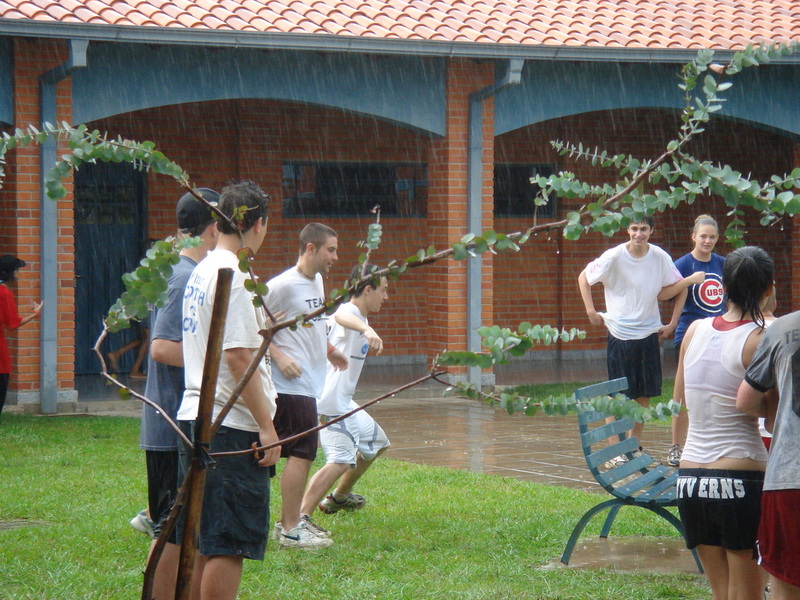 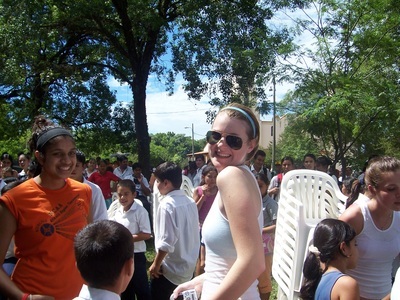 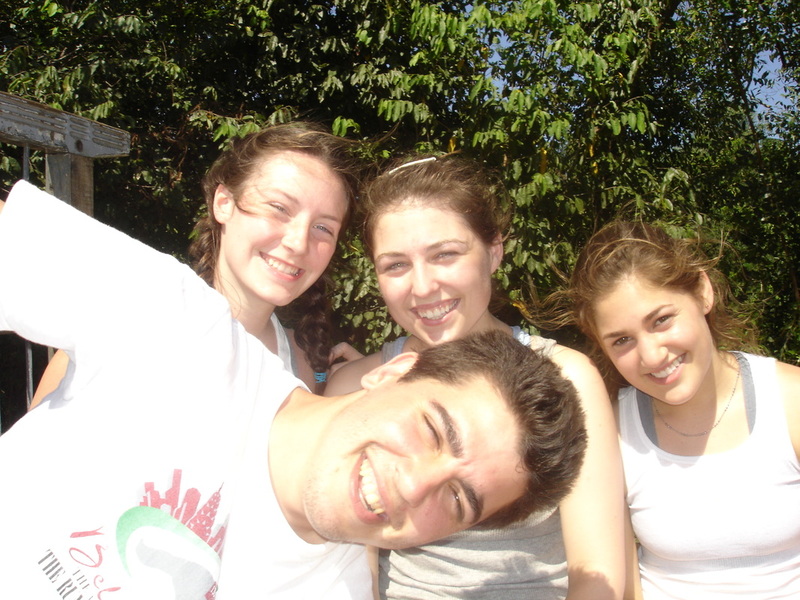 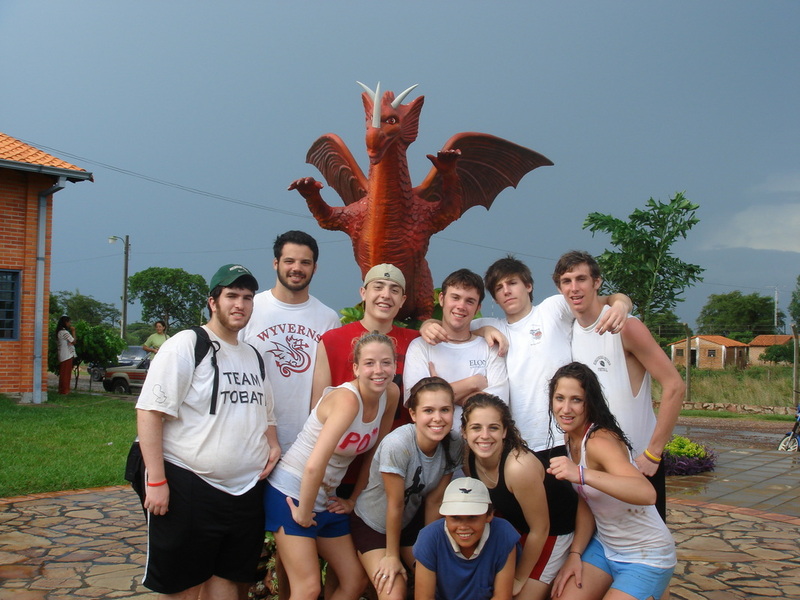 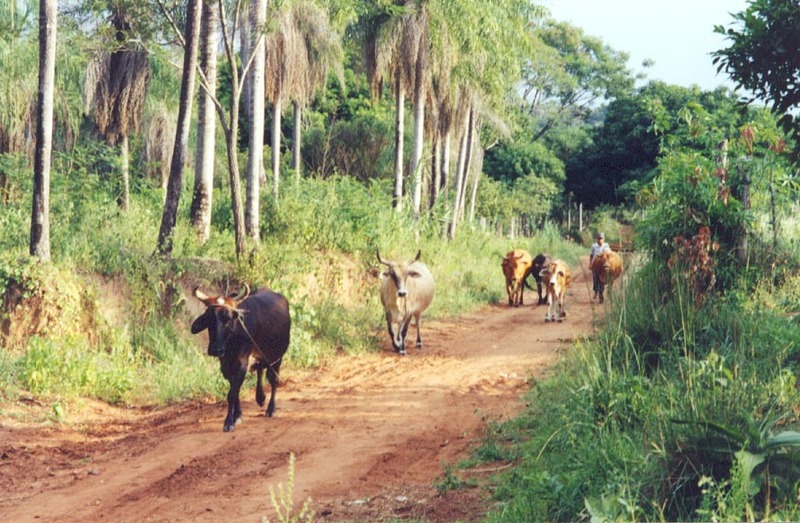 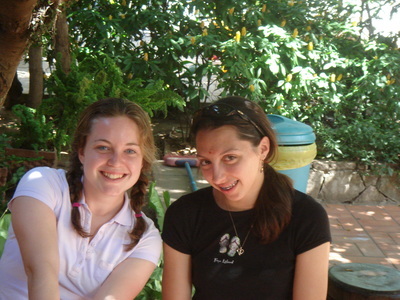 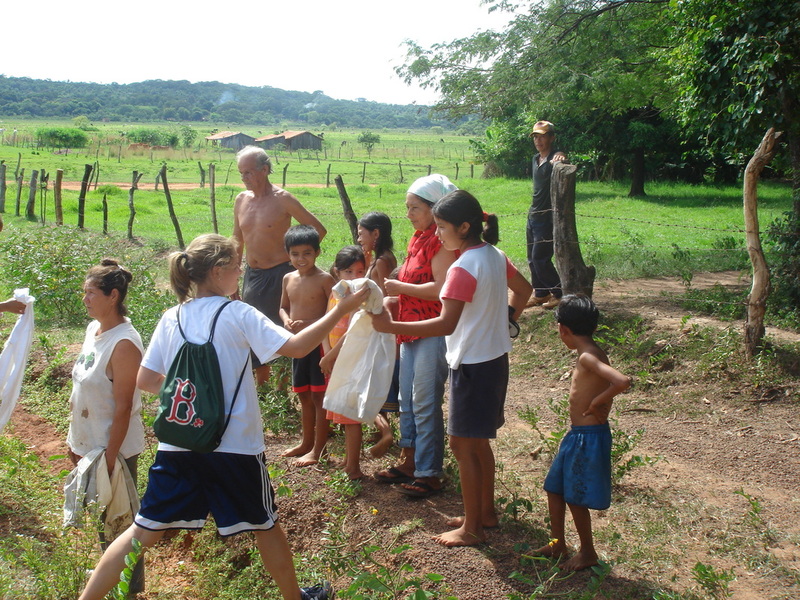 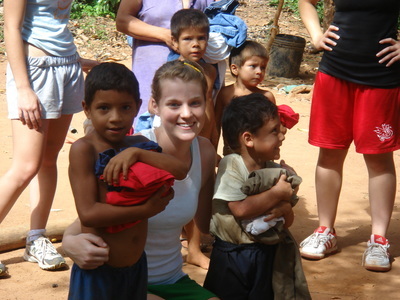 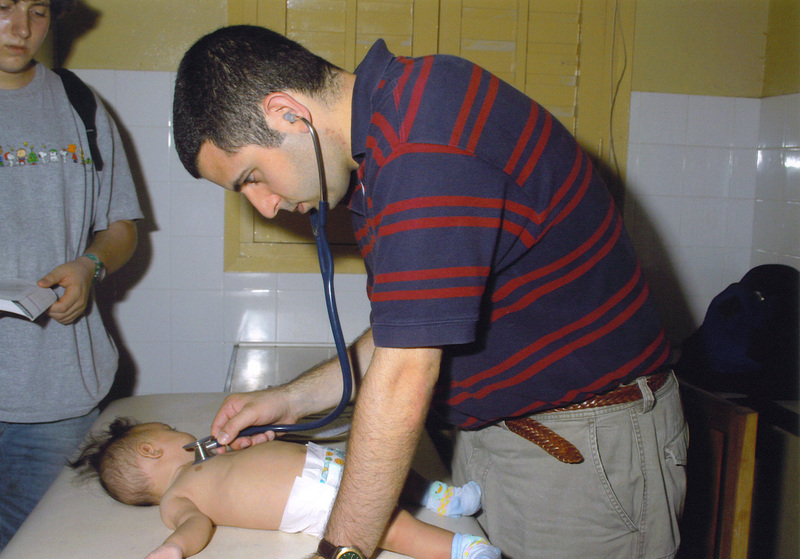 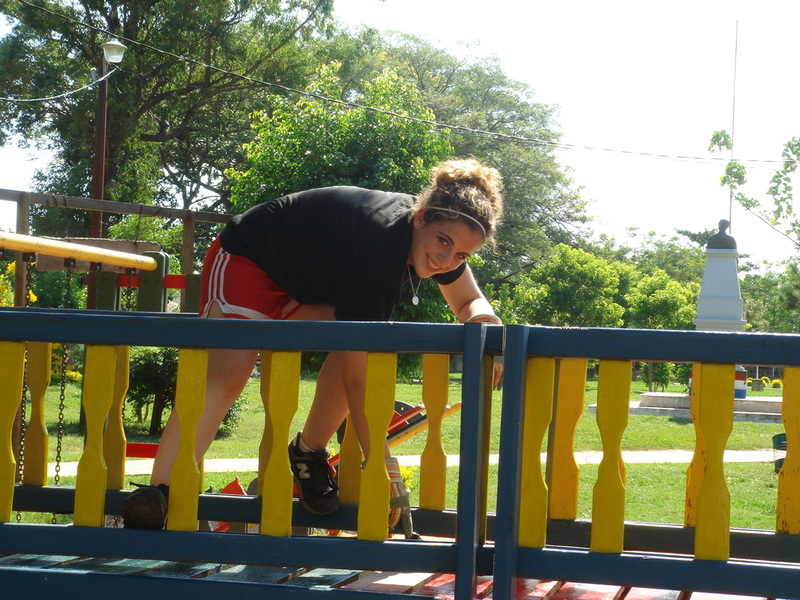 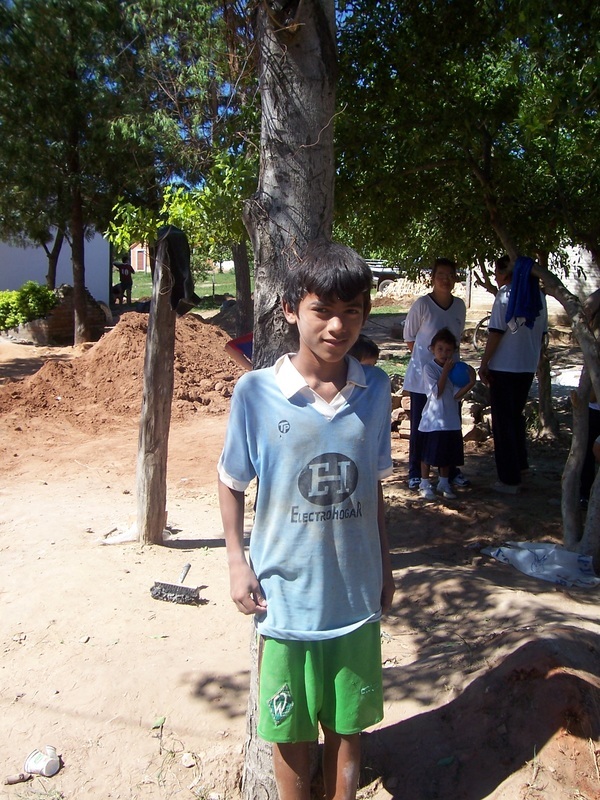 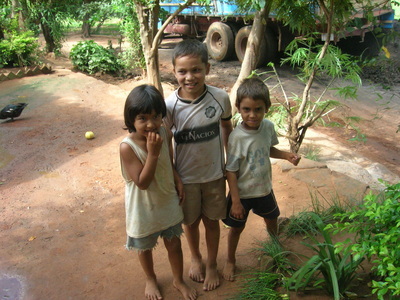 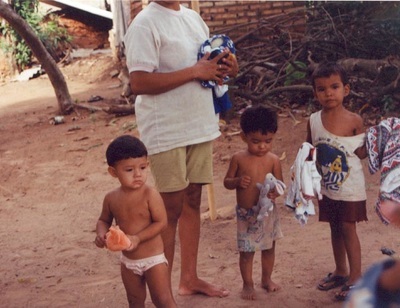 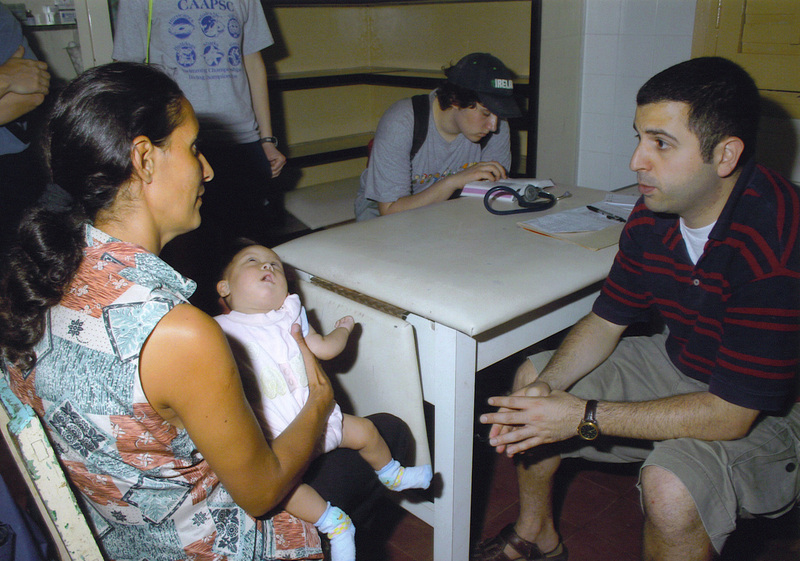 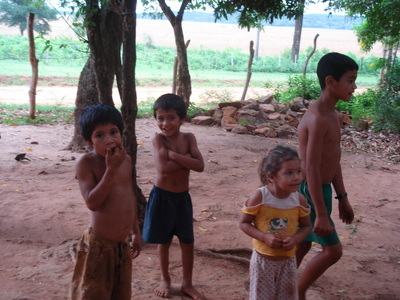 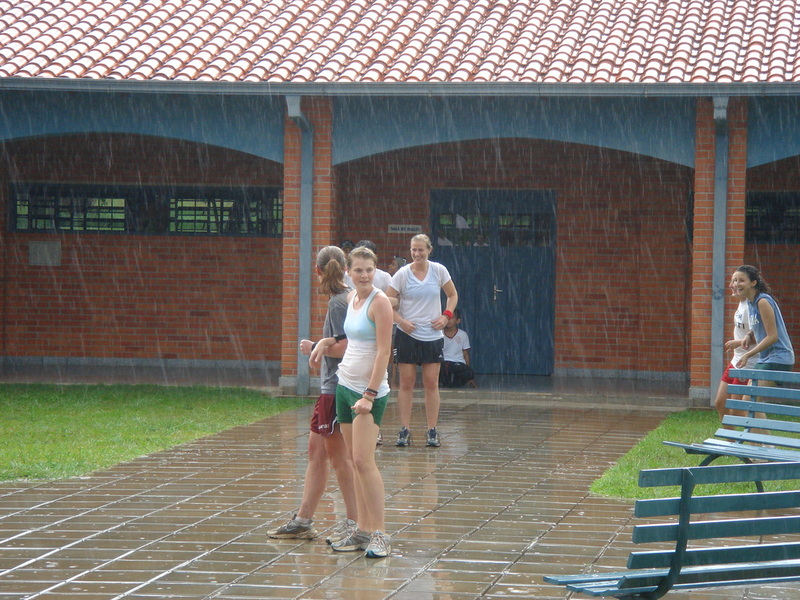 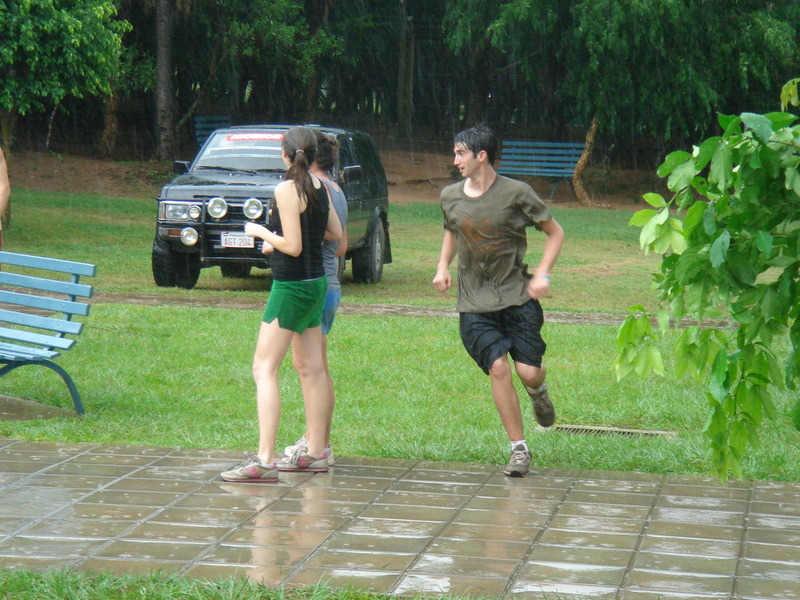 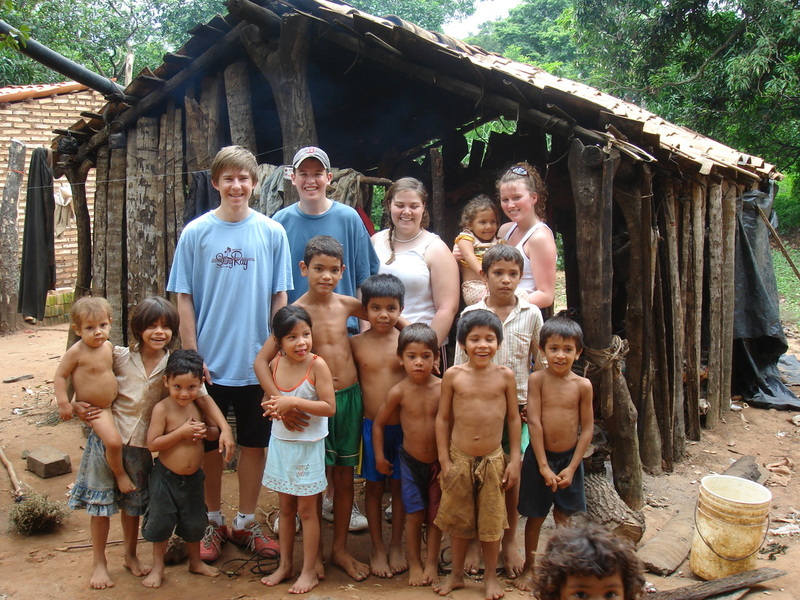 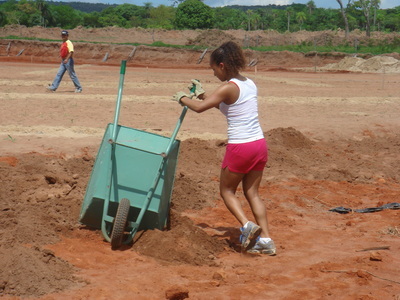 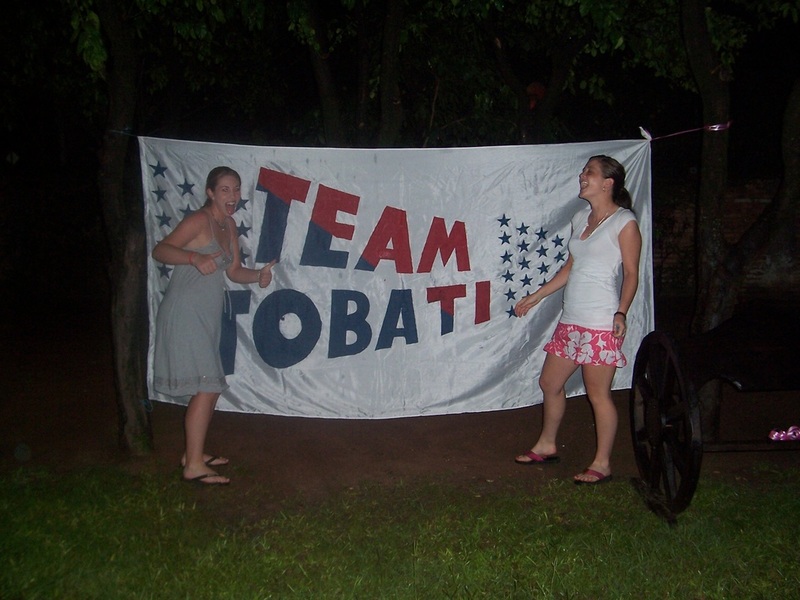 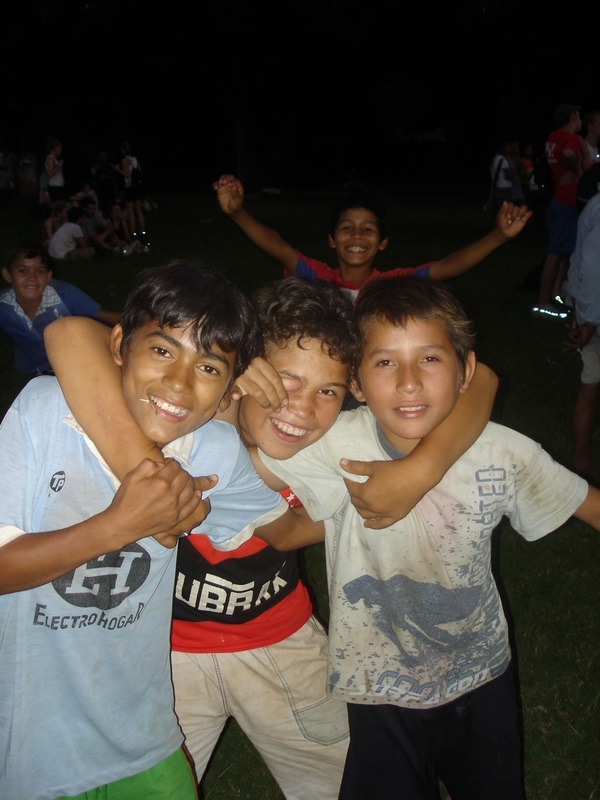 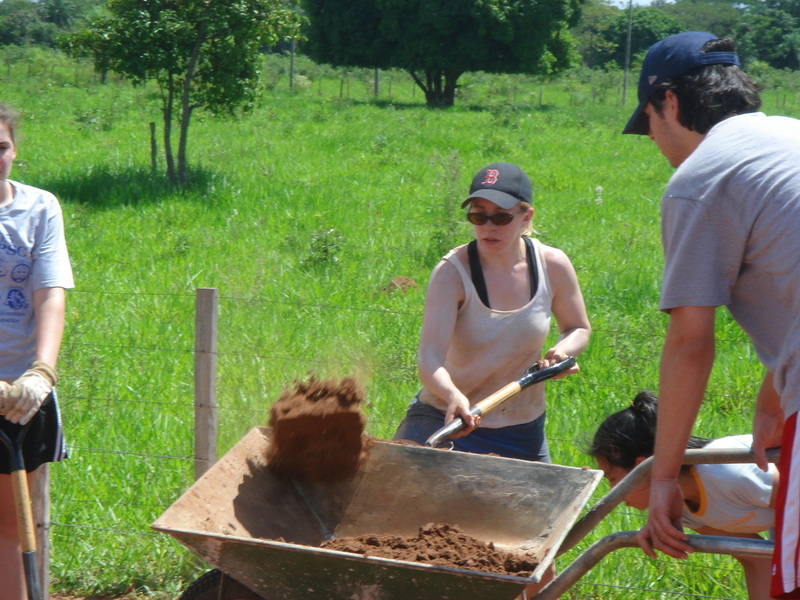 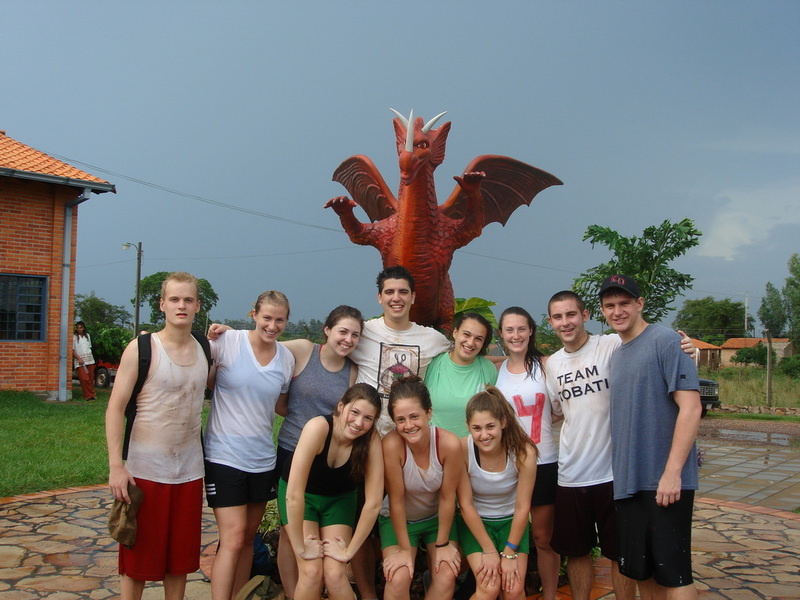 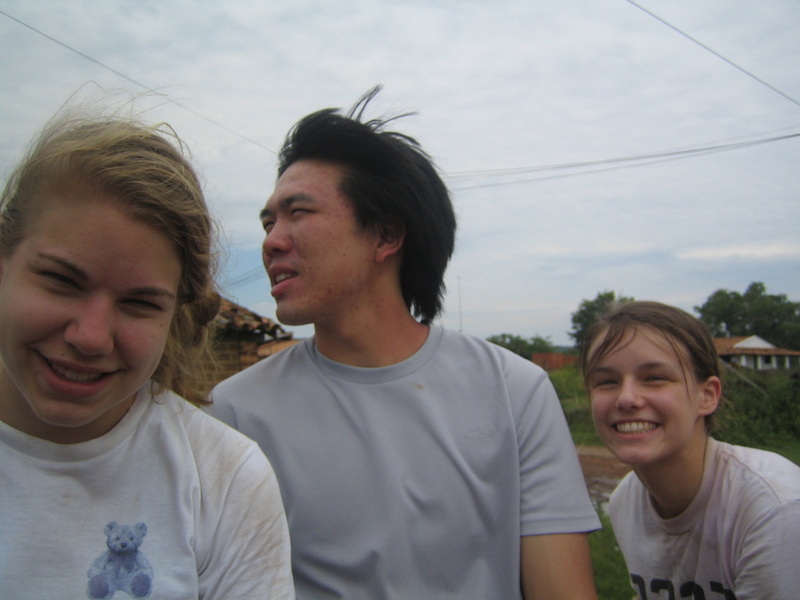 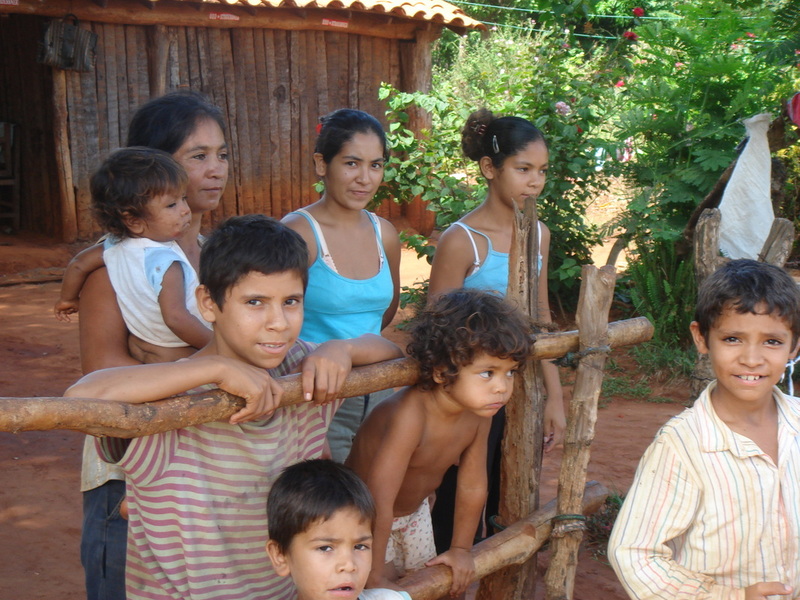 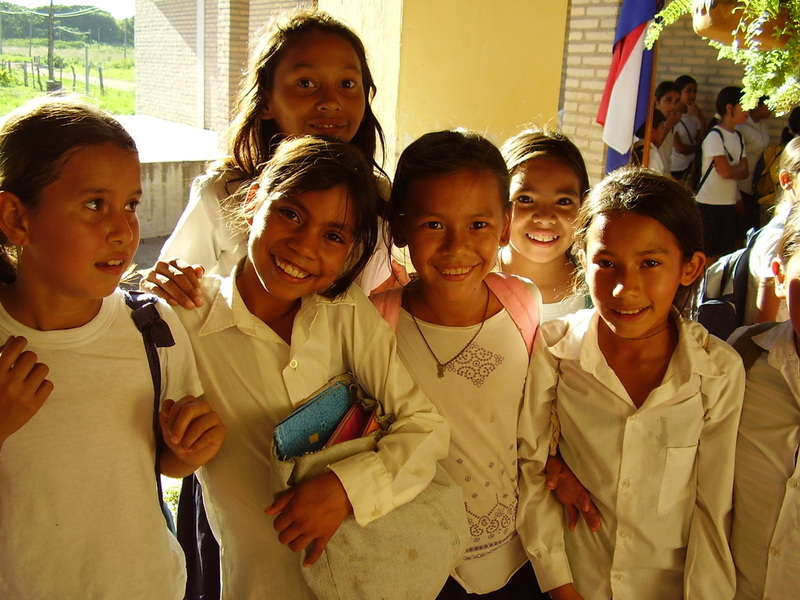 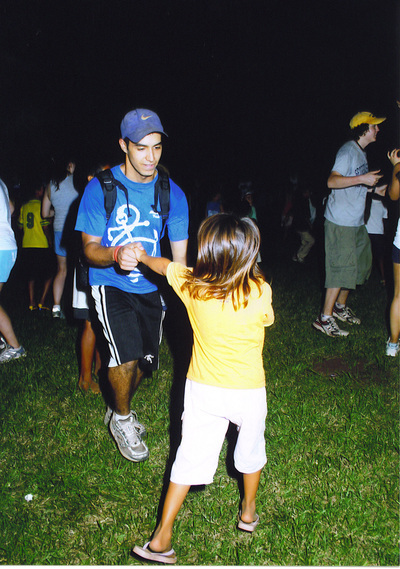 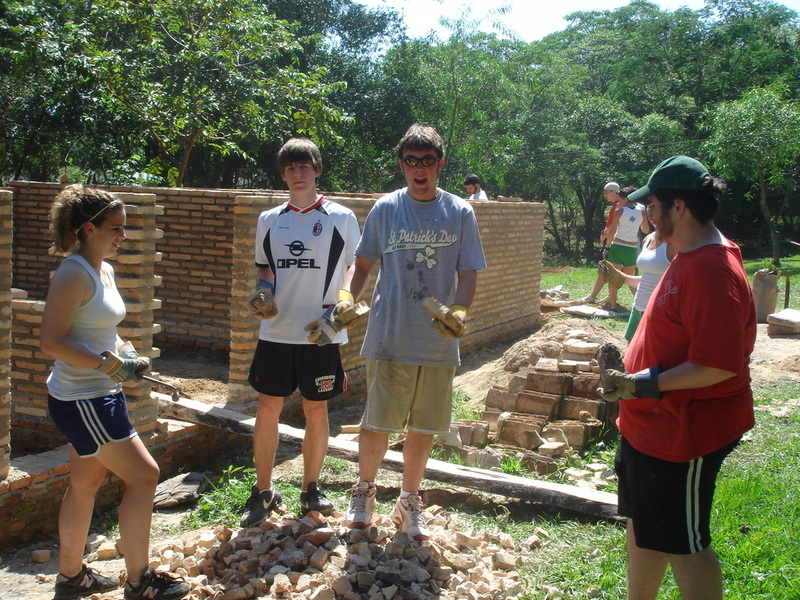 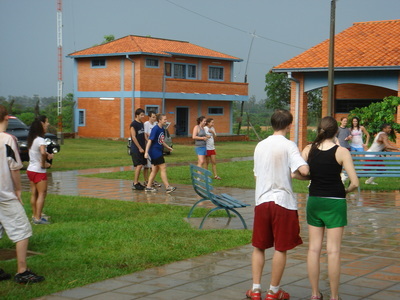 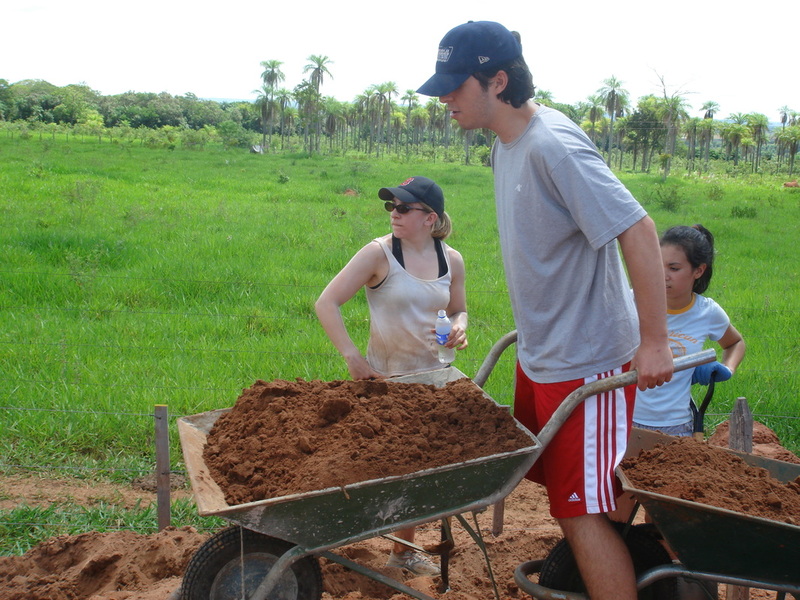 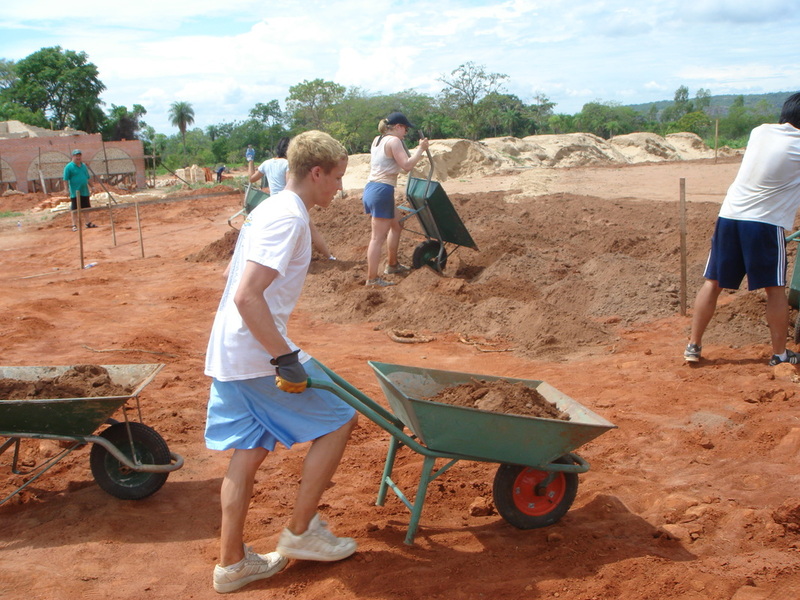 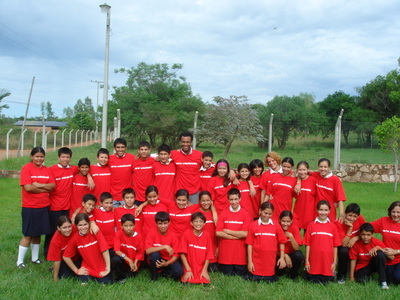 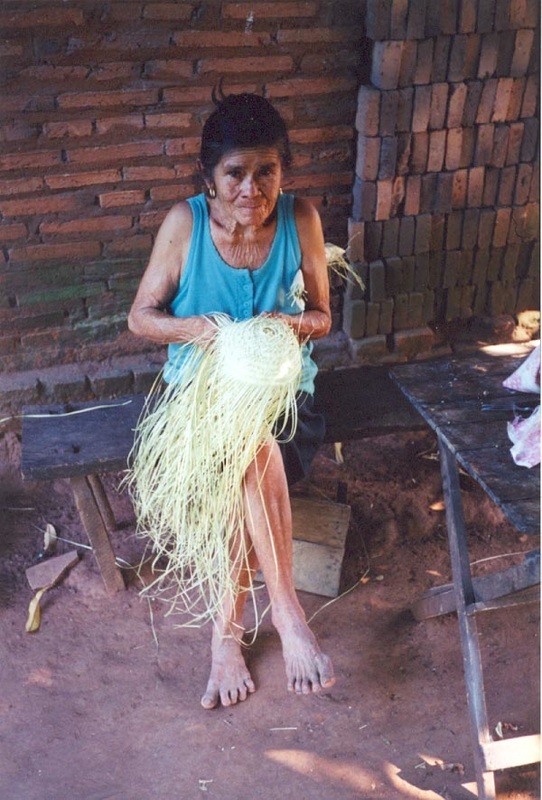 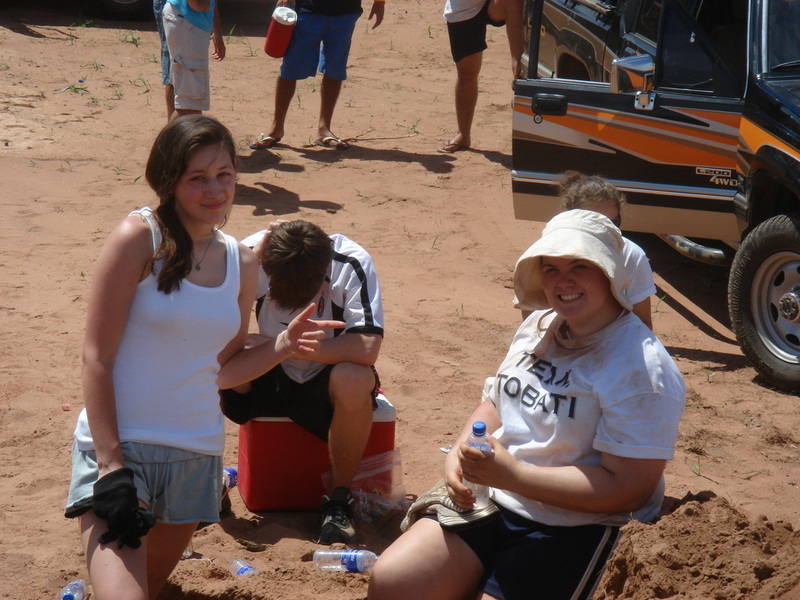 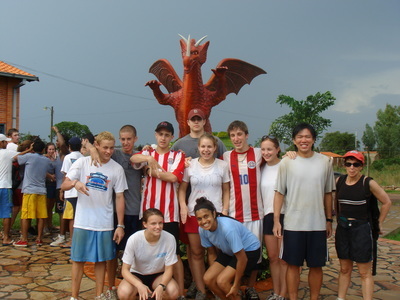 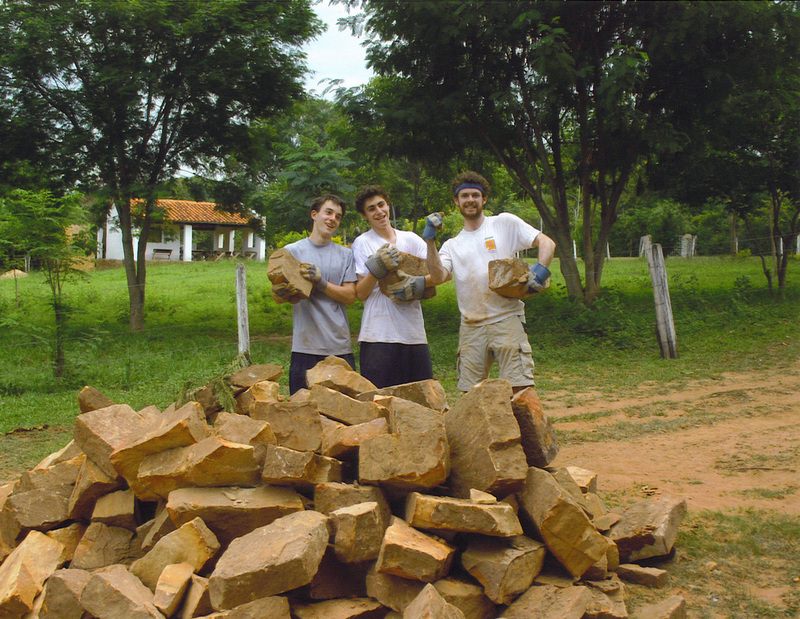 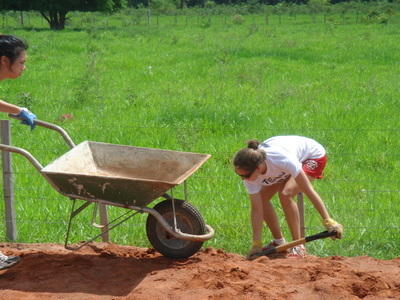 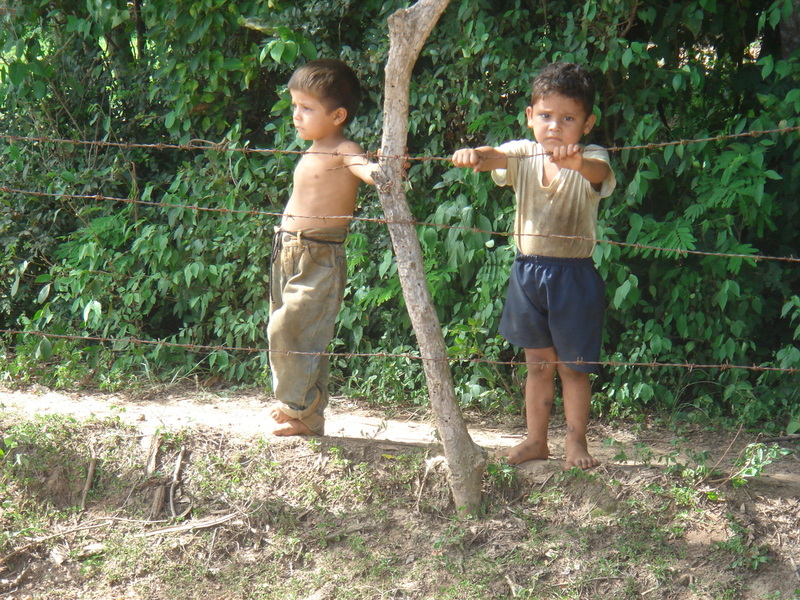 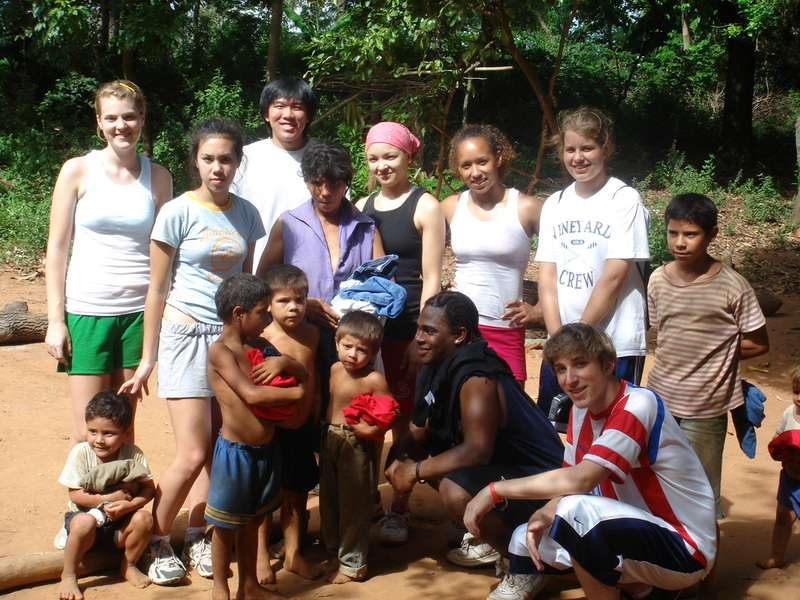 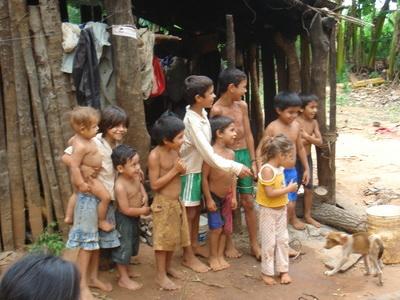 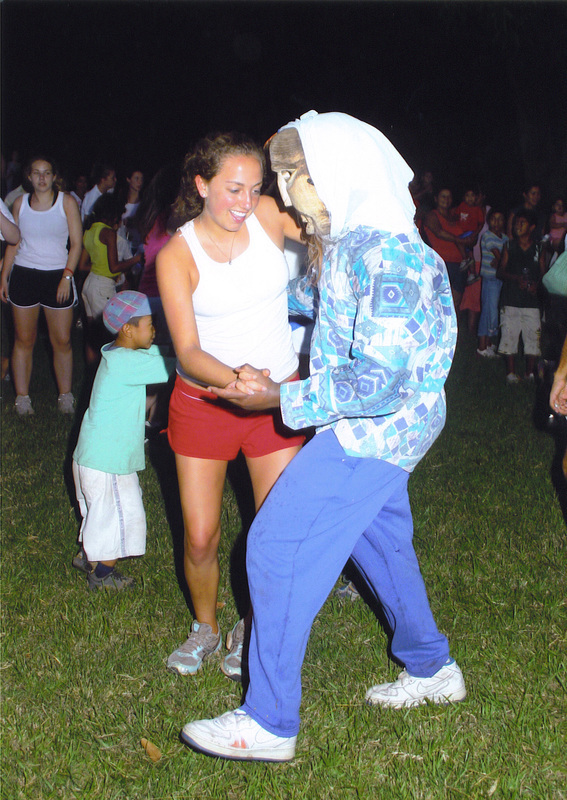 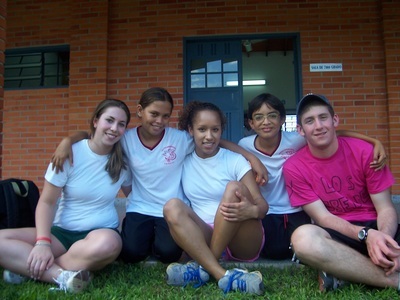 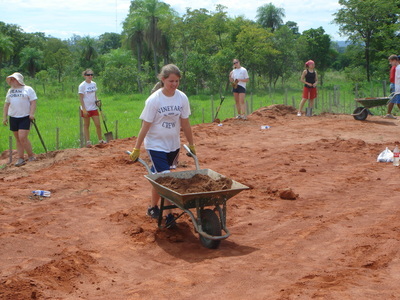 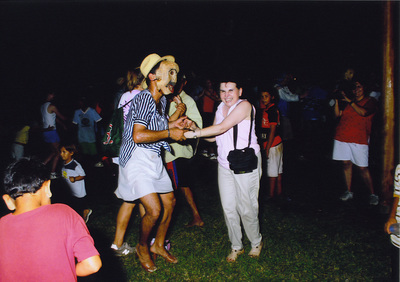 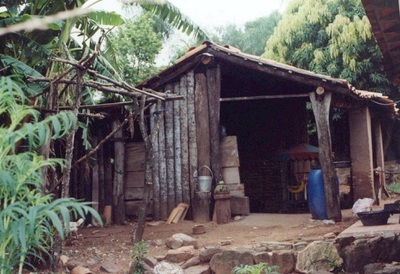 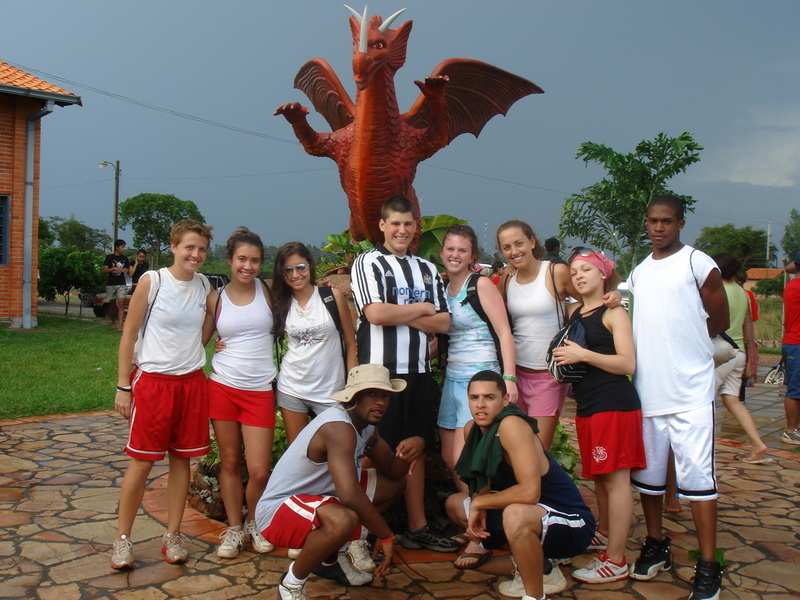 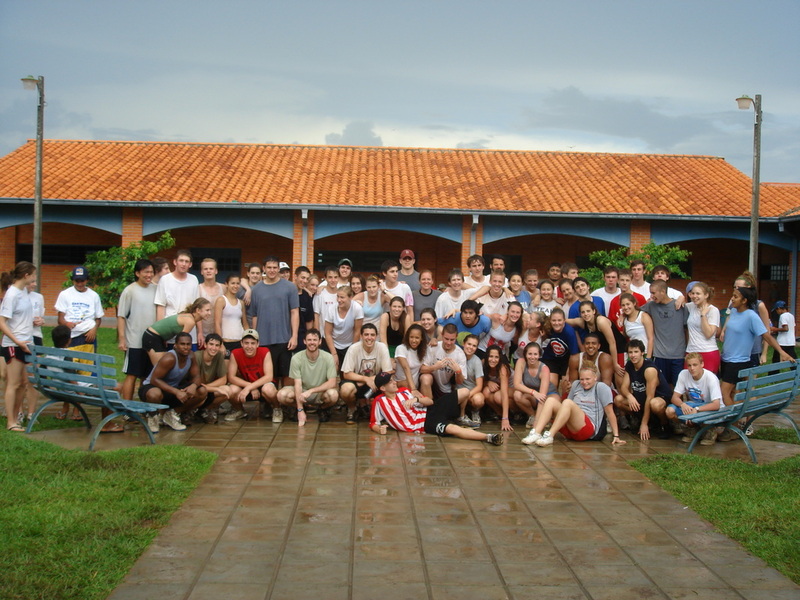 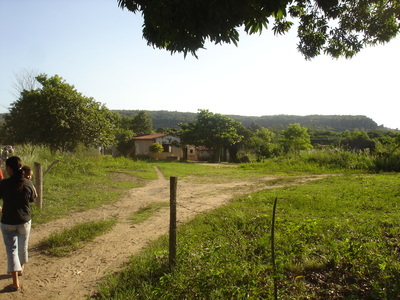 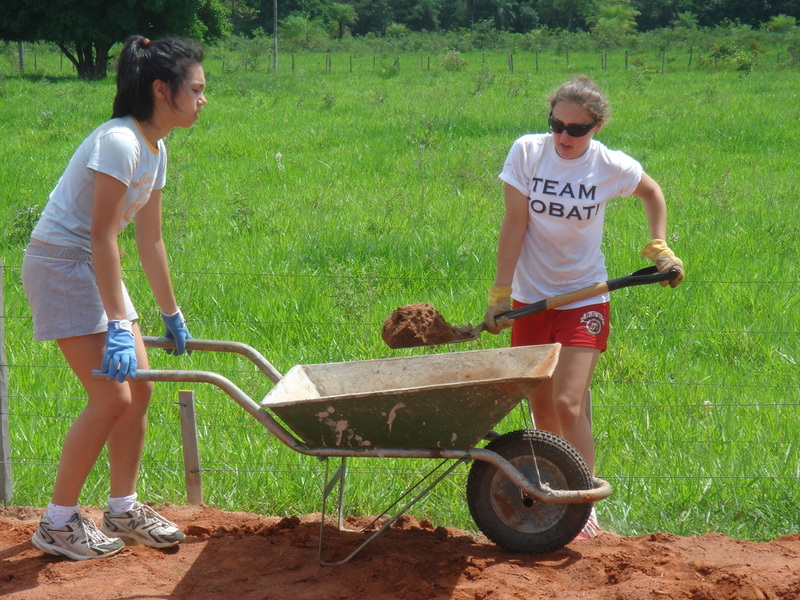 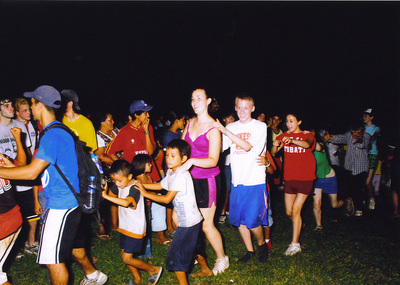 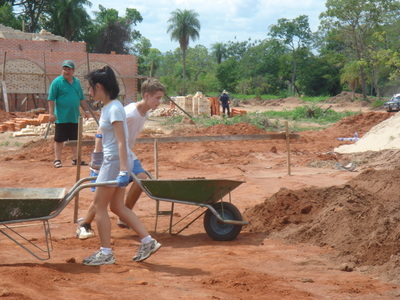 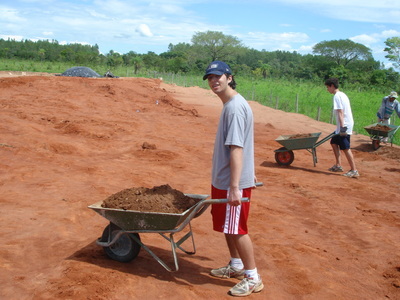 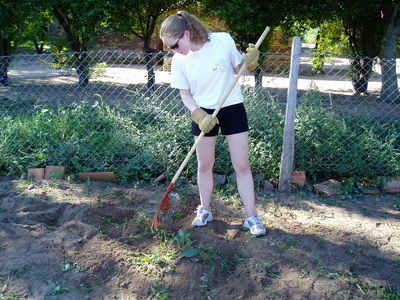 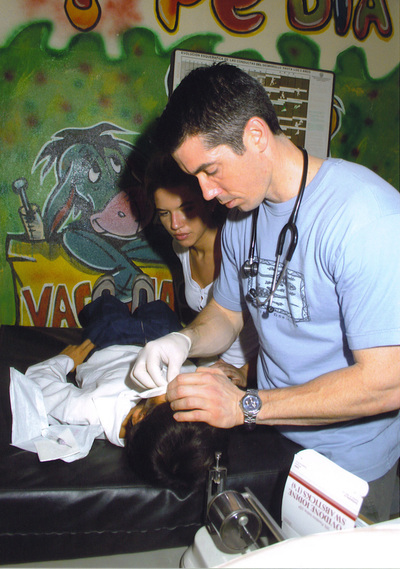 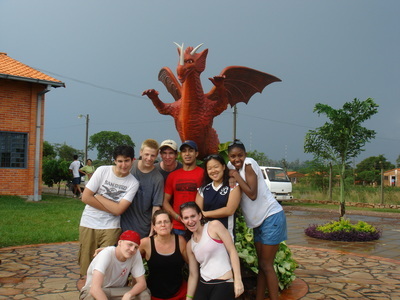 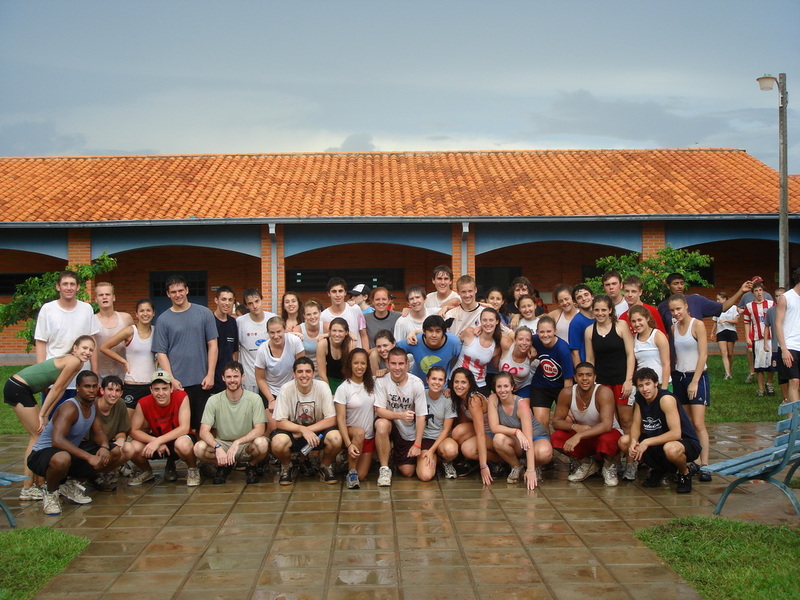 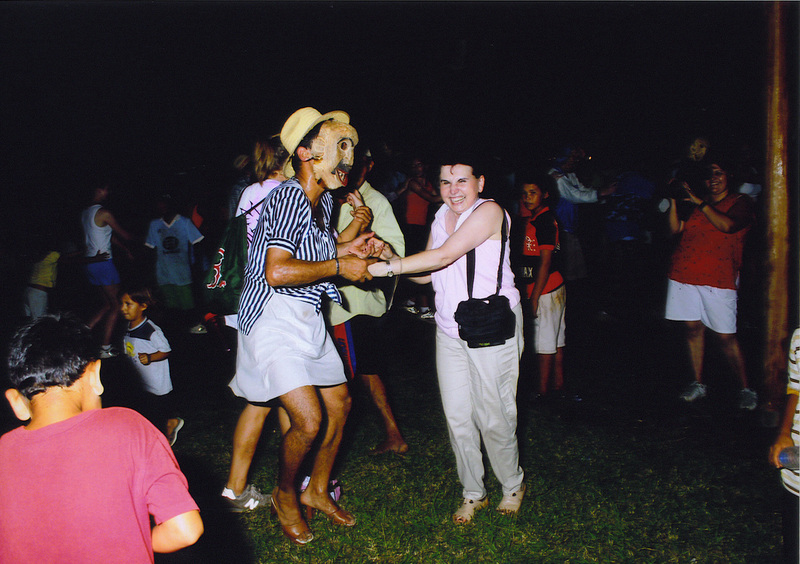 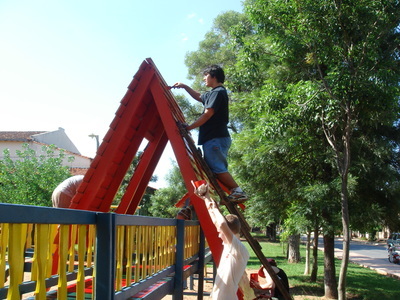 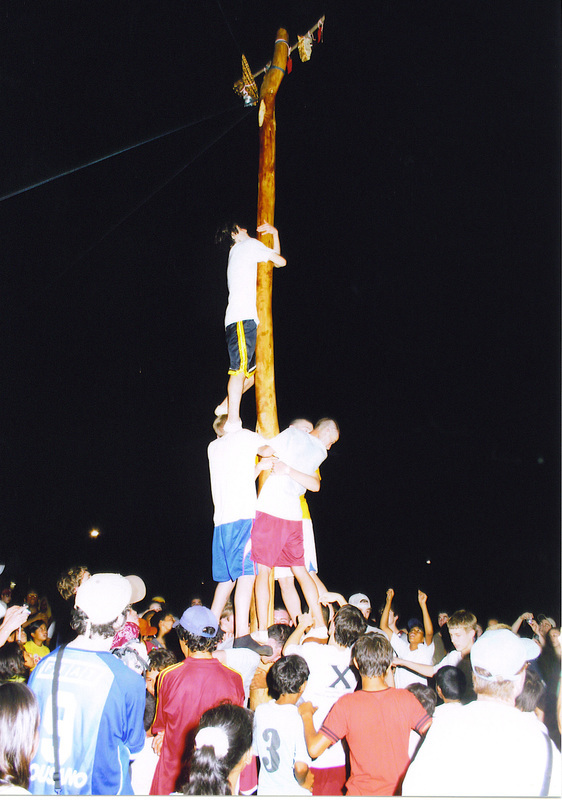 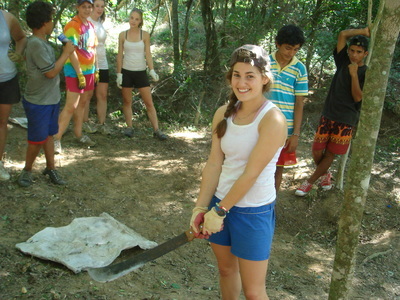 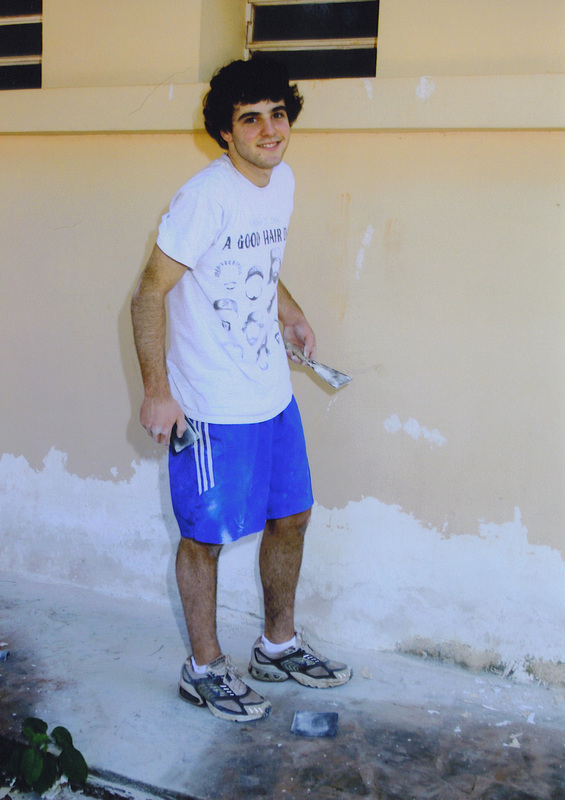 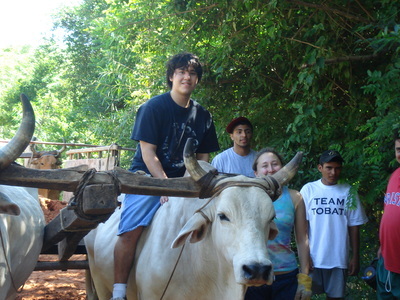 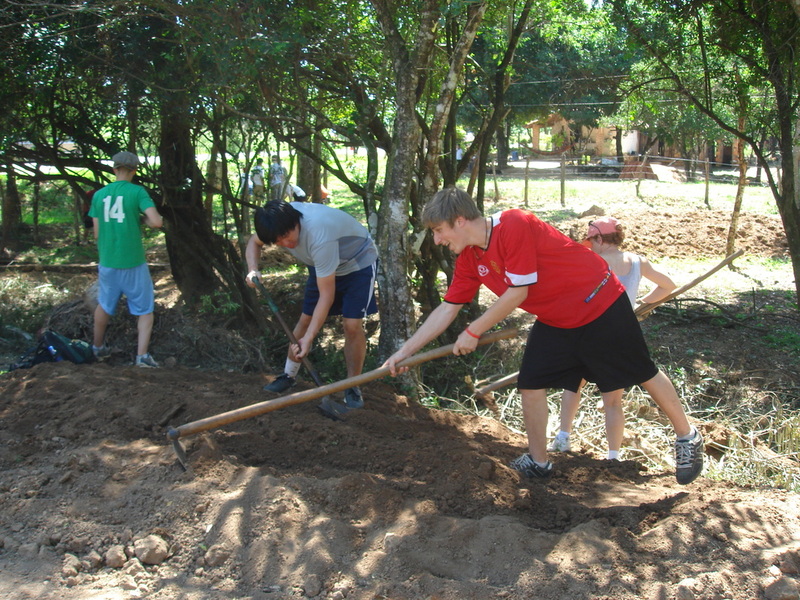 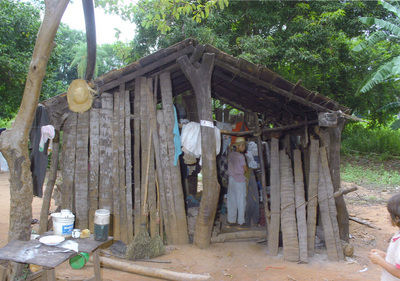 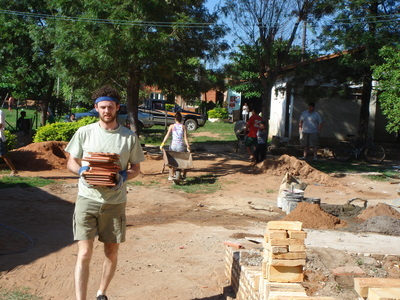 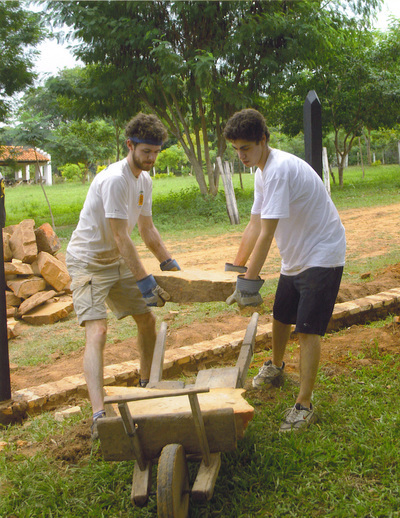 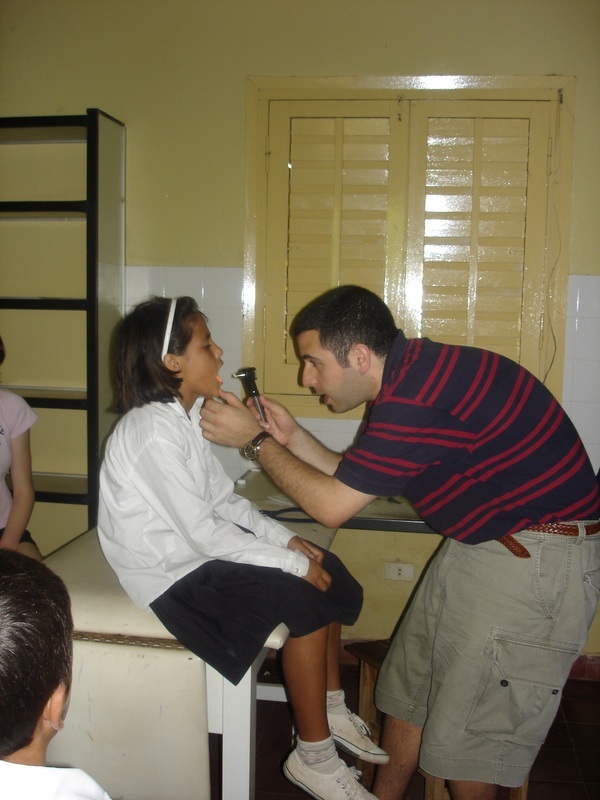 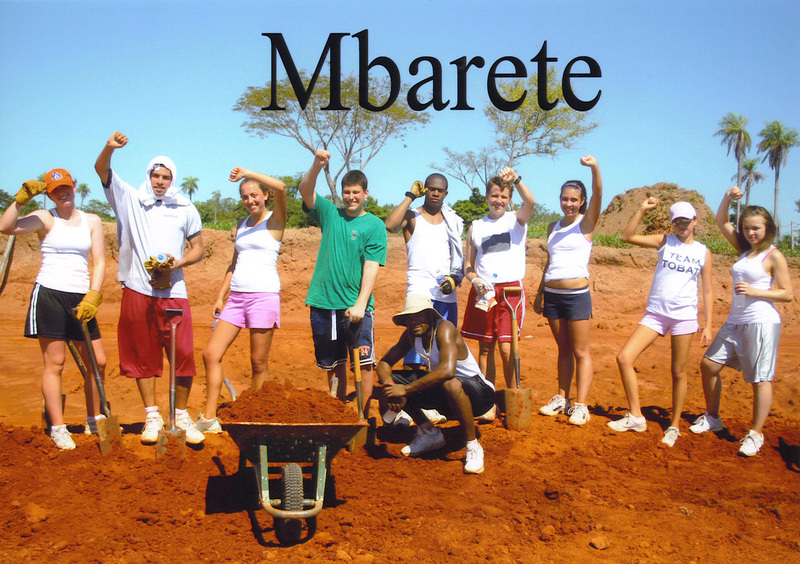 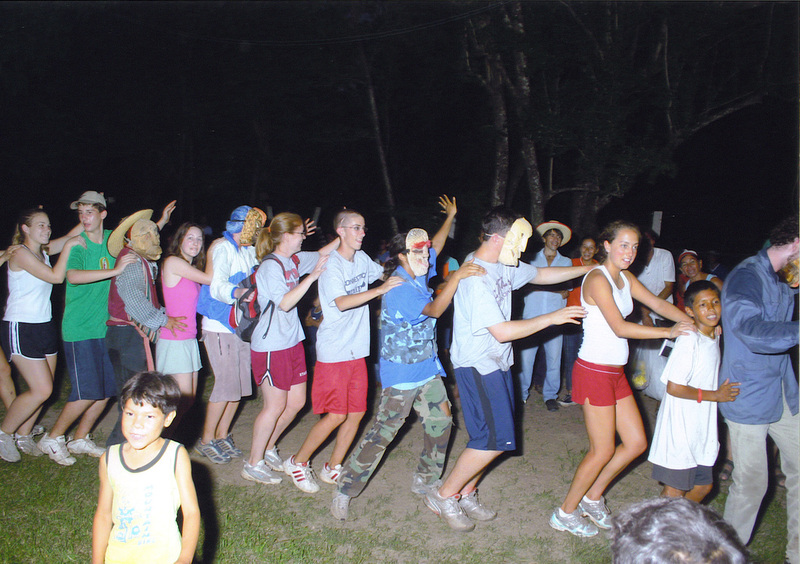 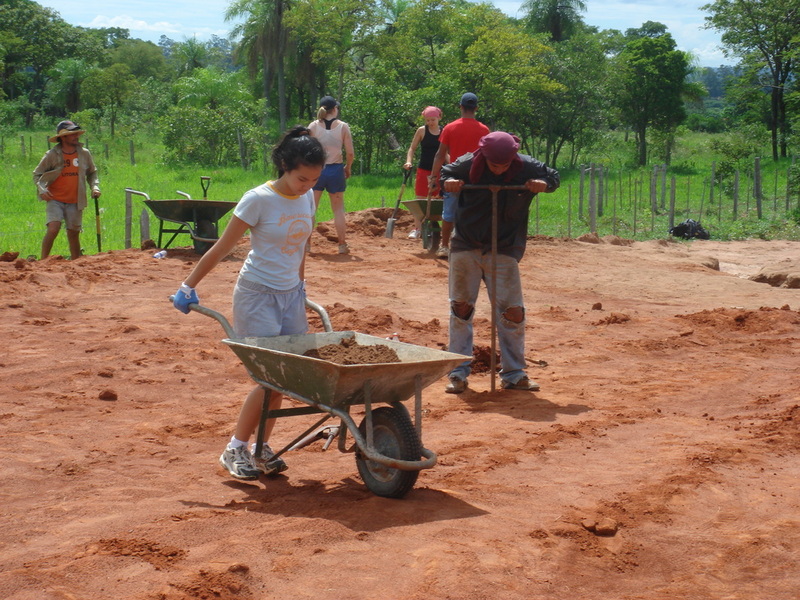 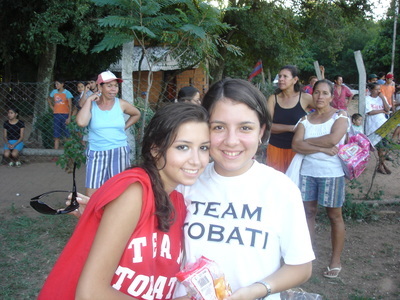 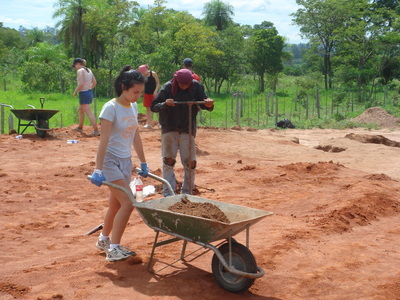 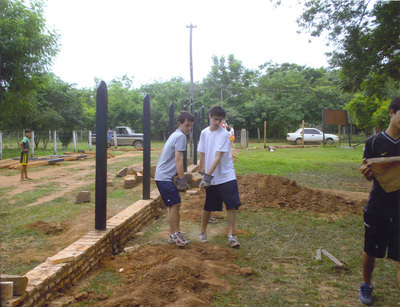 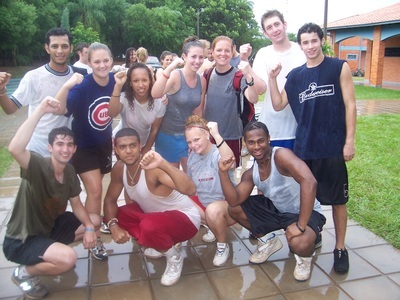 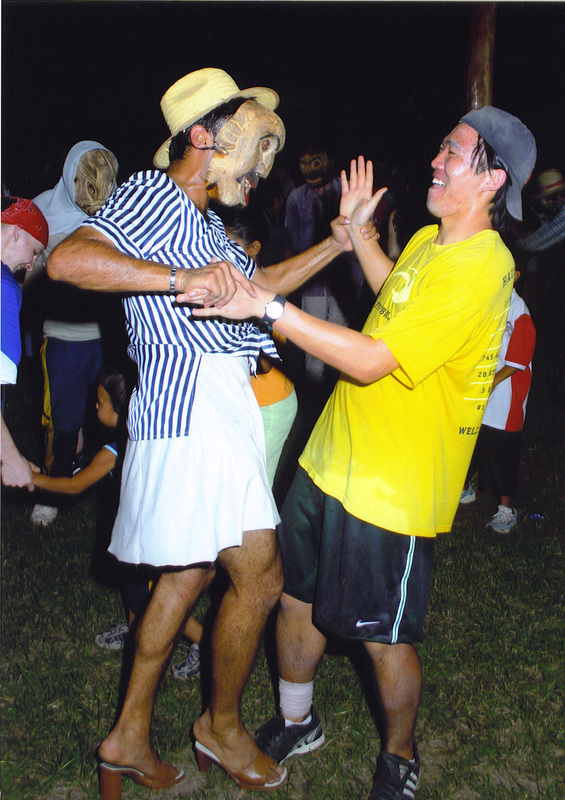 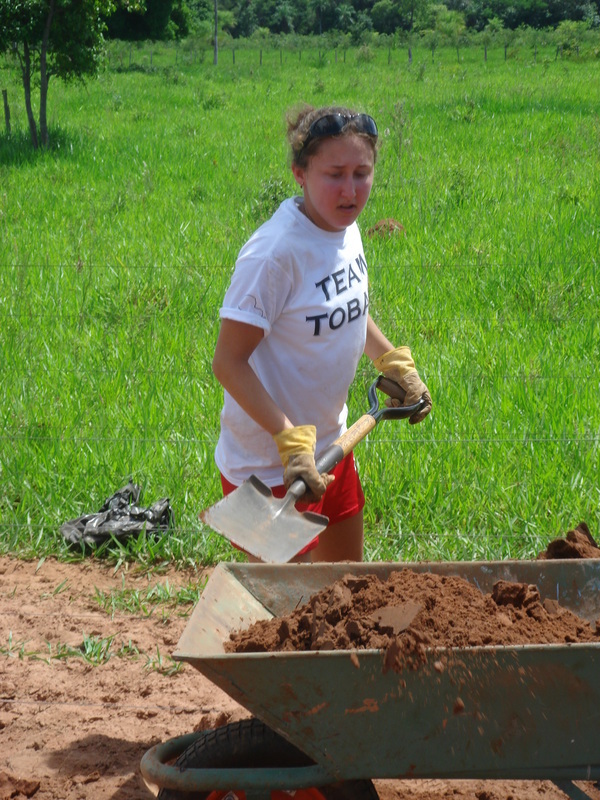 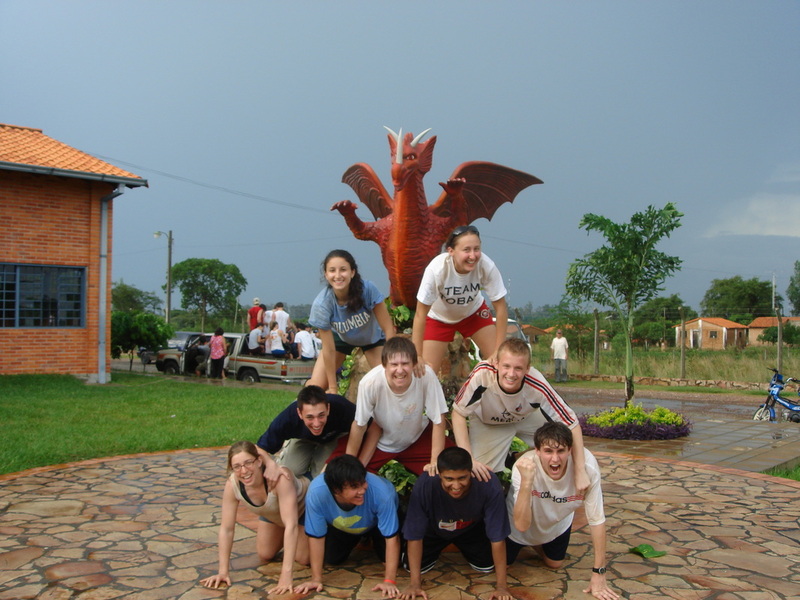 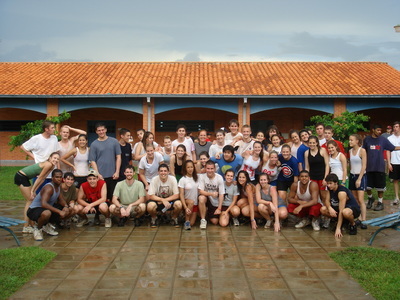 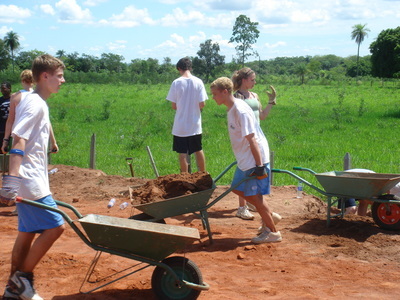 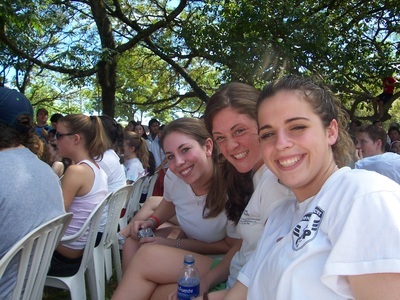 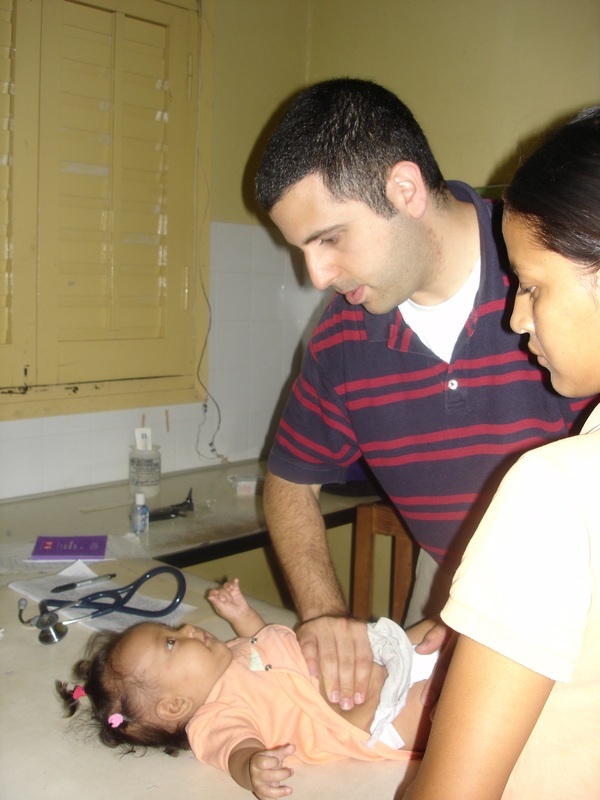 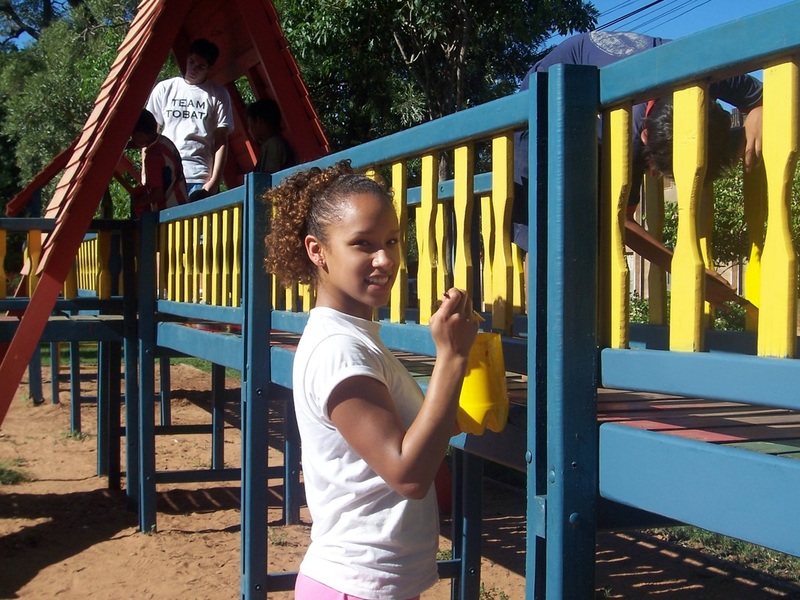 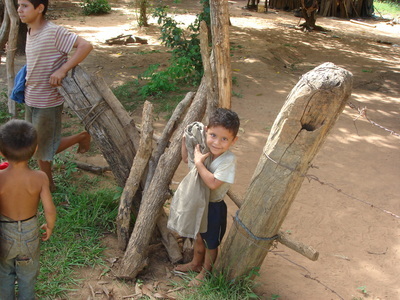 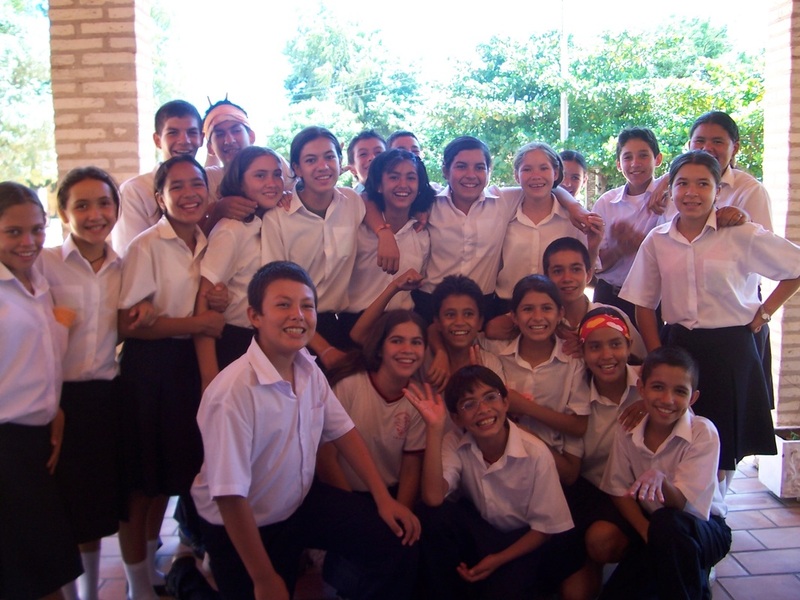 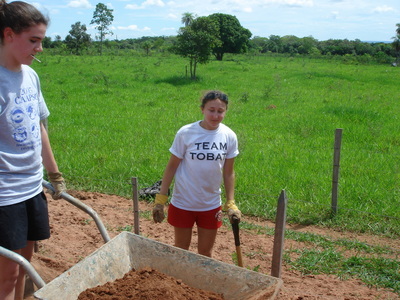 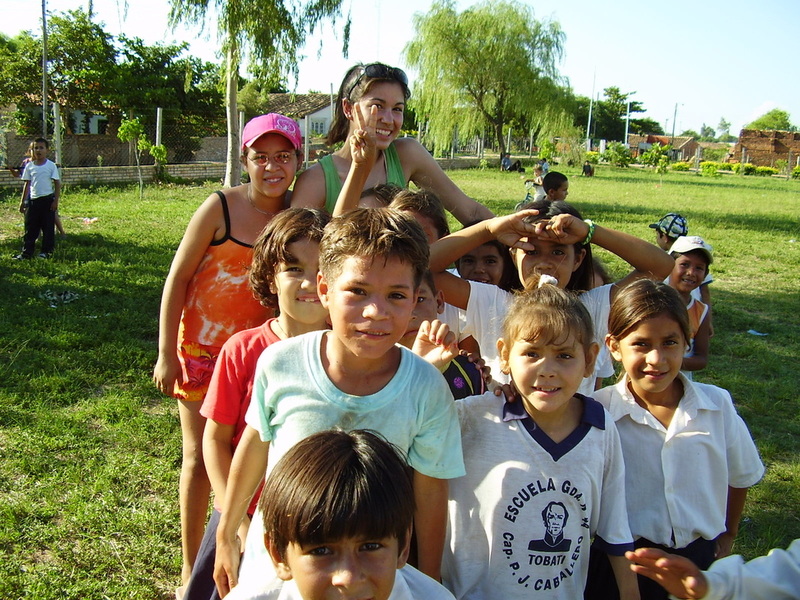 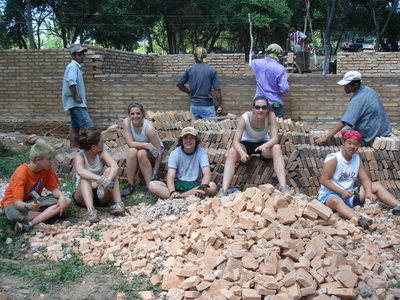 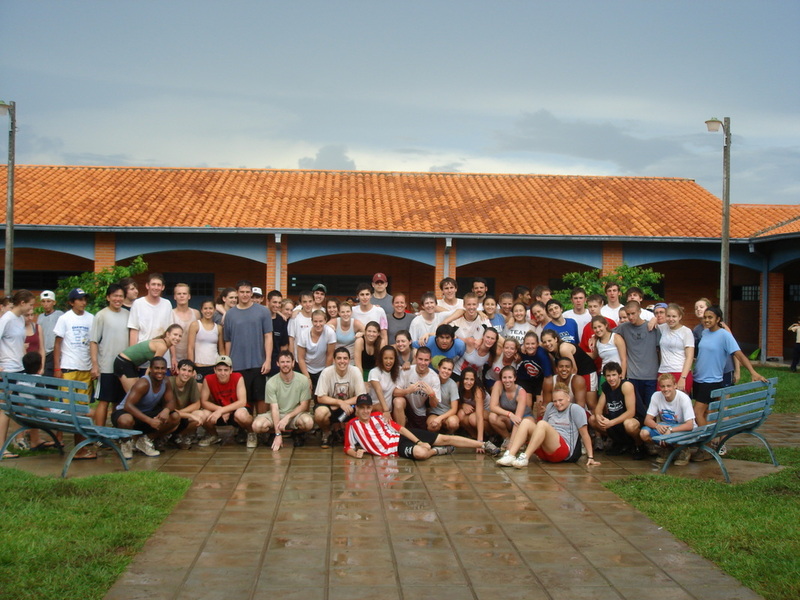 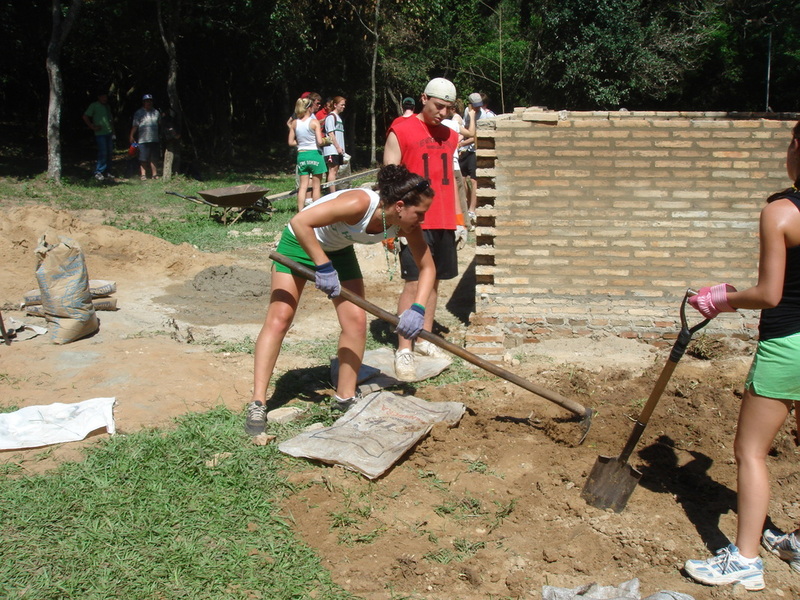 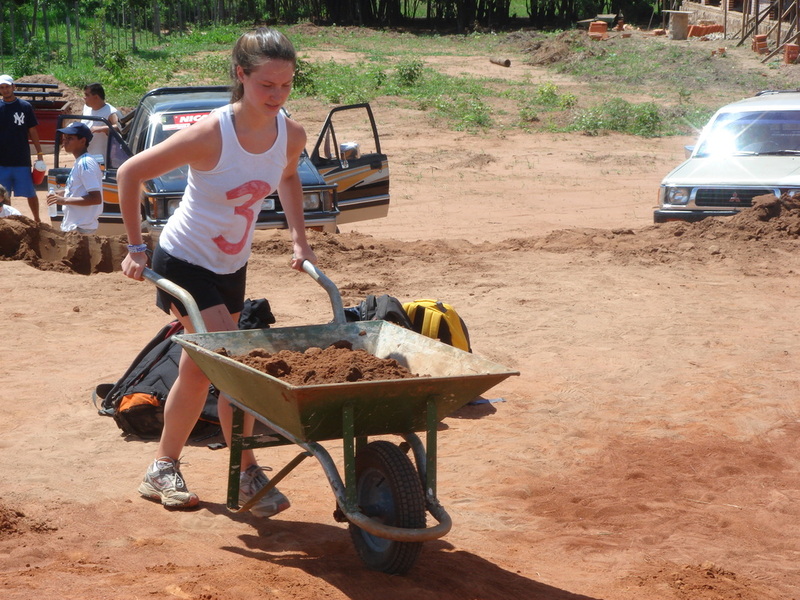 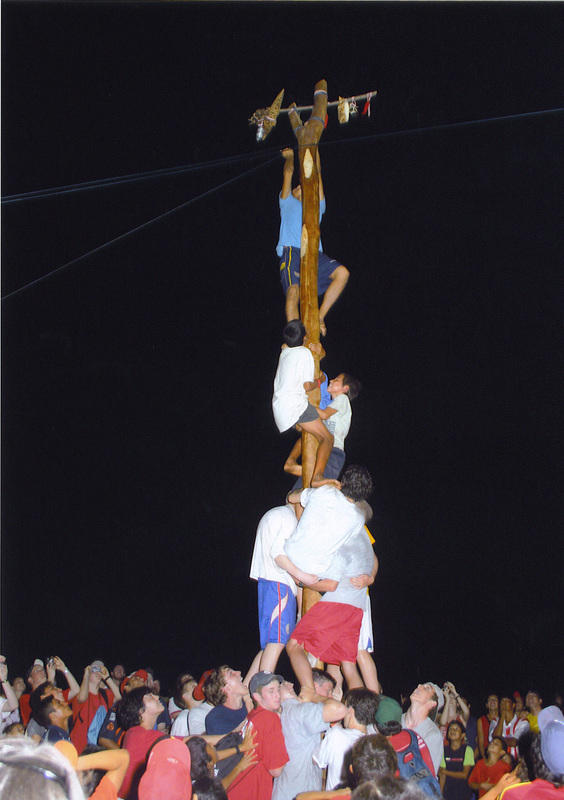 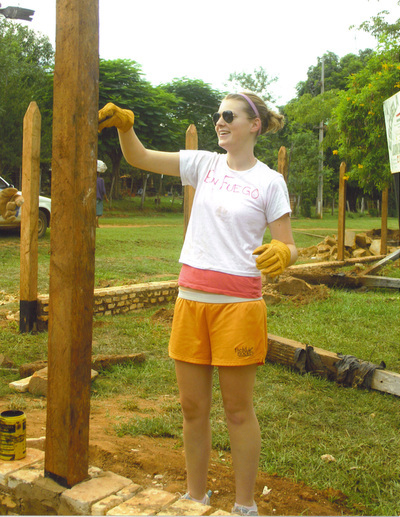 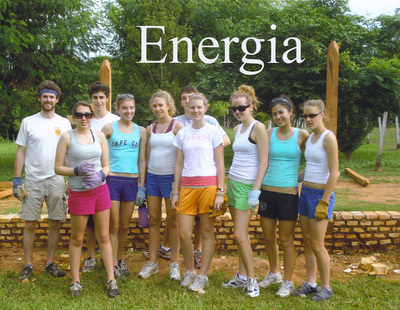 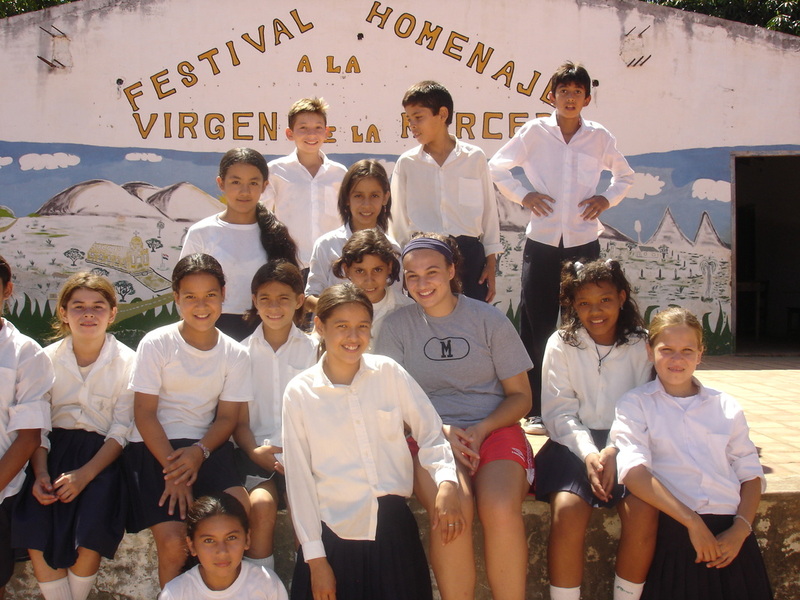 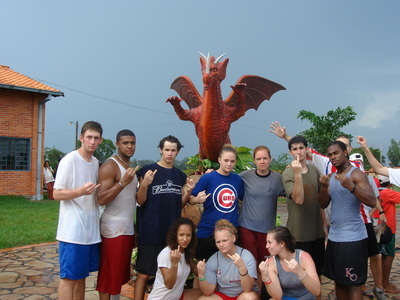 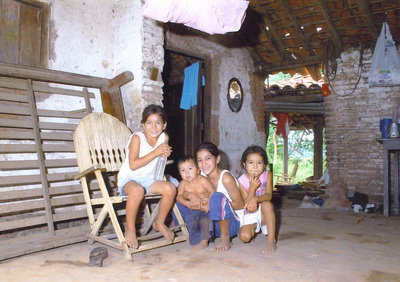 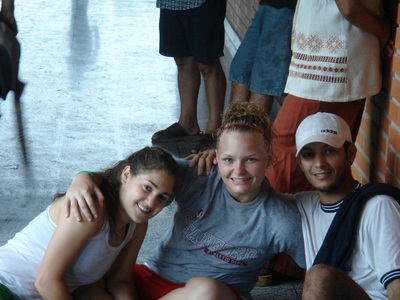 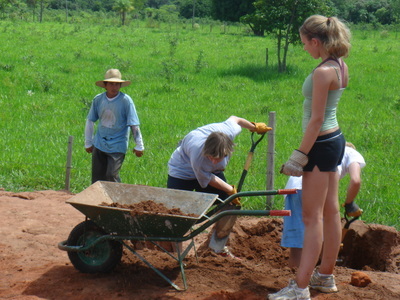 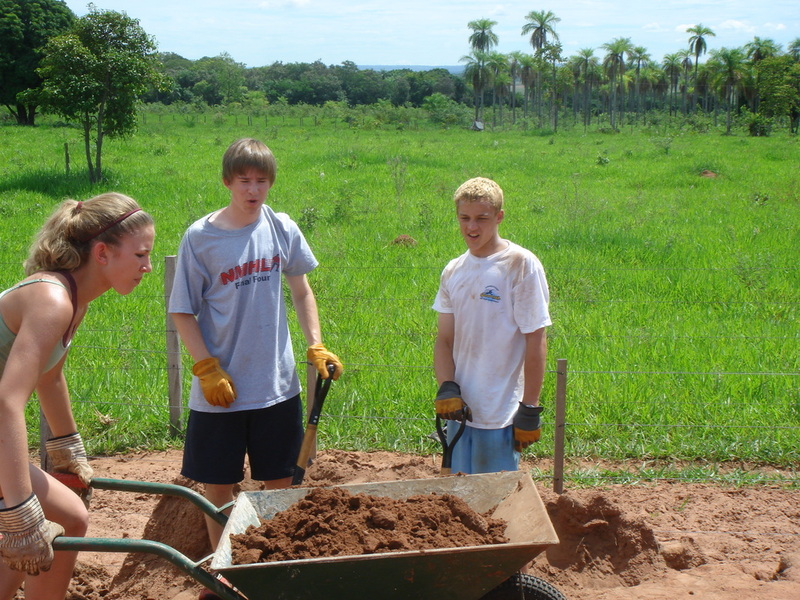 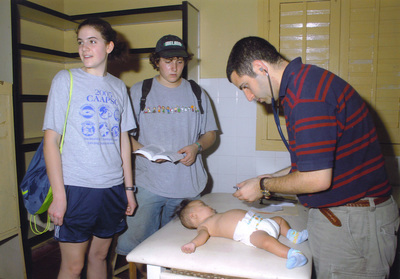 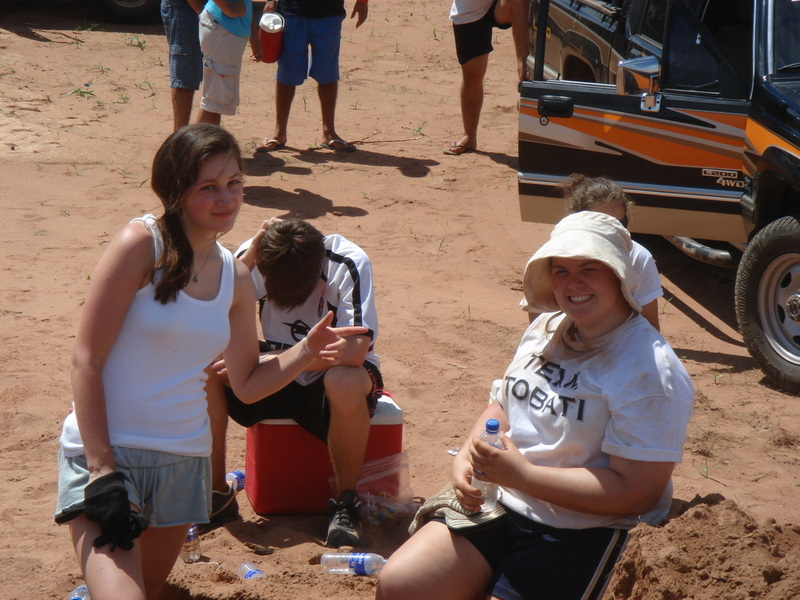 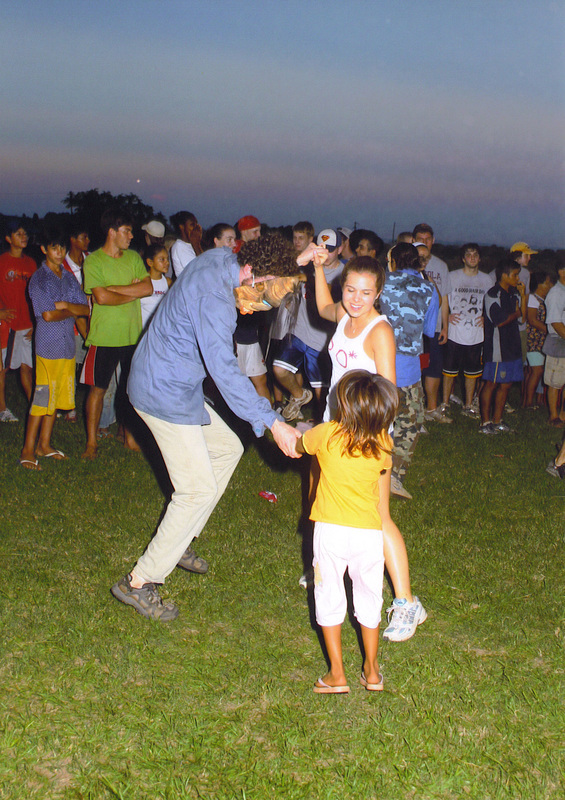 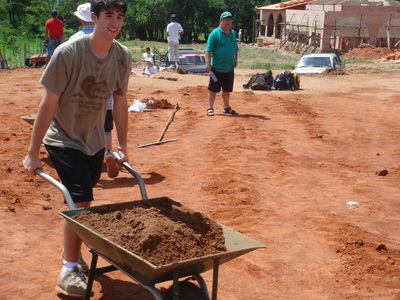 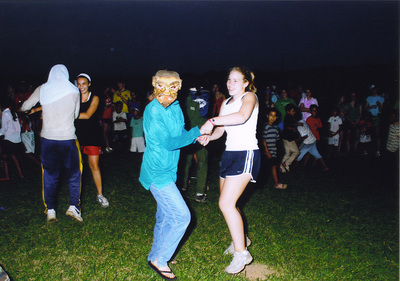 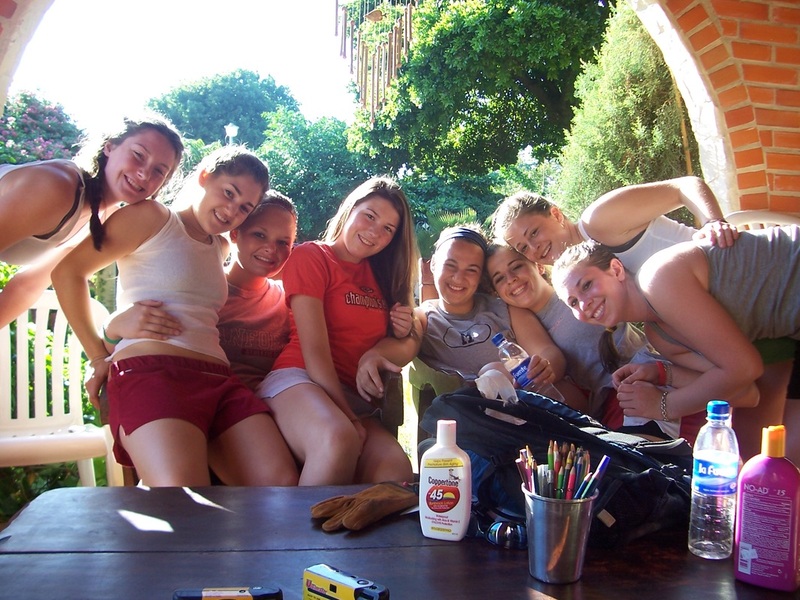 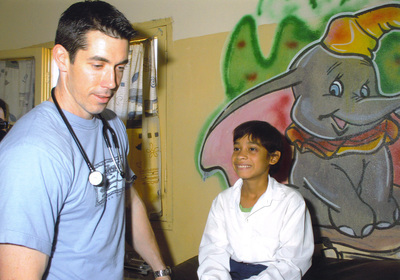 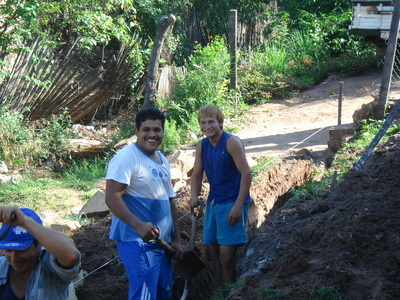 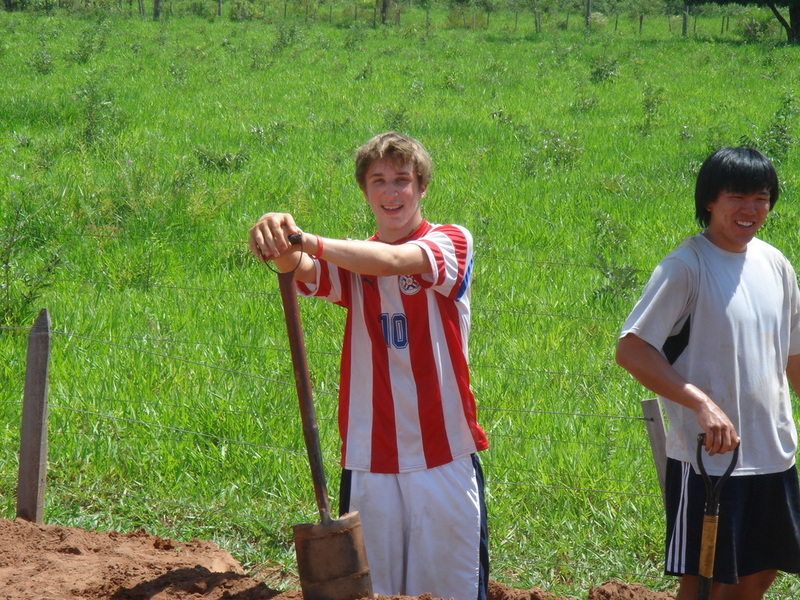 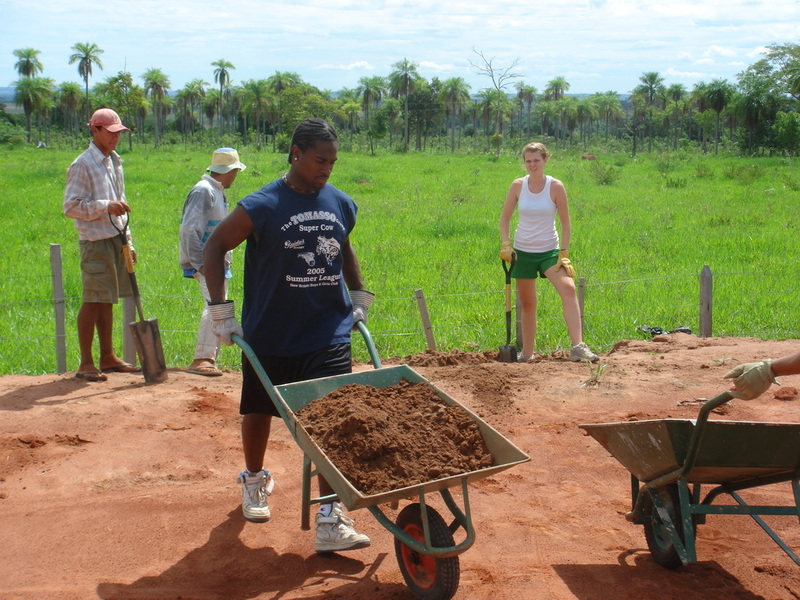 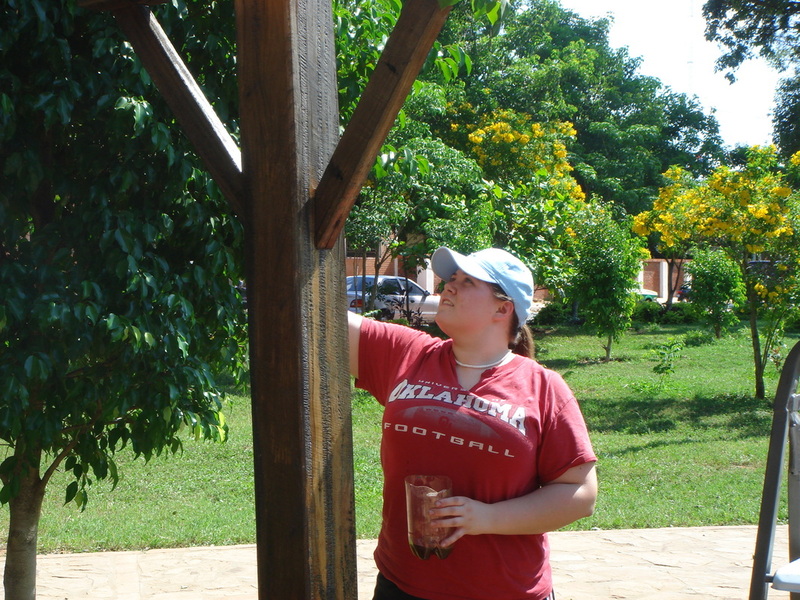 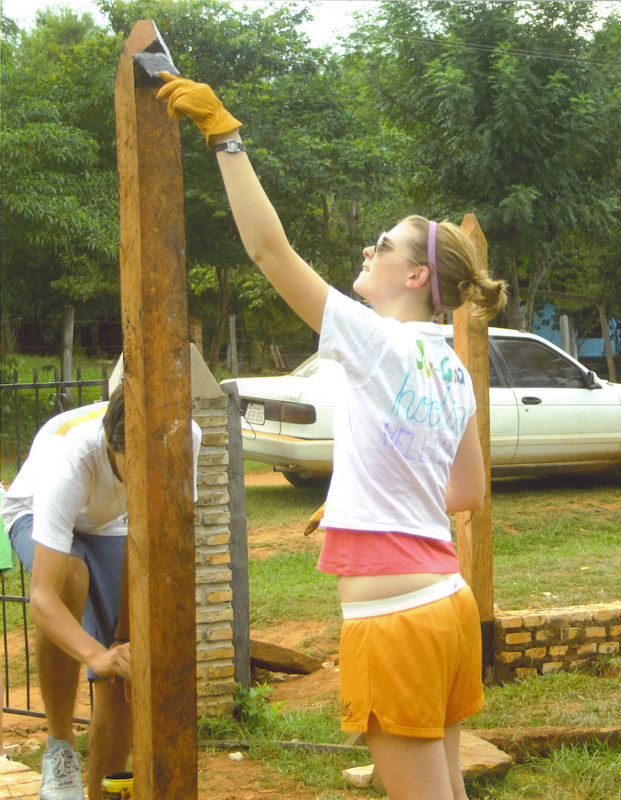 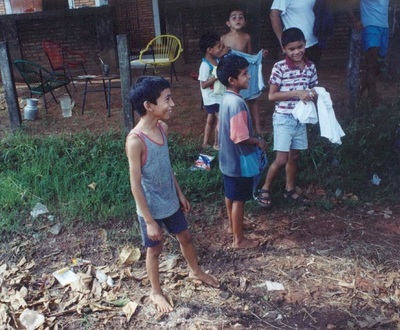 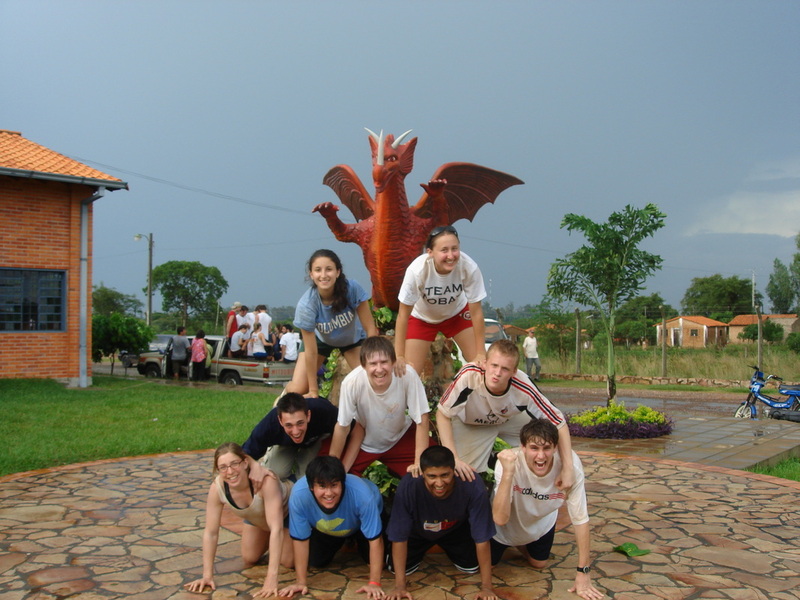 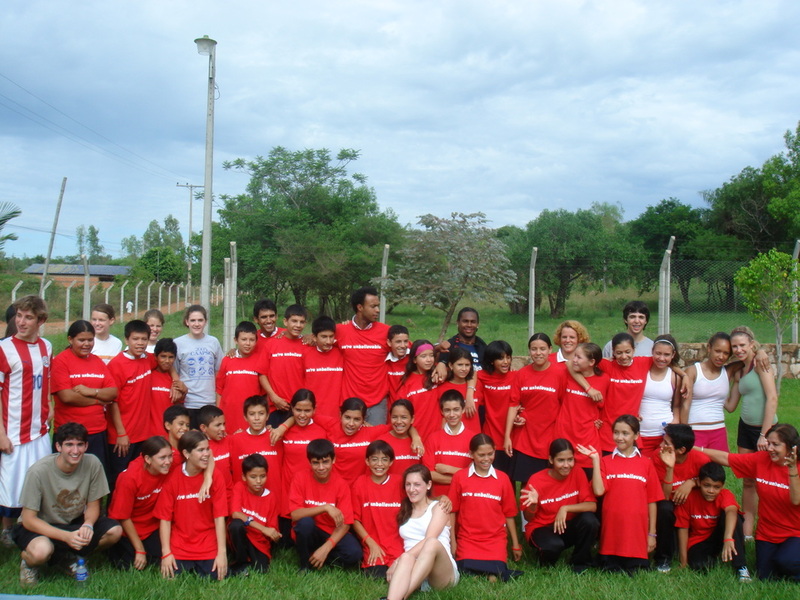 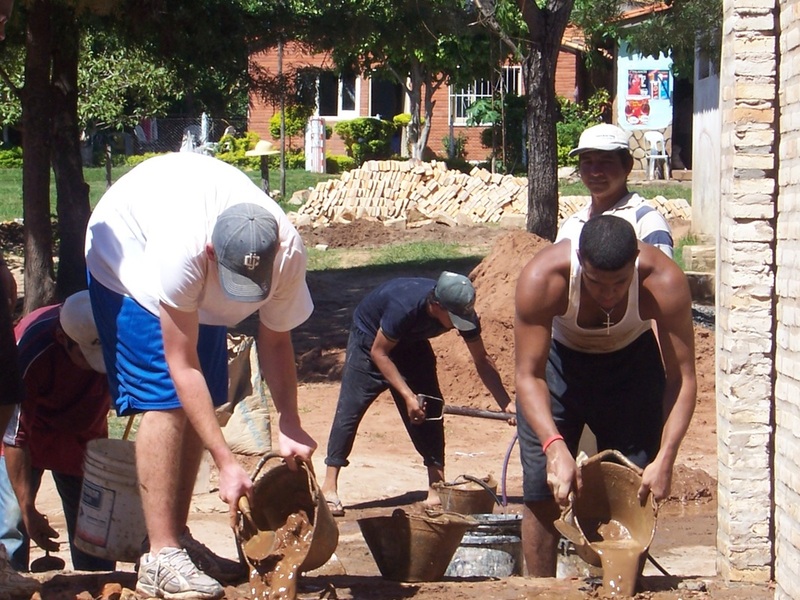 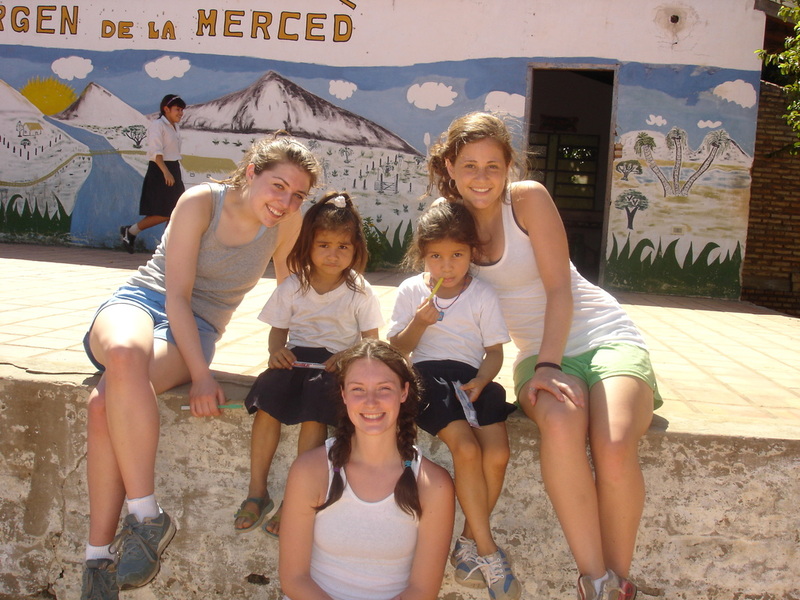 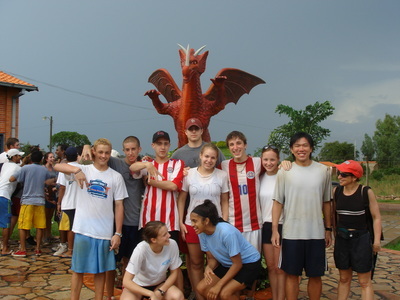 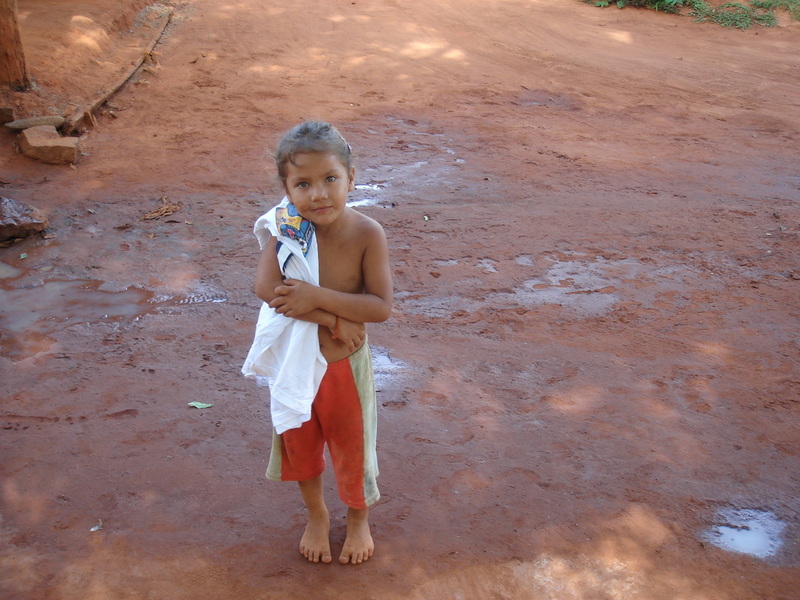 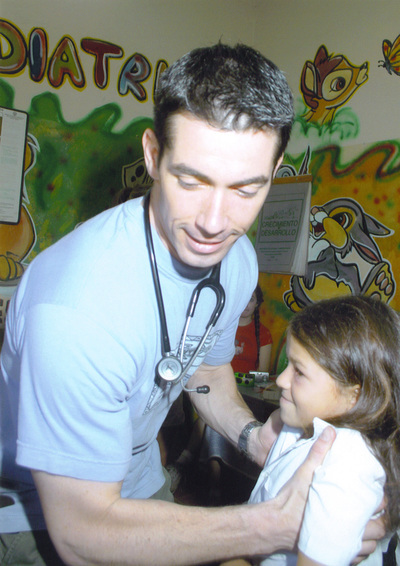 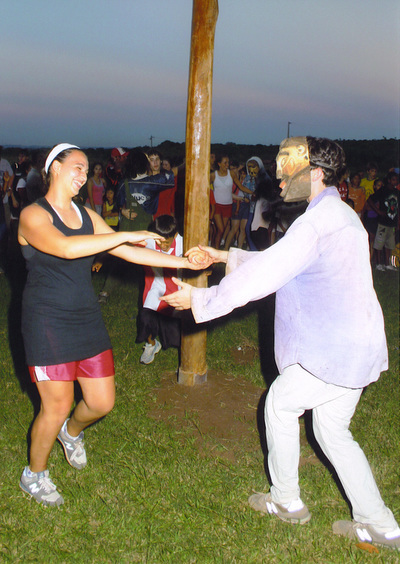 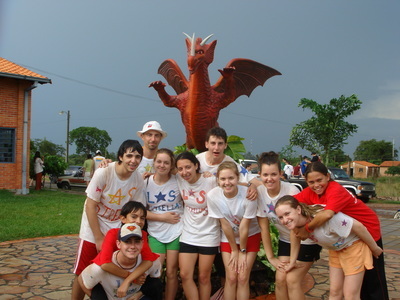 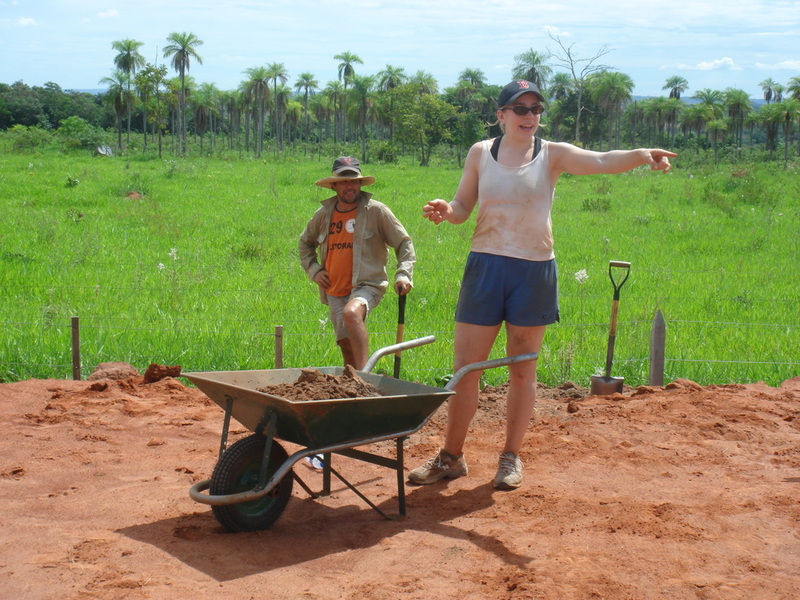 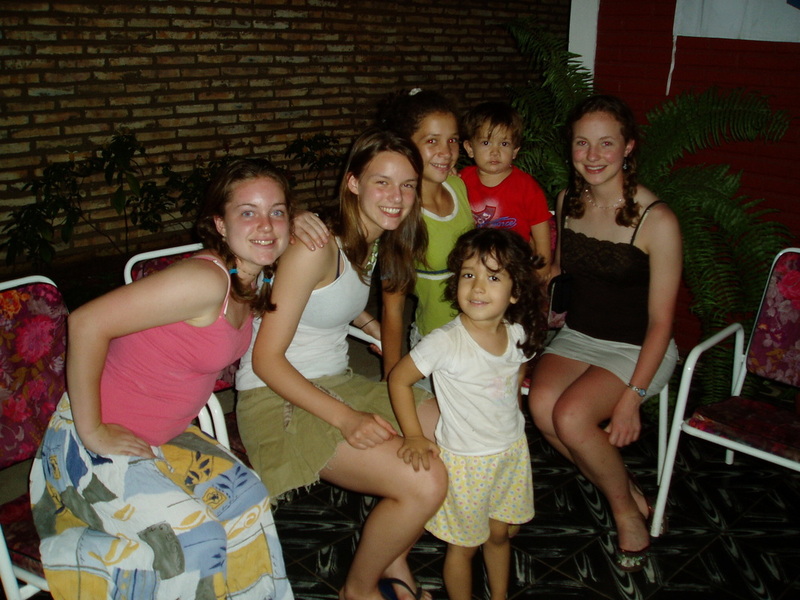 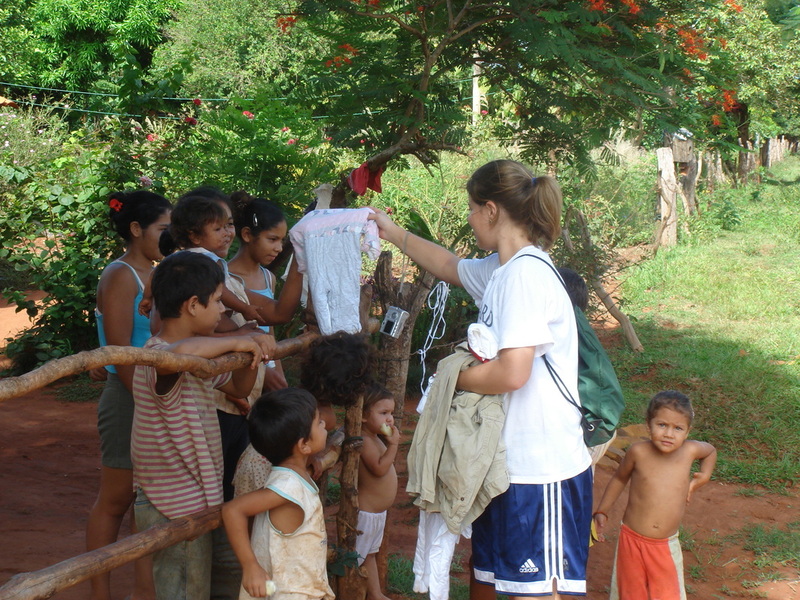 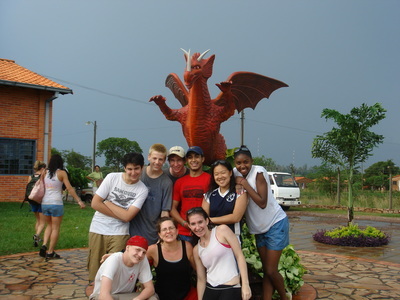 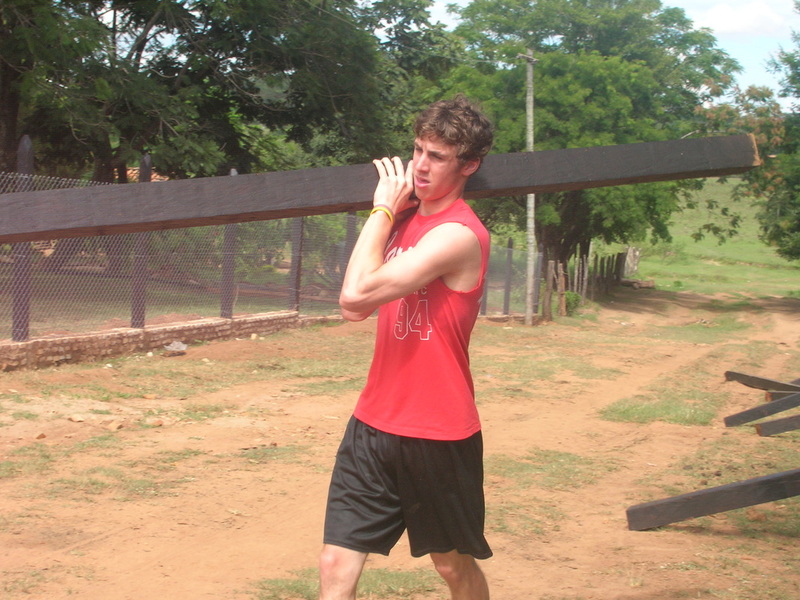 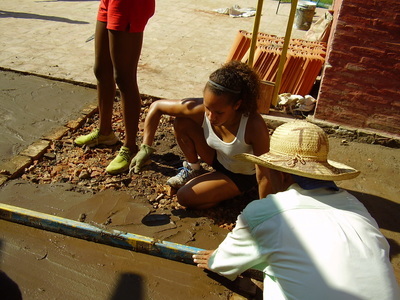 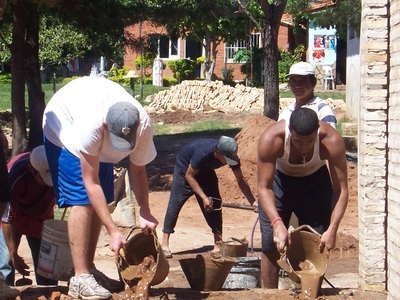 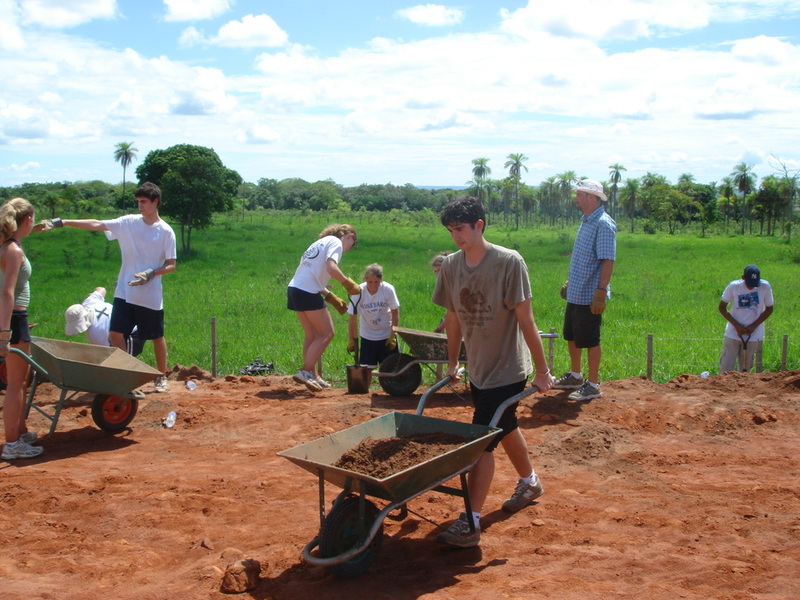 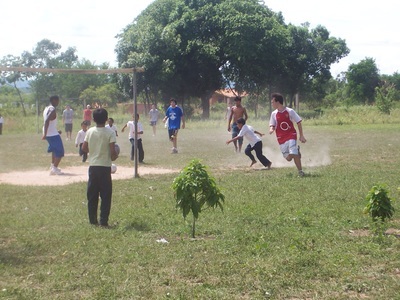 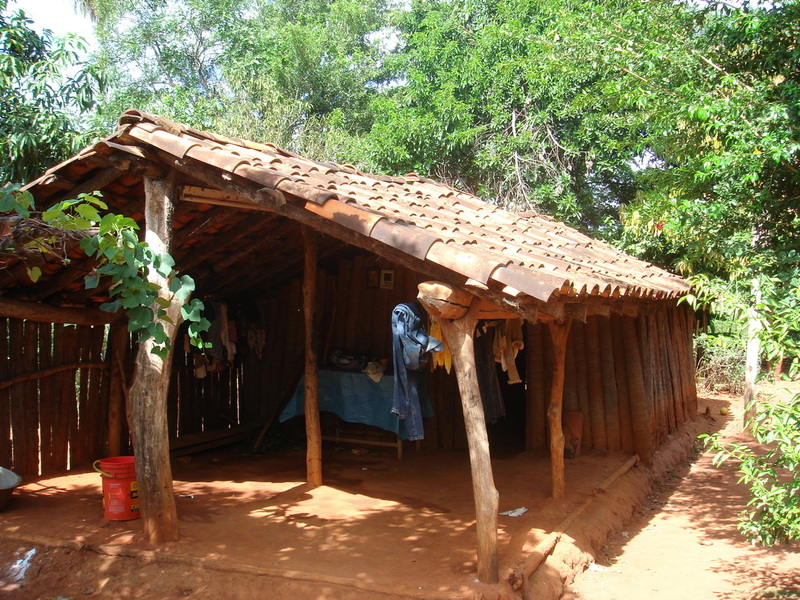 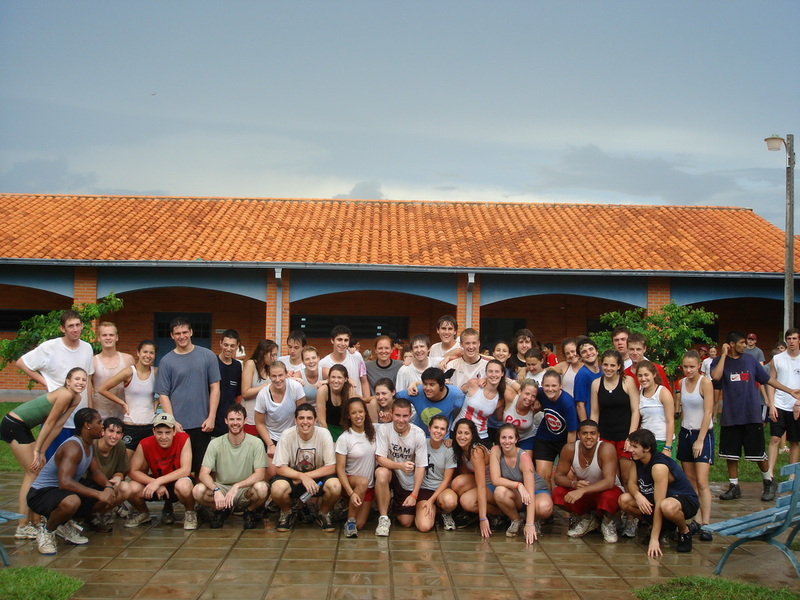 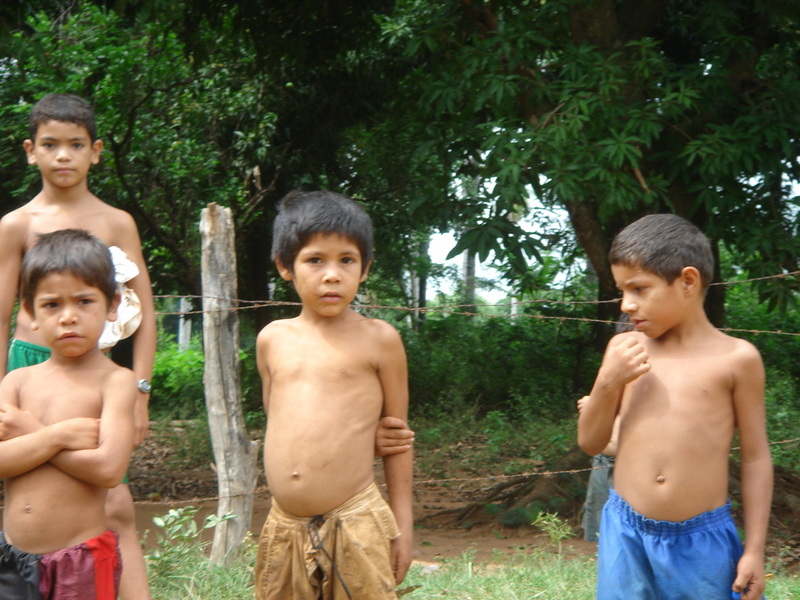 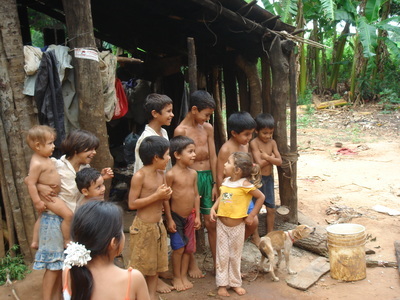 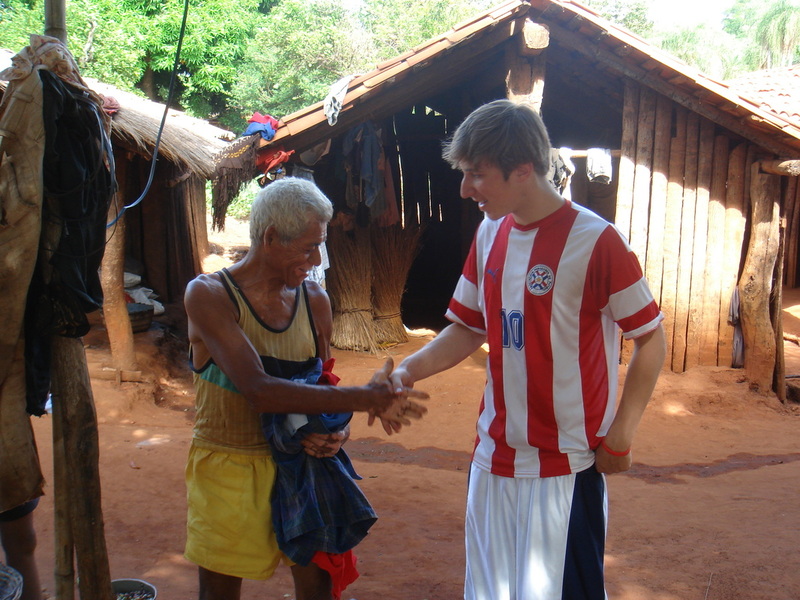 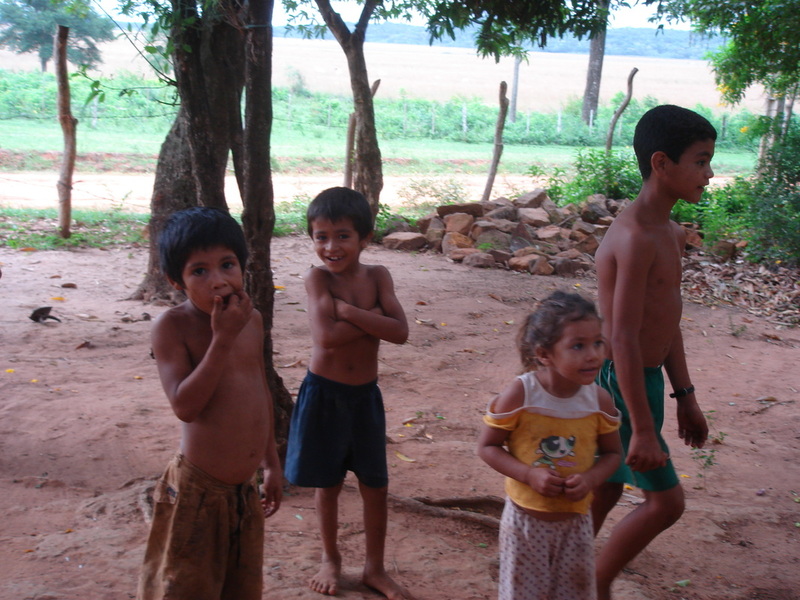 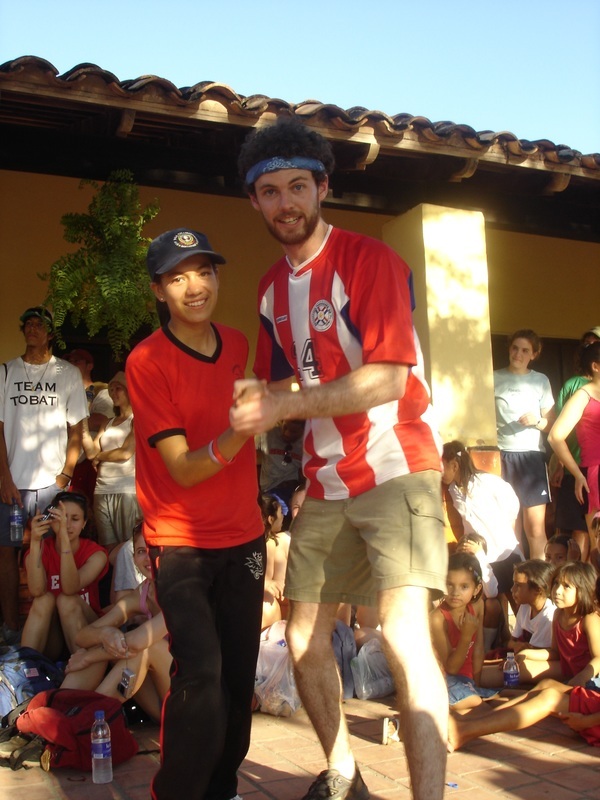 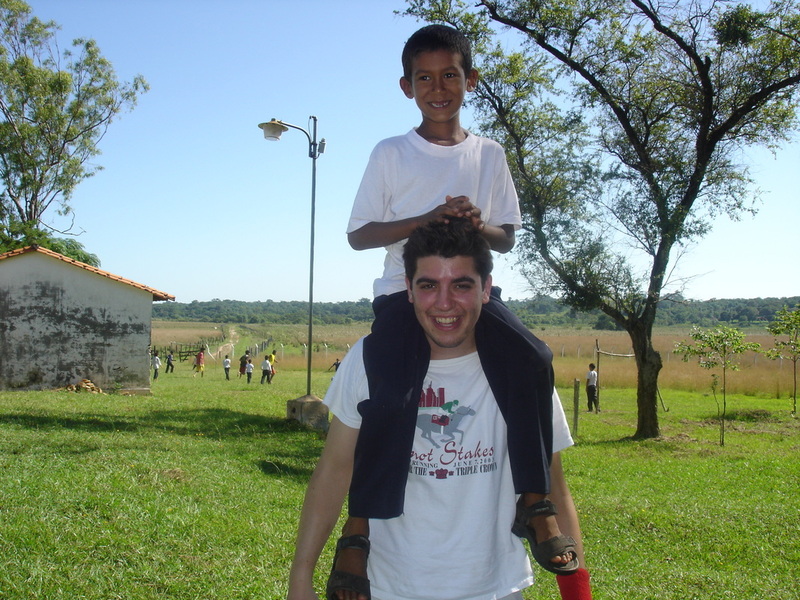 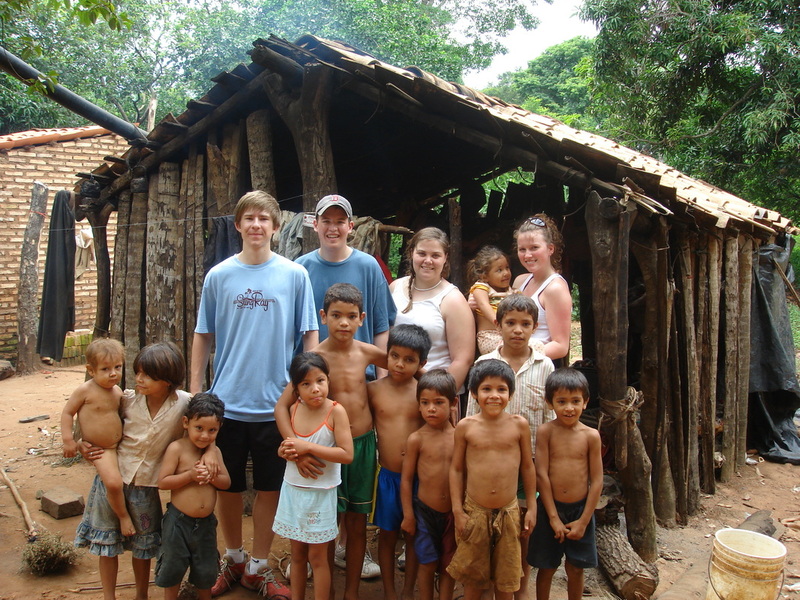 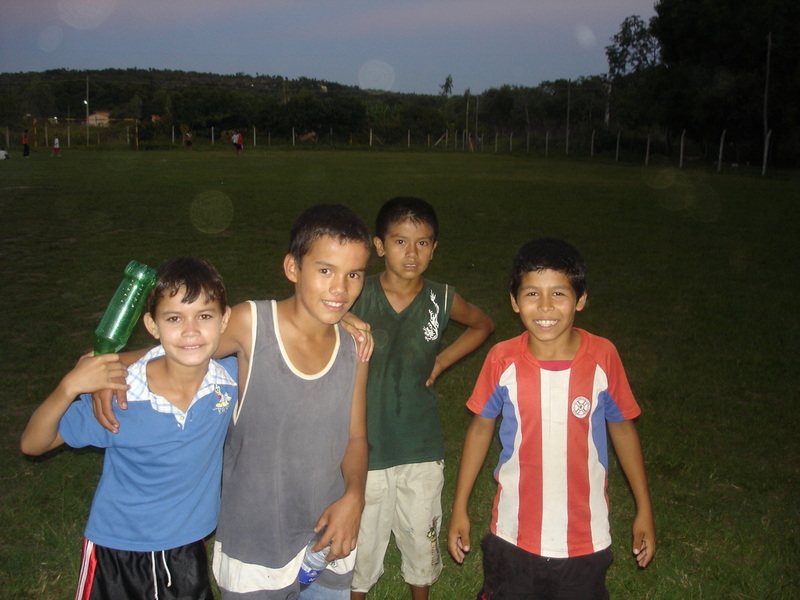 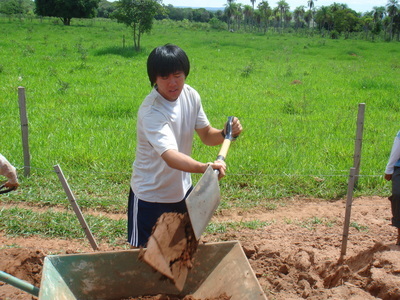 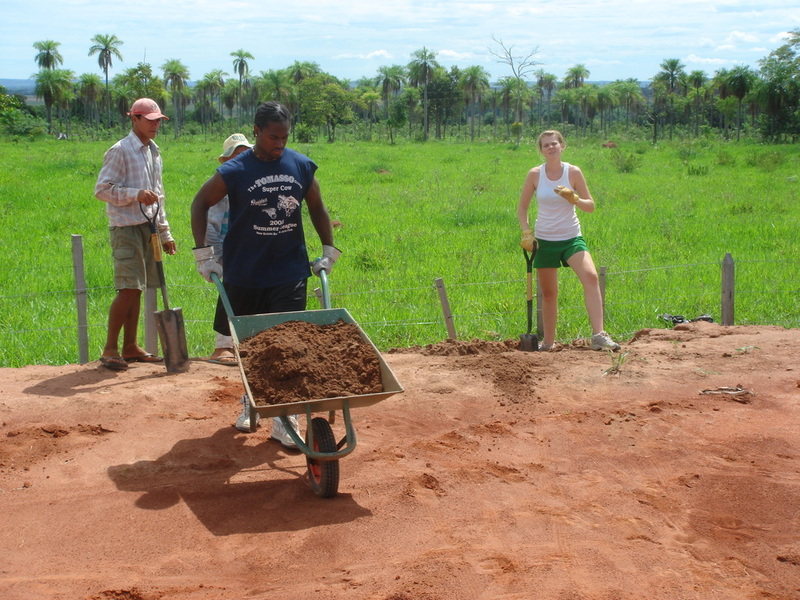 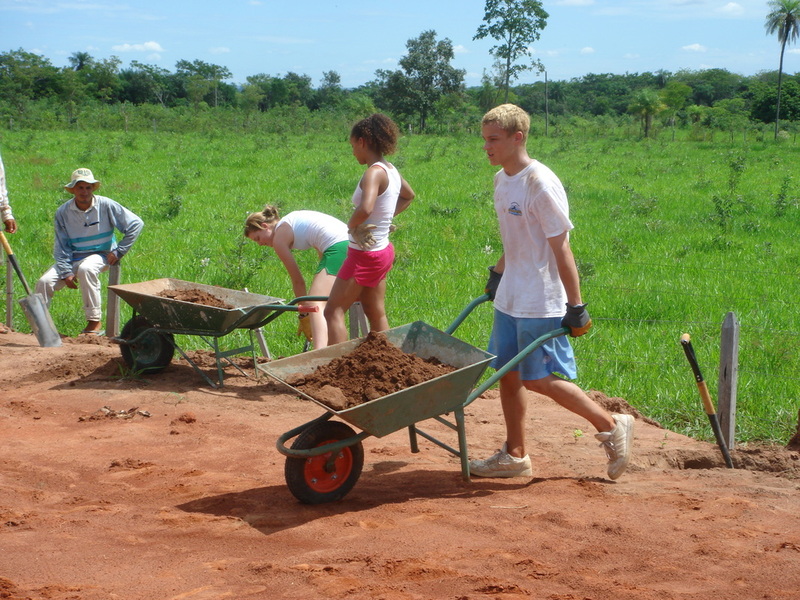 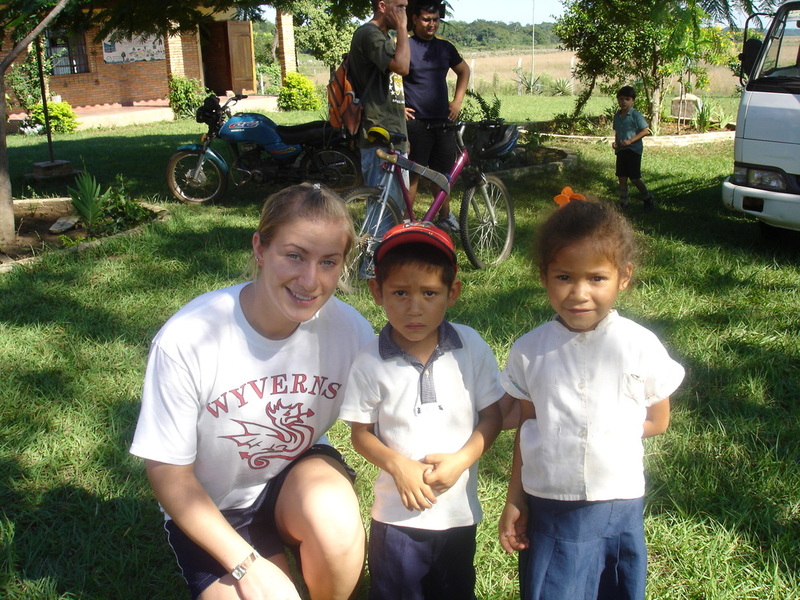 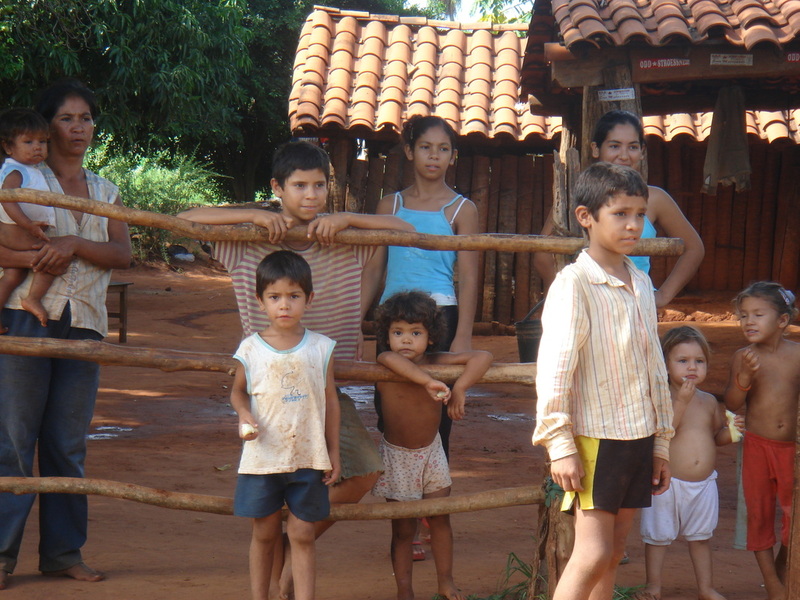 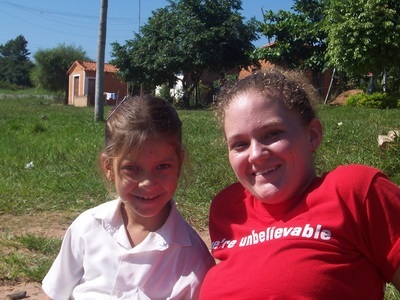 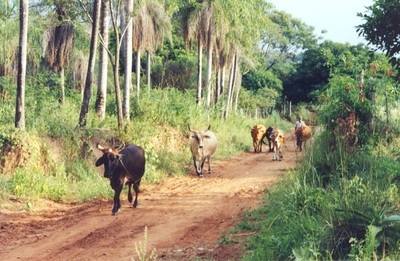 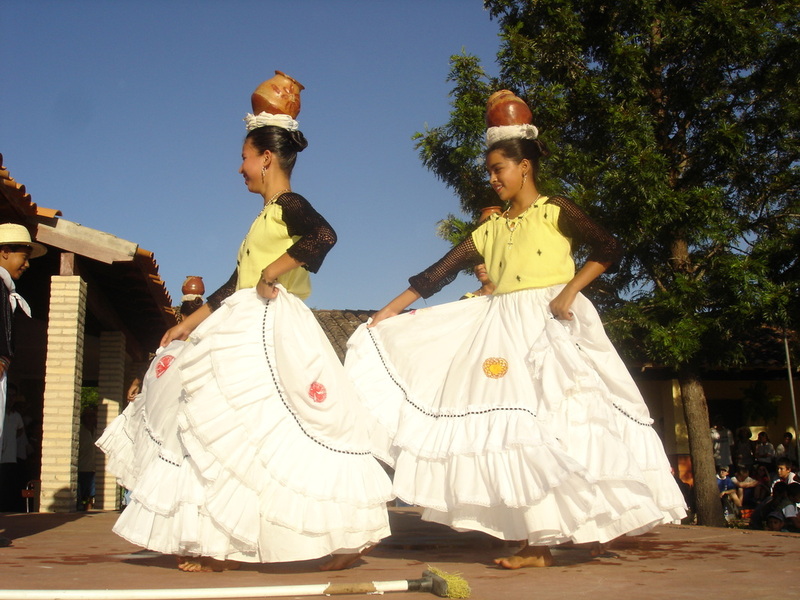 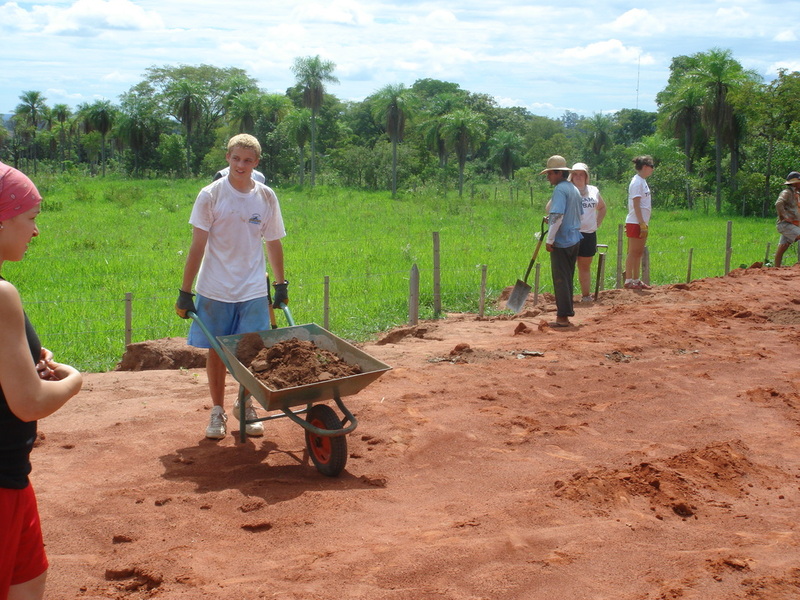 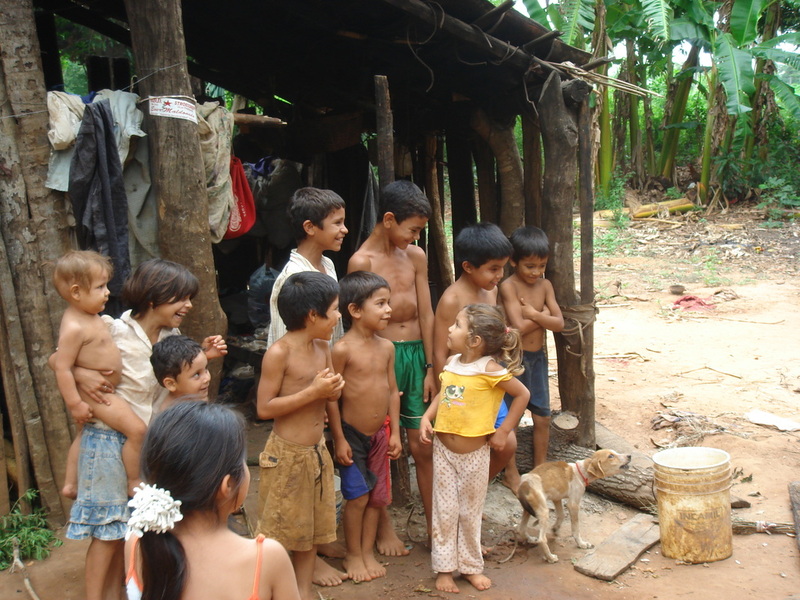 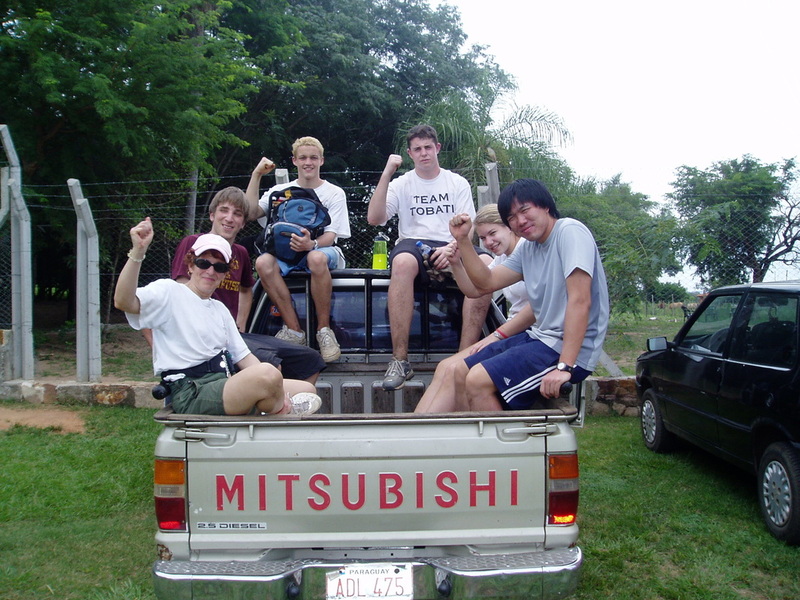 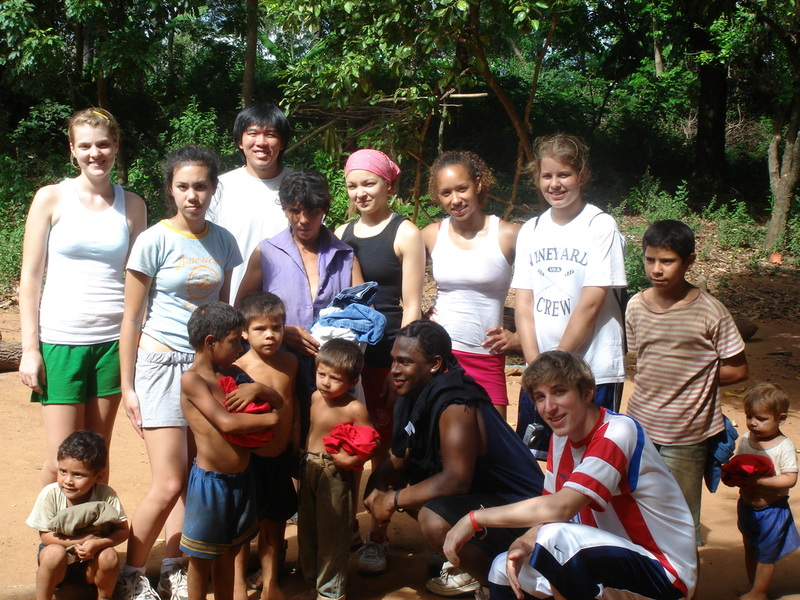 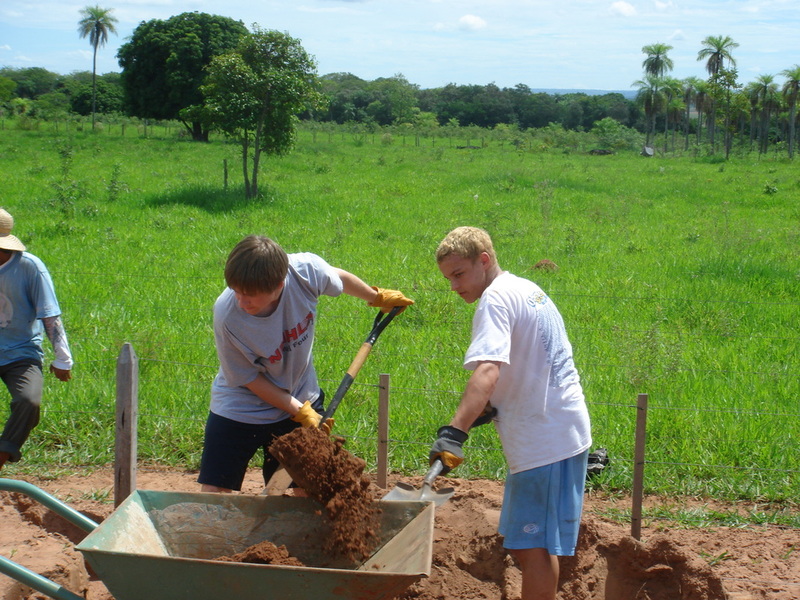 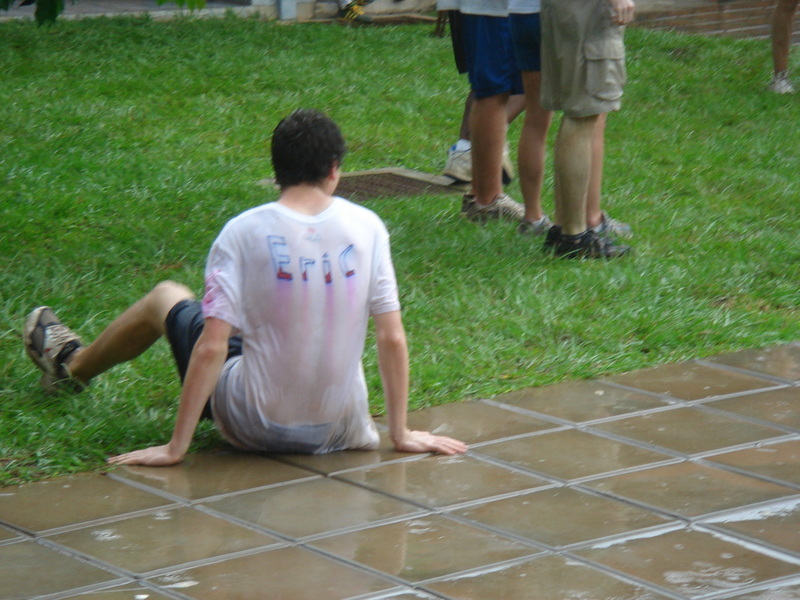 In March 2006, 94 students, 14 teachers, 2 alumni, and 2 pediatricians traveled to Tobatí as part of Team Tobatí X (the team's tenth community service trip to Paraguay). 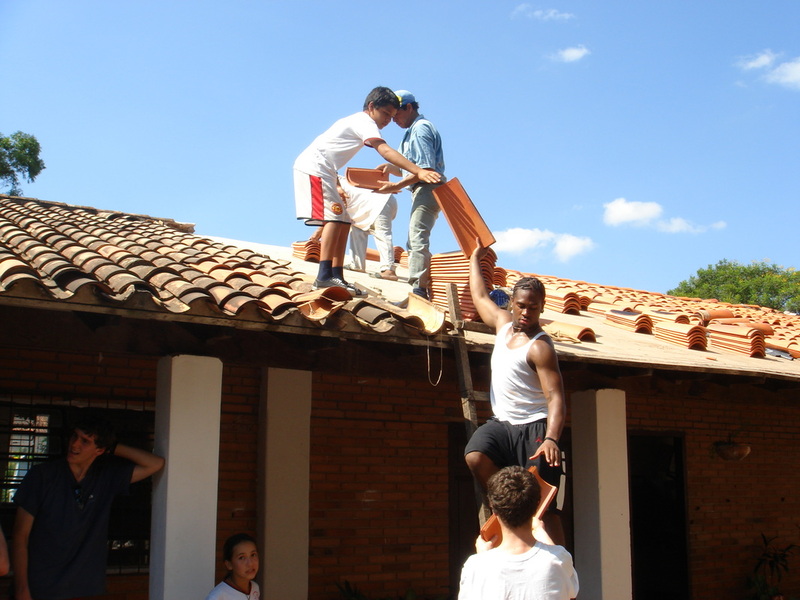 During this fantastic trip, the team worked on the construction of eight classes throughout Tobatí and a community development center in the poor rural village of Mompox, Tobatí as well as working extensively on the construction of a huge athletic complex. 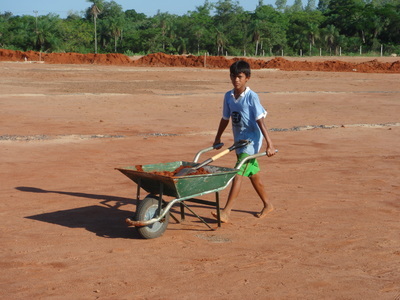 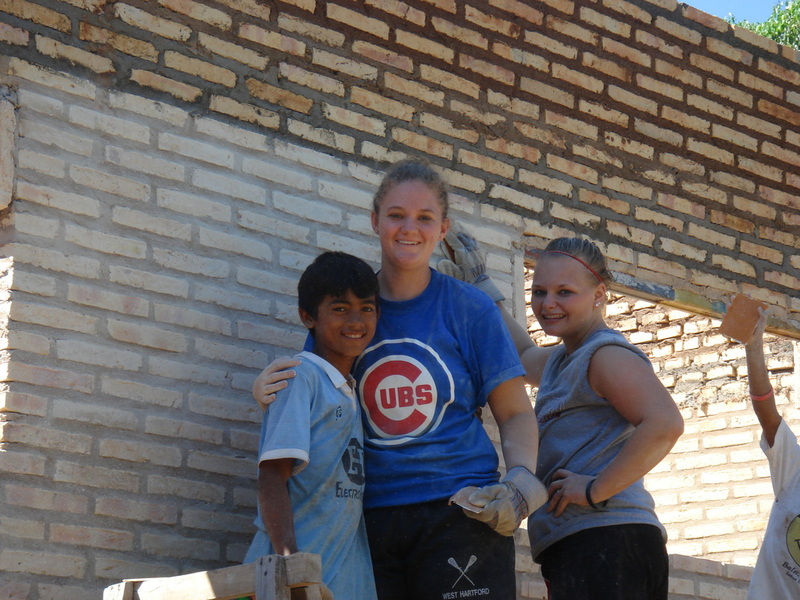 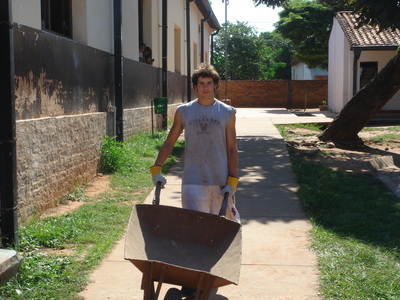 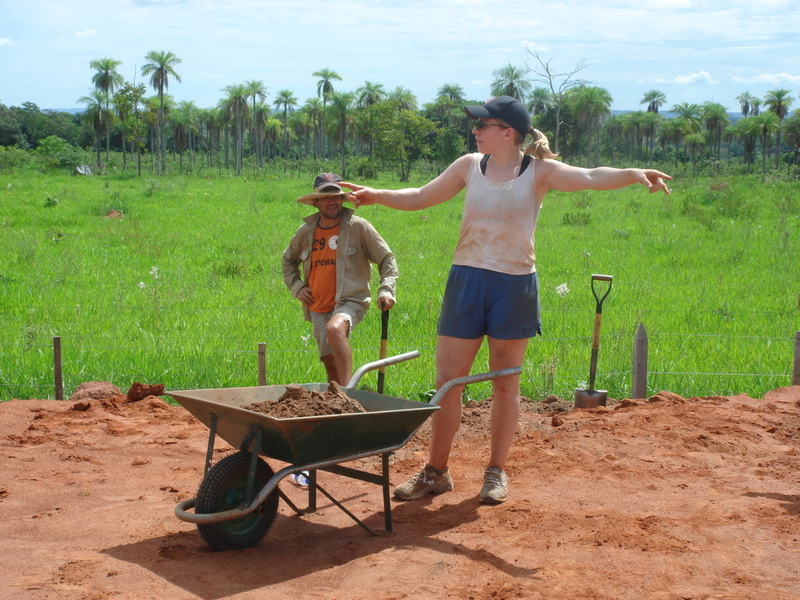 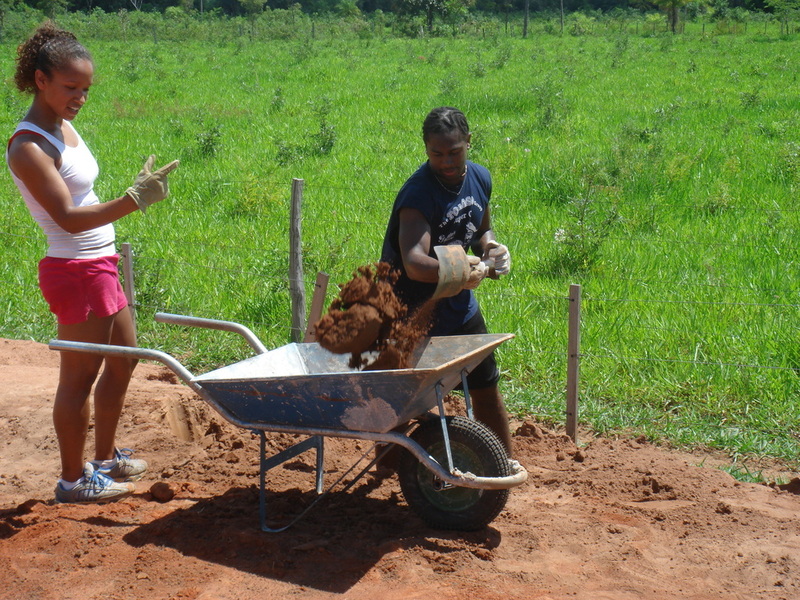 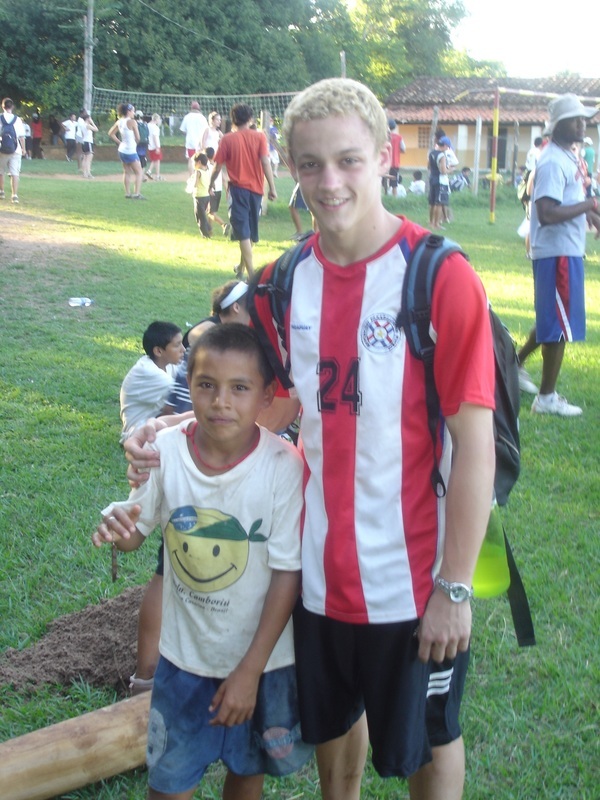 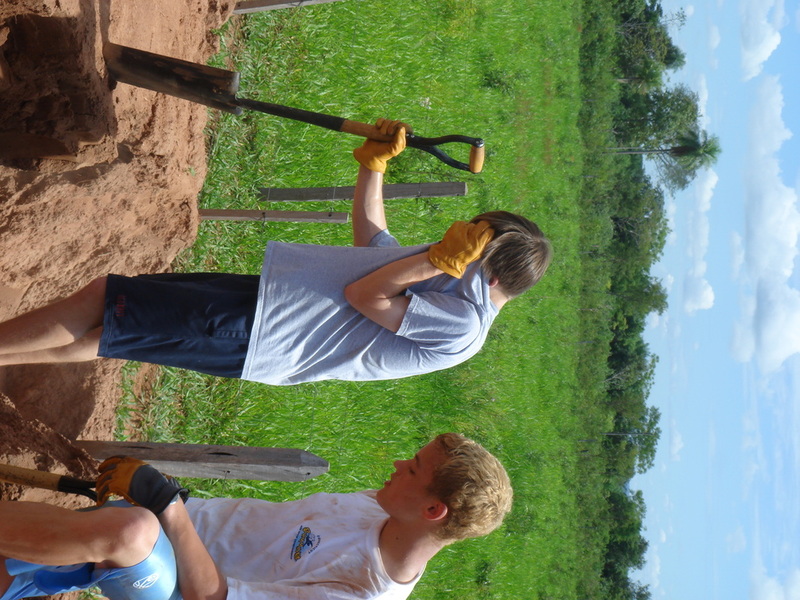 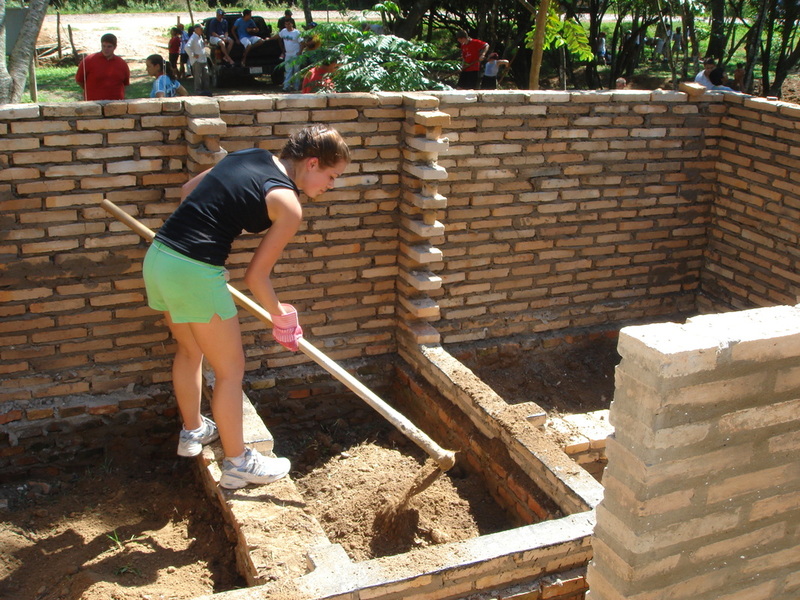 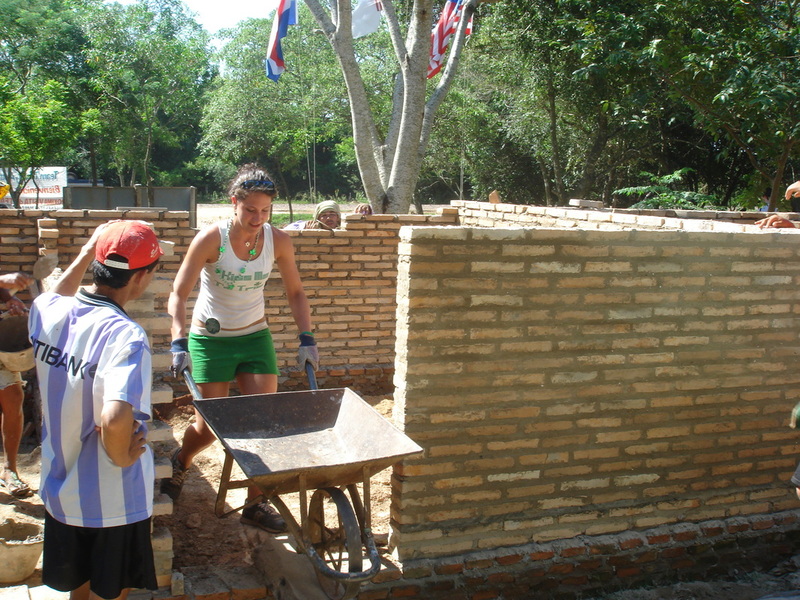 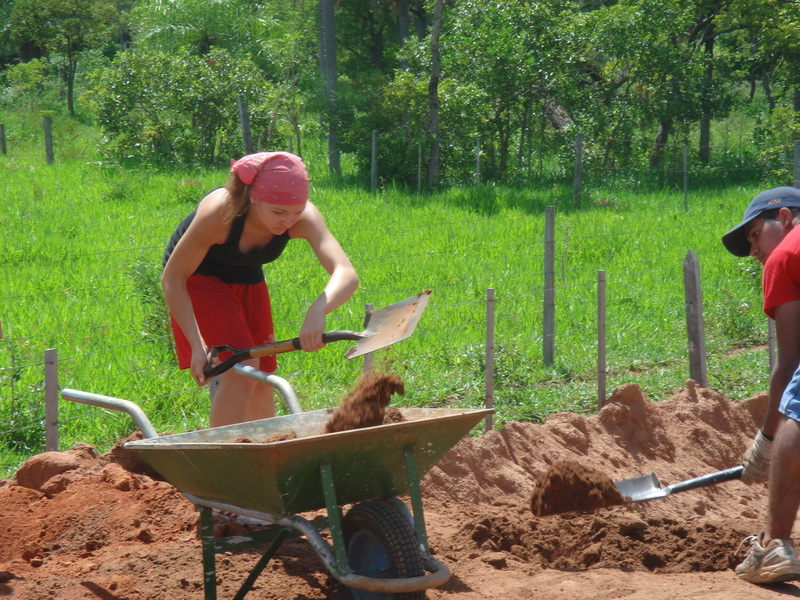 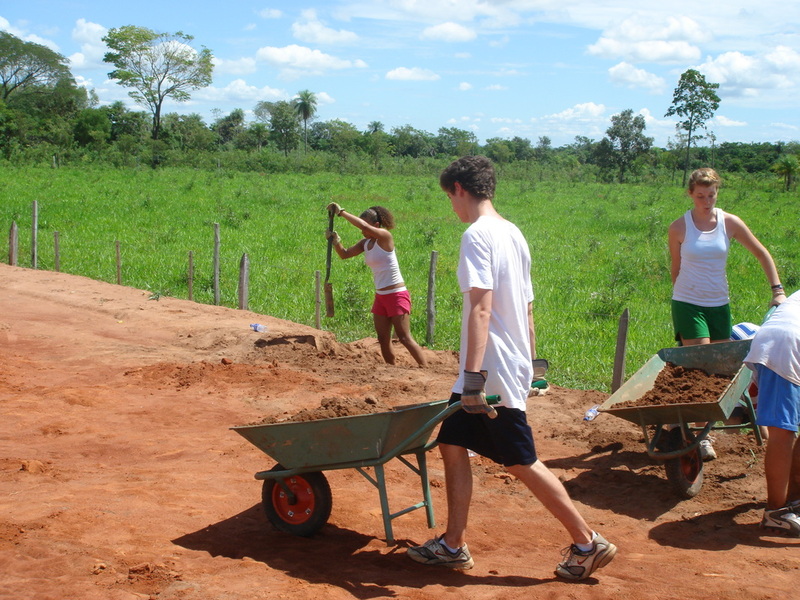 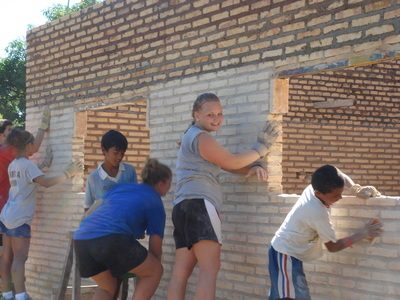 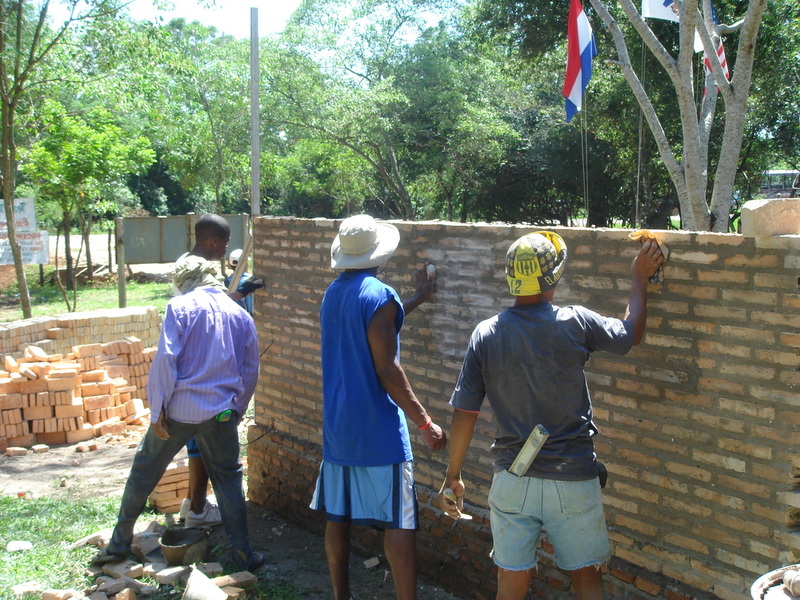 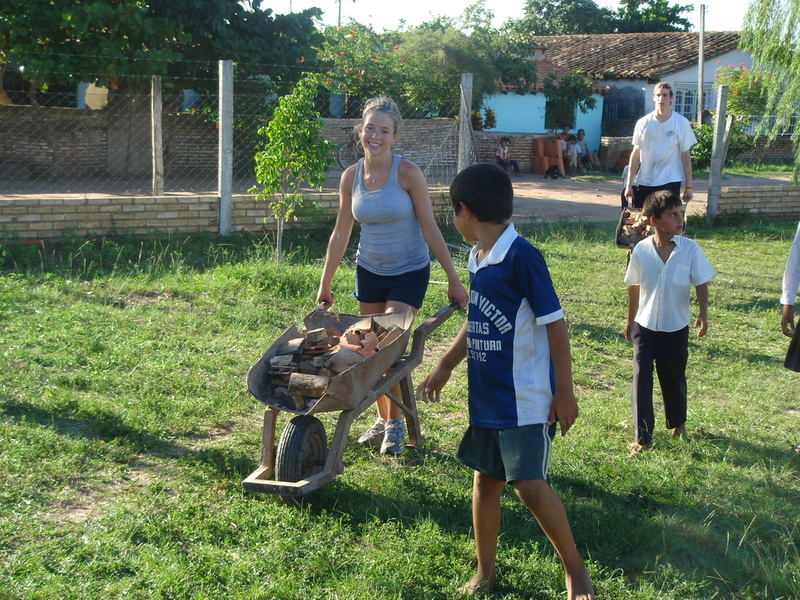 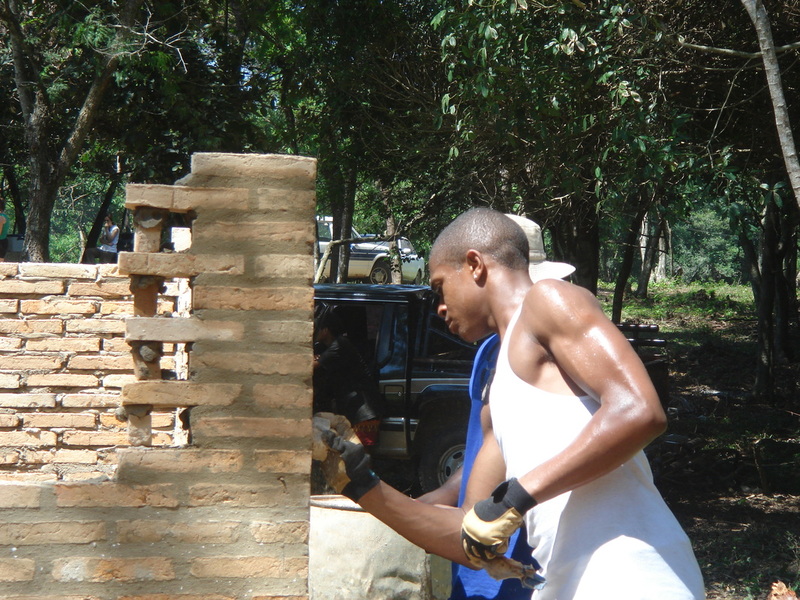 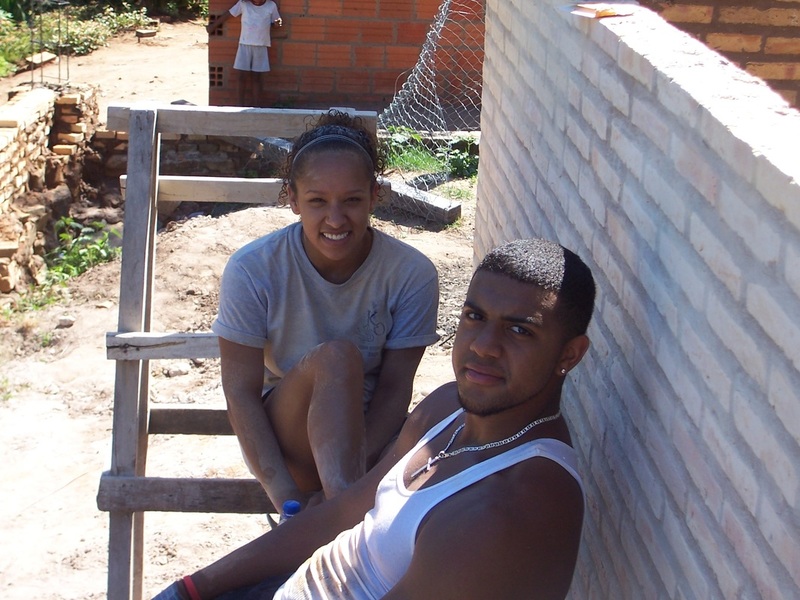 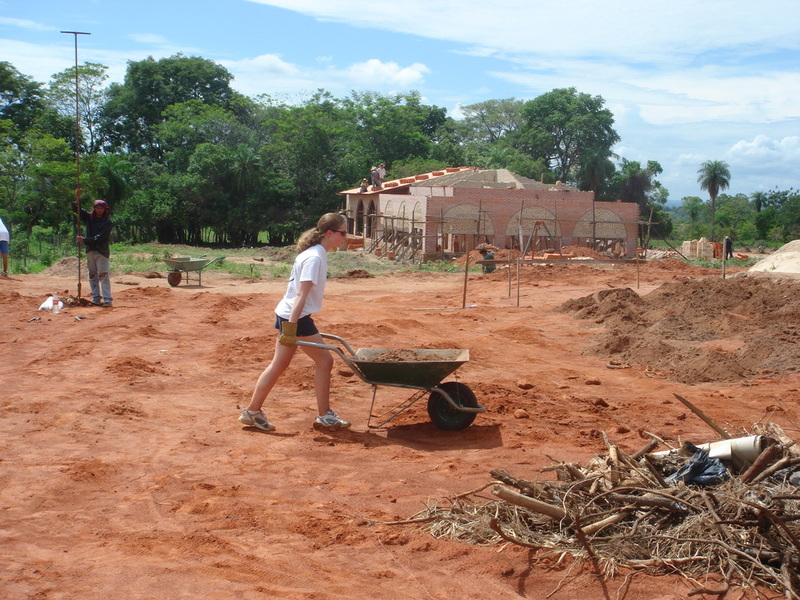 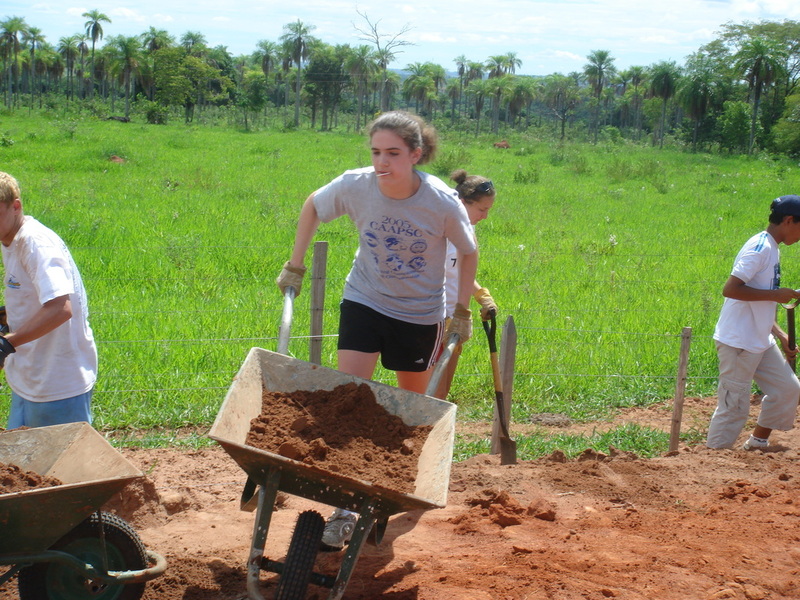 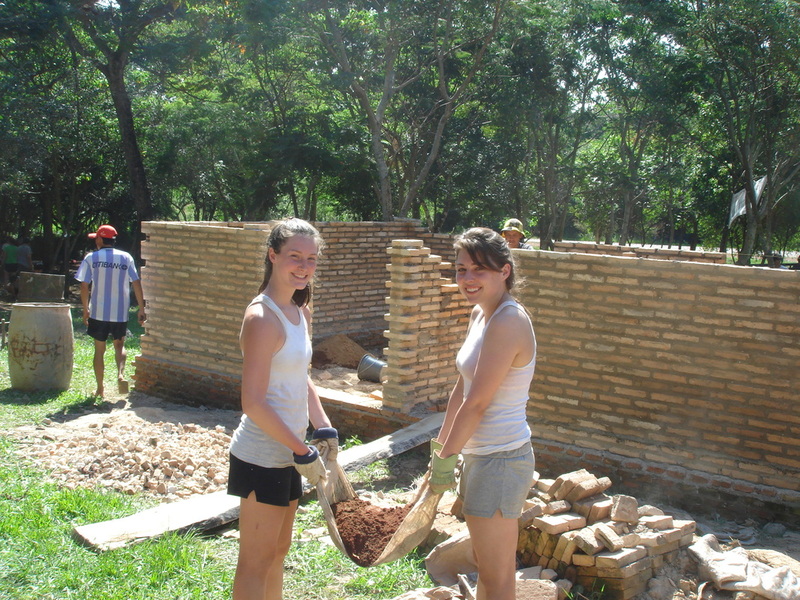 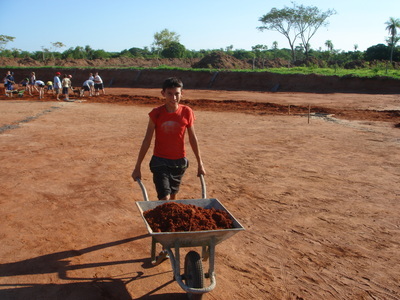 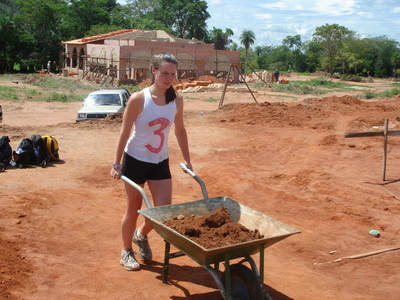 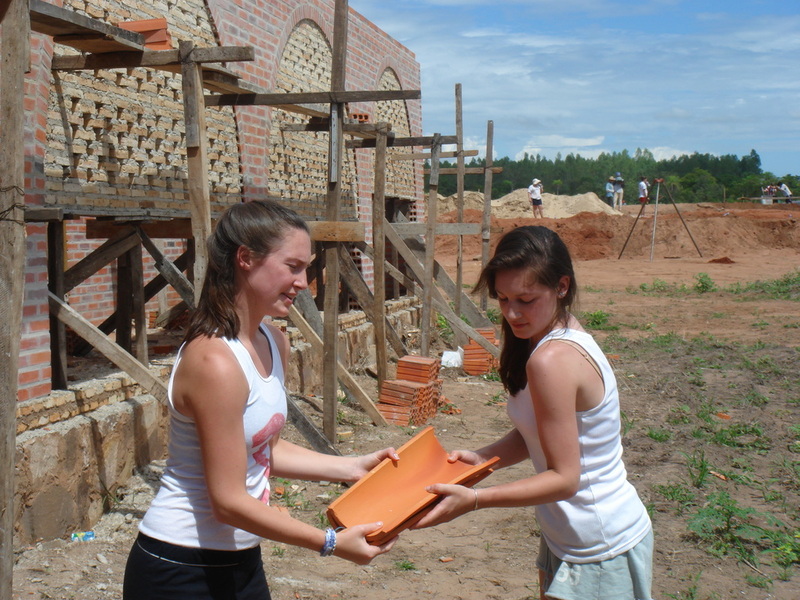 Along with other projects and activities, the team also worked in local brick factories, built sidewalks, constructed roofs at the local high school, taught English and healthcare classes, passed out toothbrushes and soccer balls at poor rural schools, and assisted in free clinics. 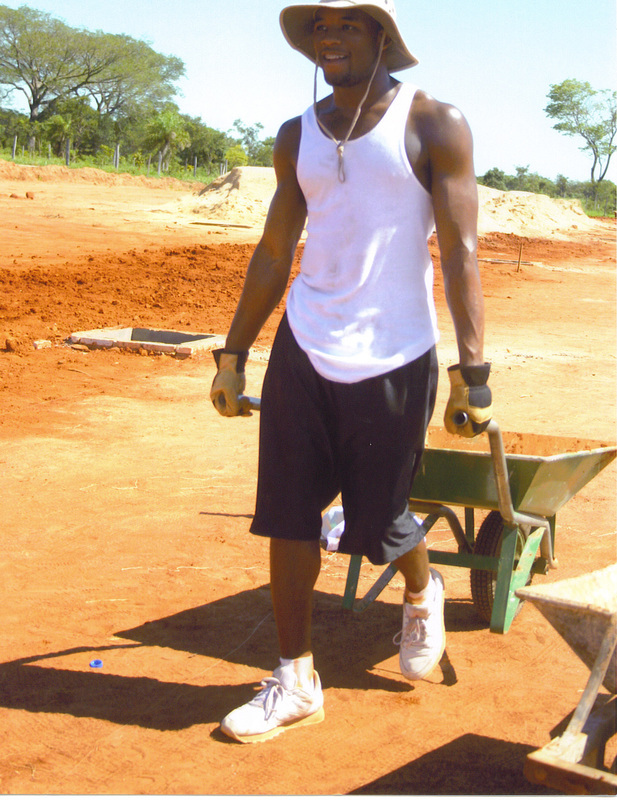 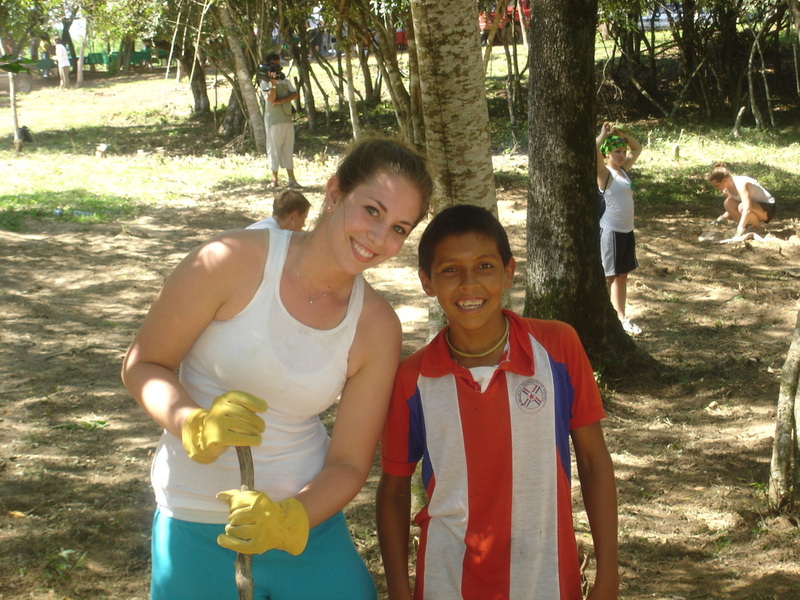 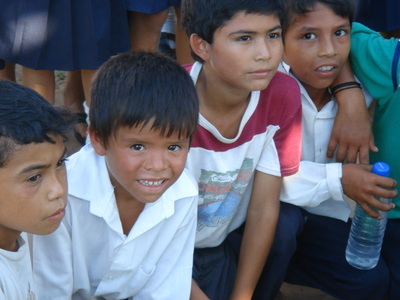 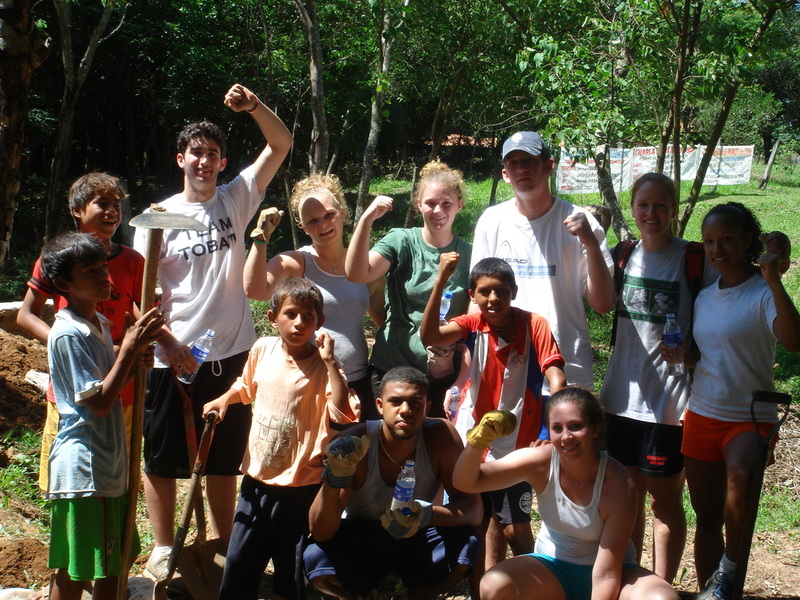 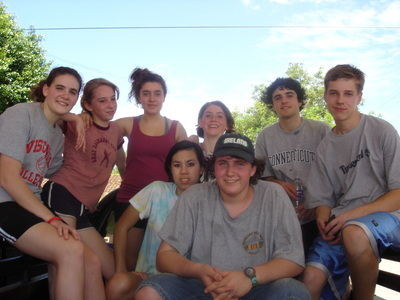 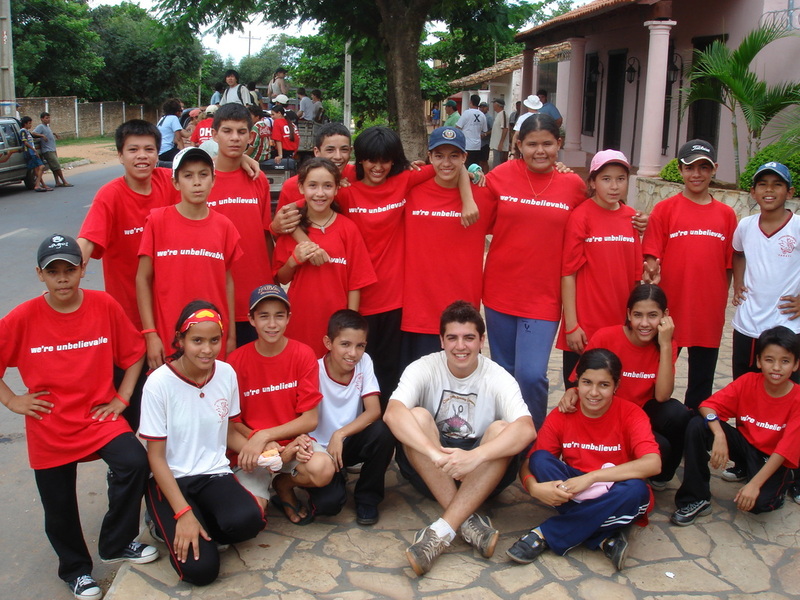 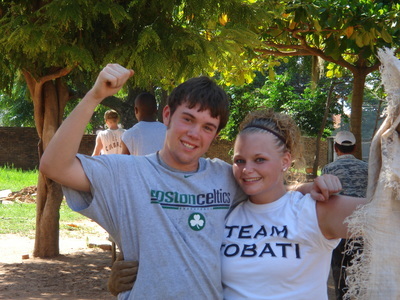 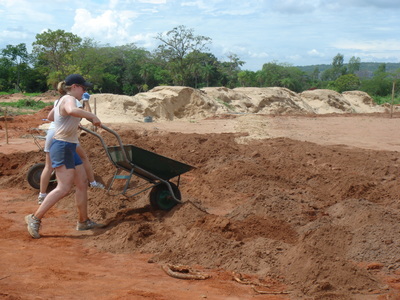 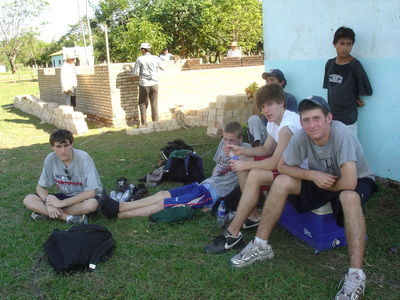 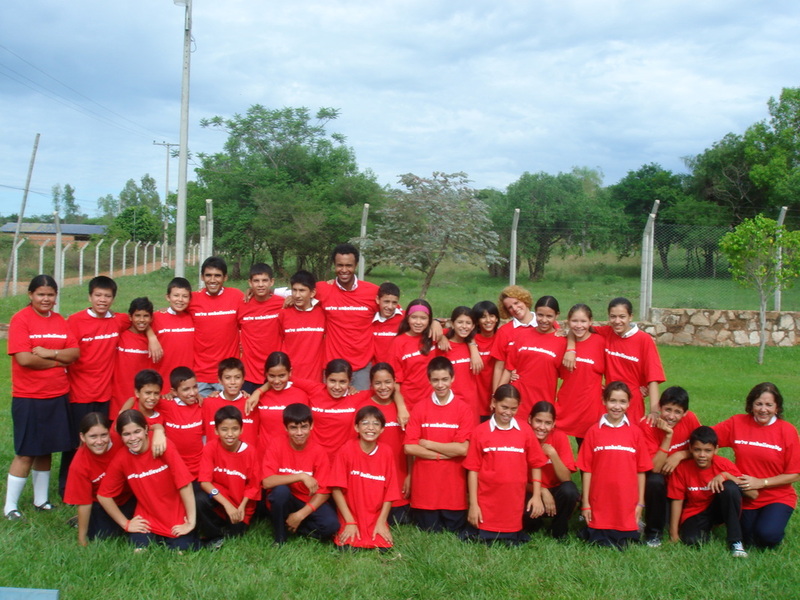 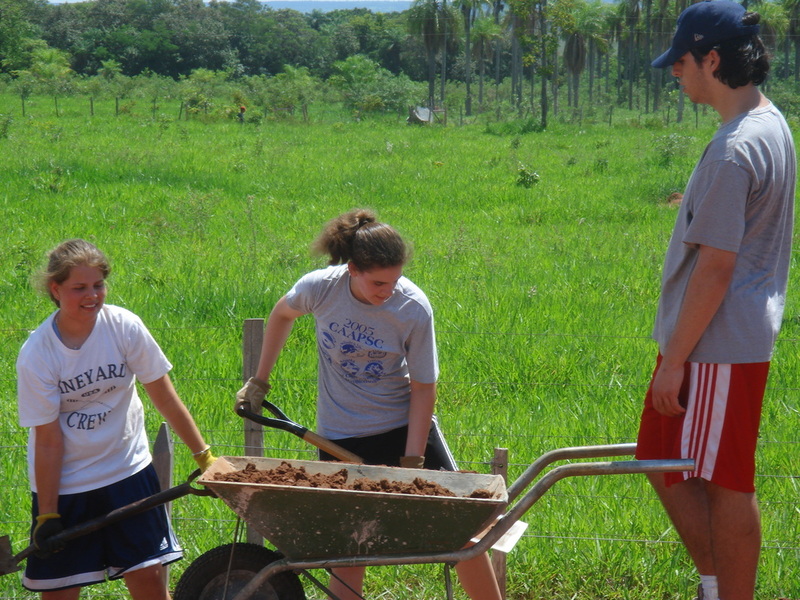 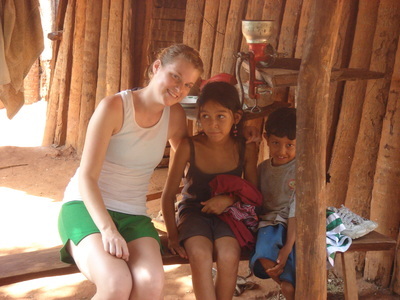 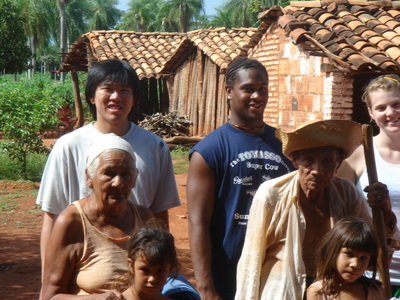 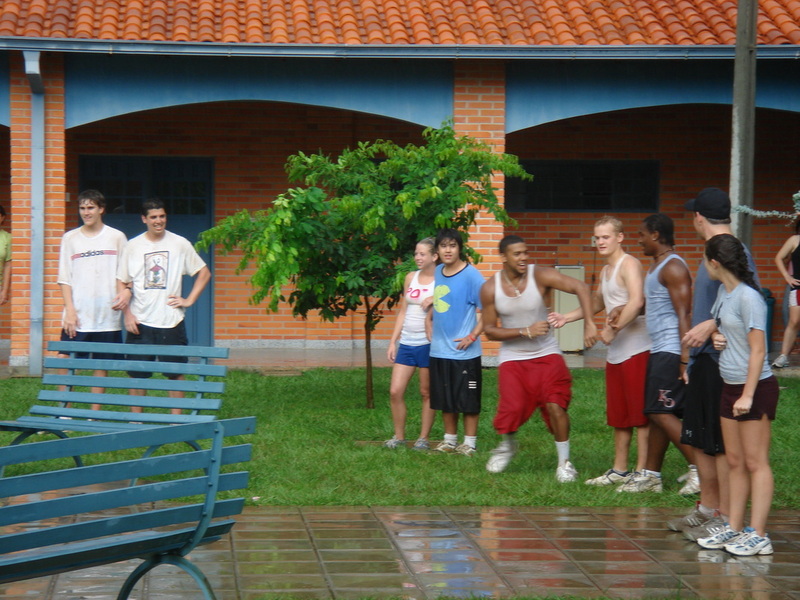 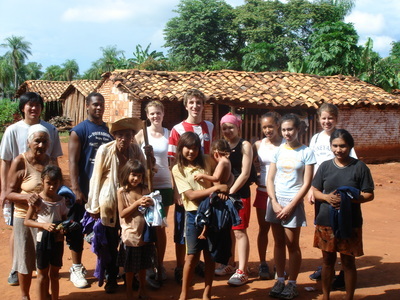 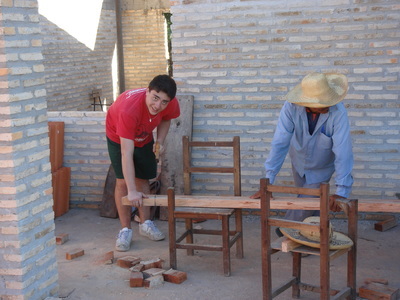 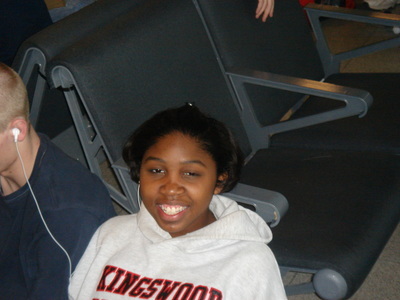 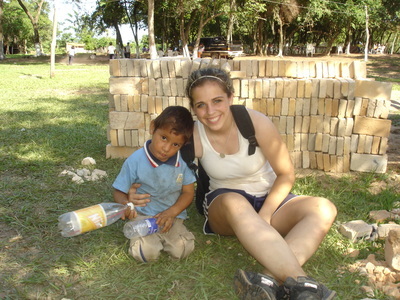 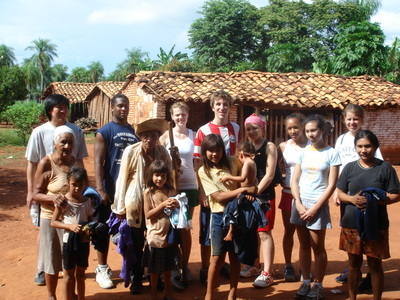 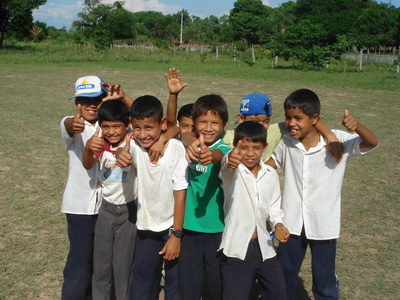 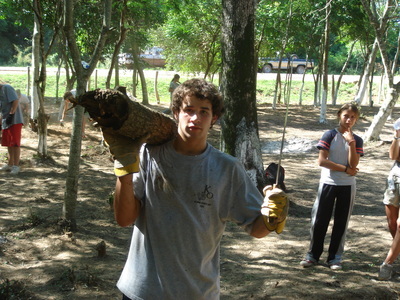 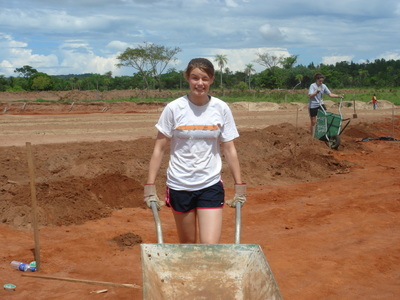 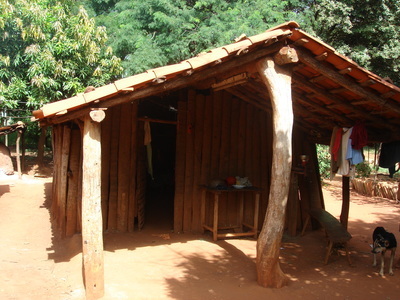 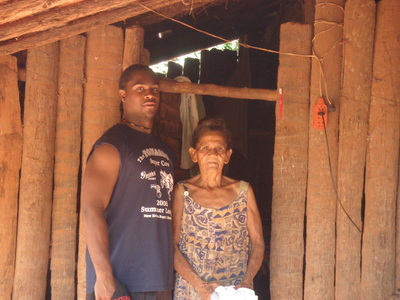 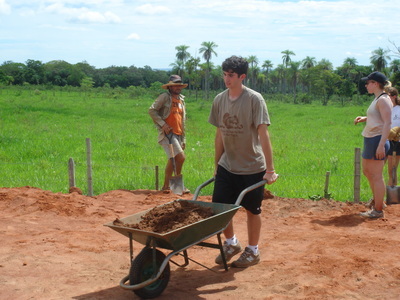 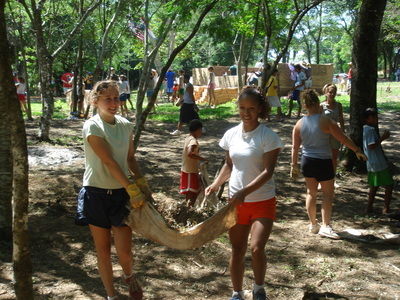 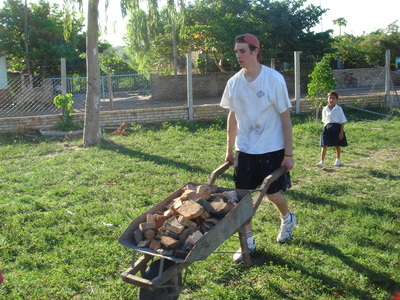 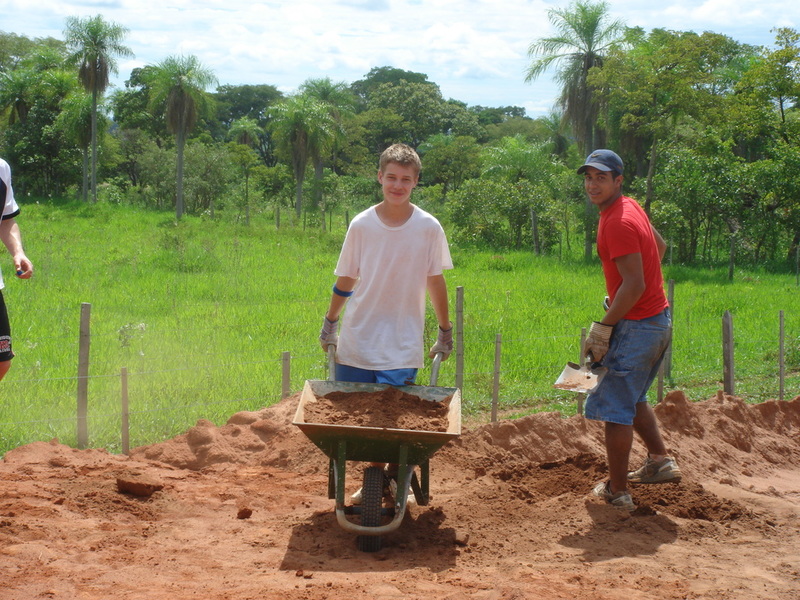 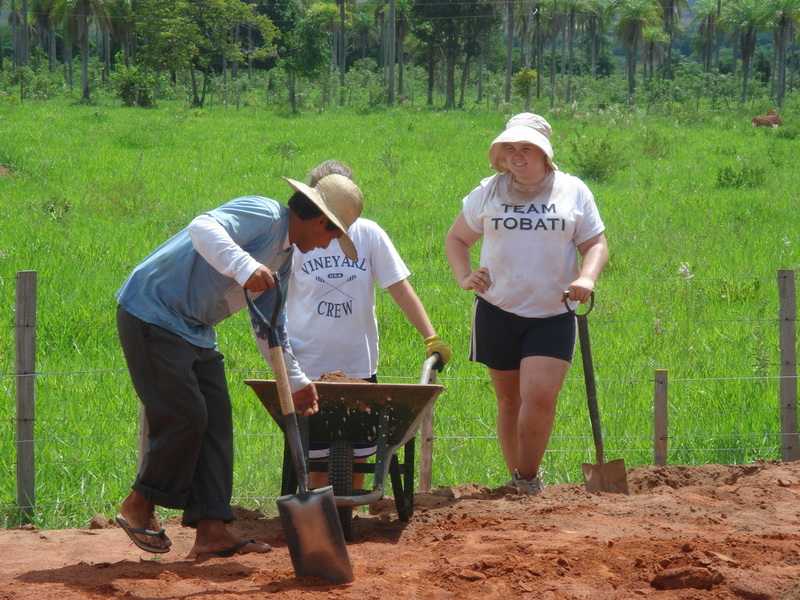 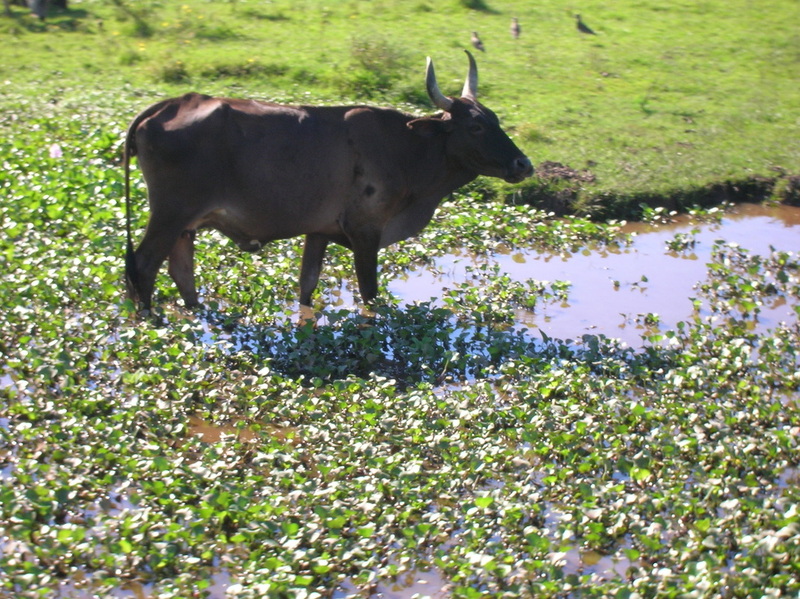 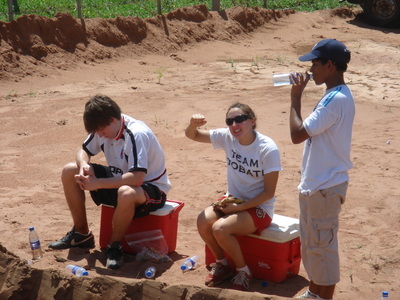 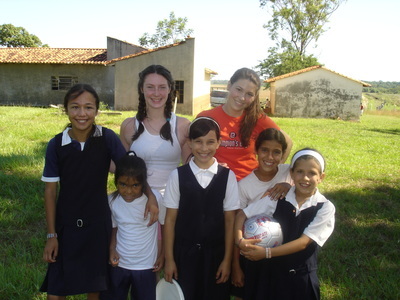 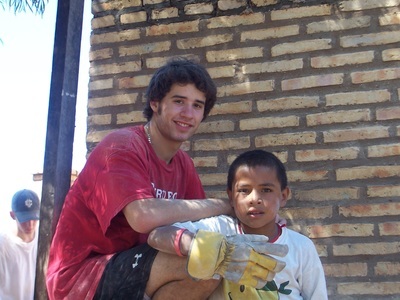 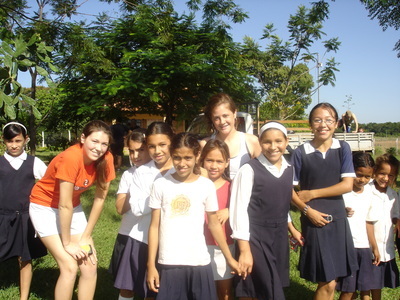 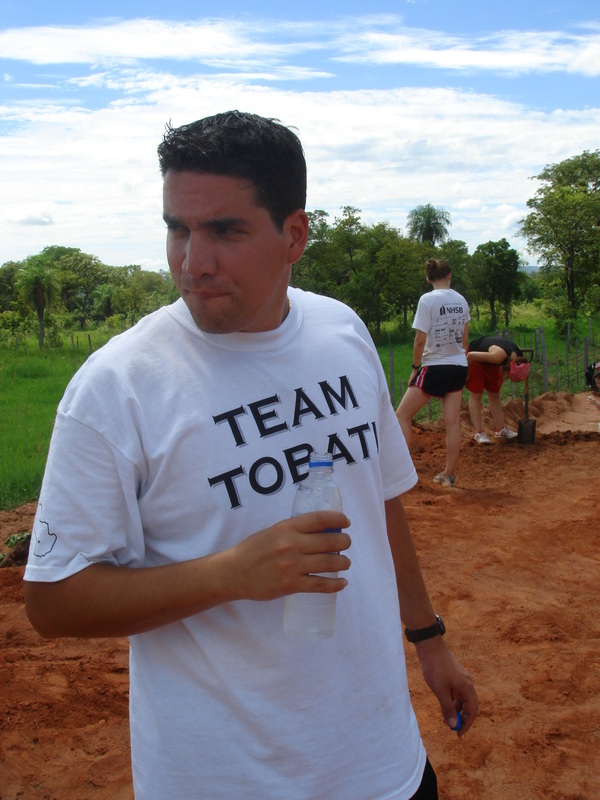 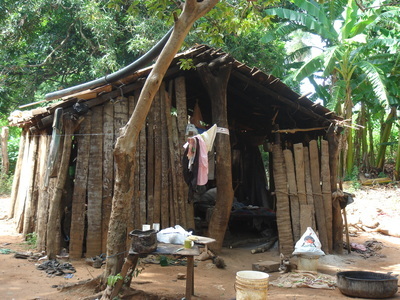 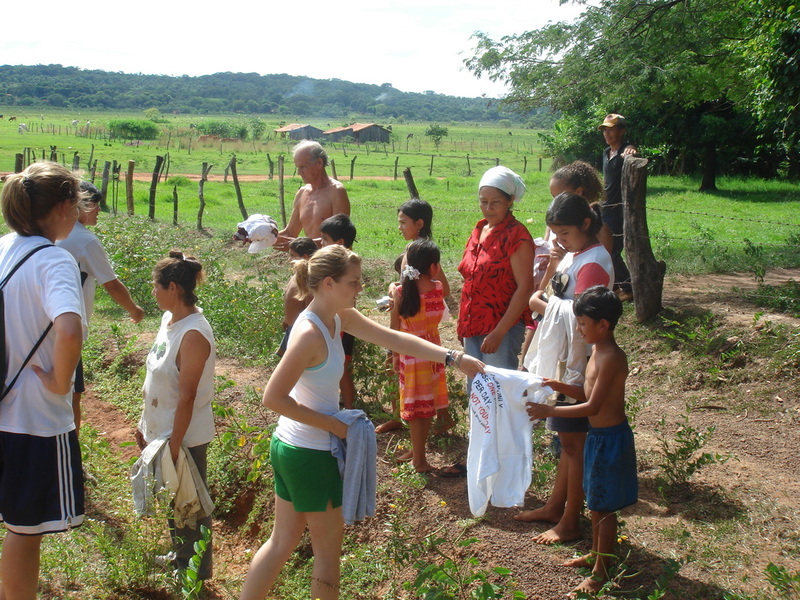 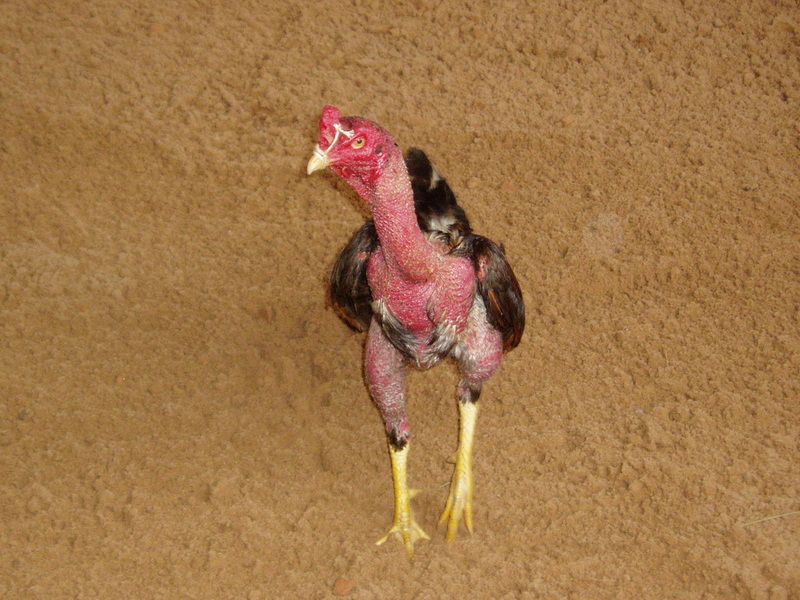 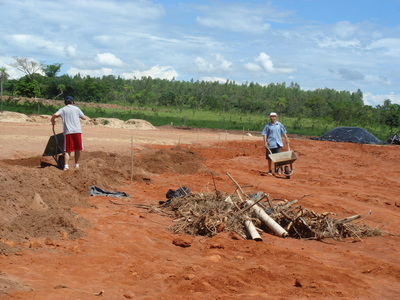 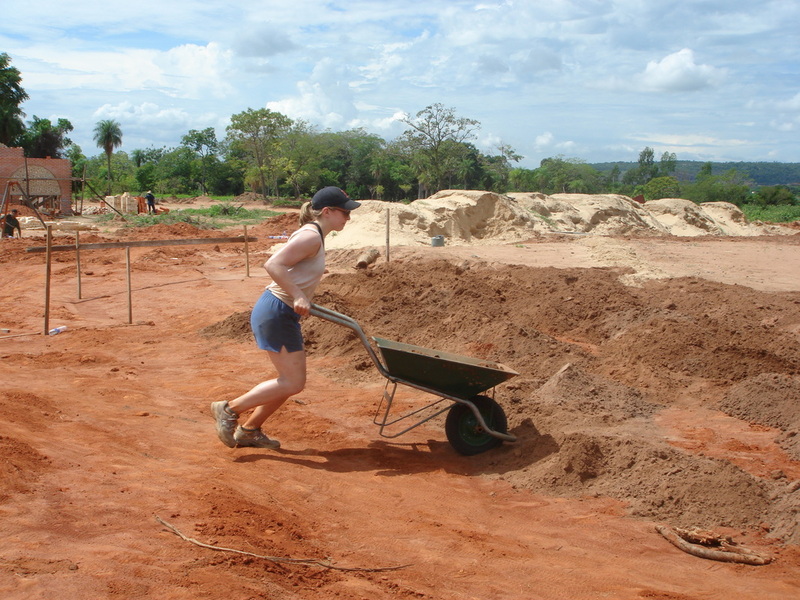 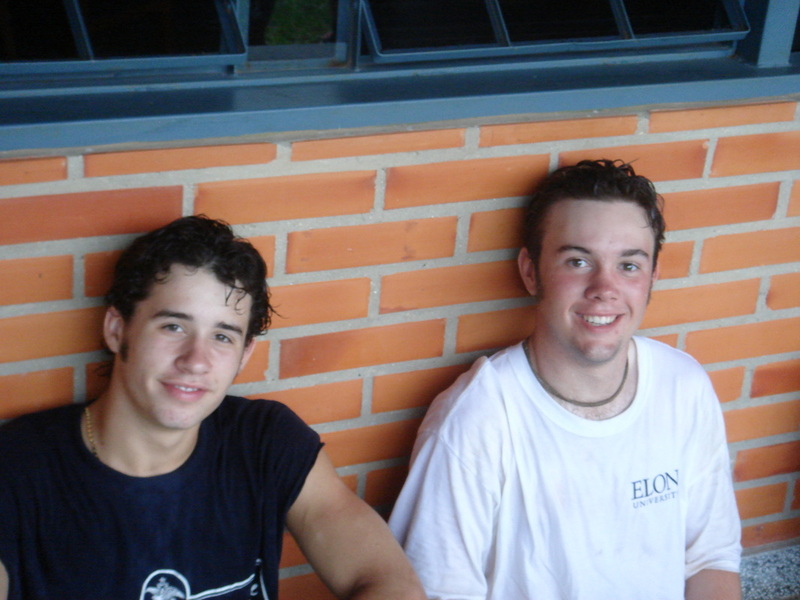 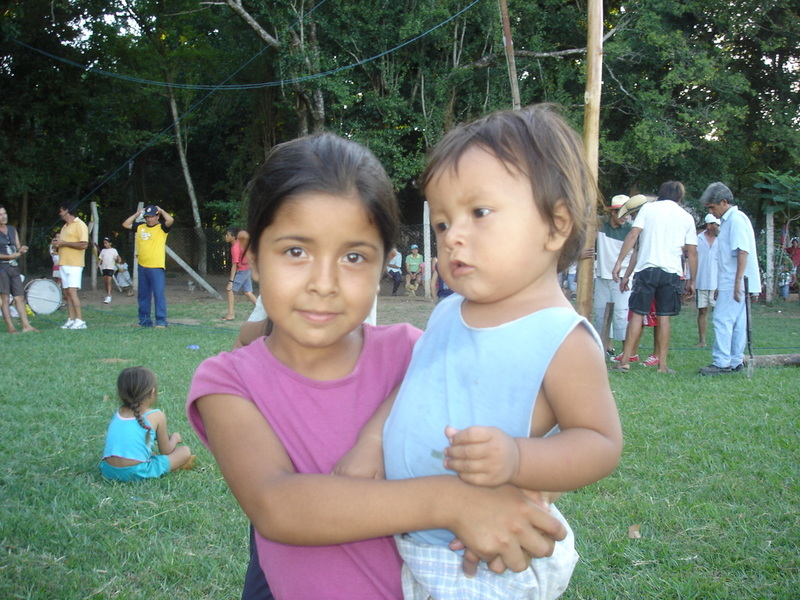 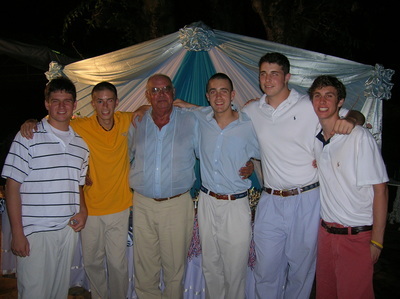 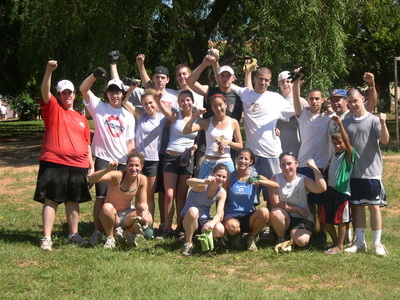 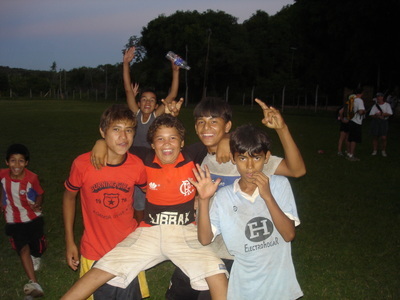 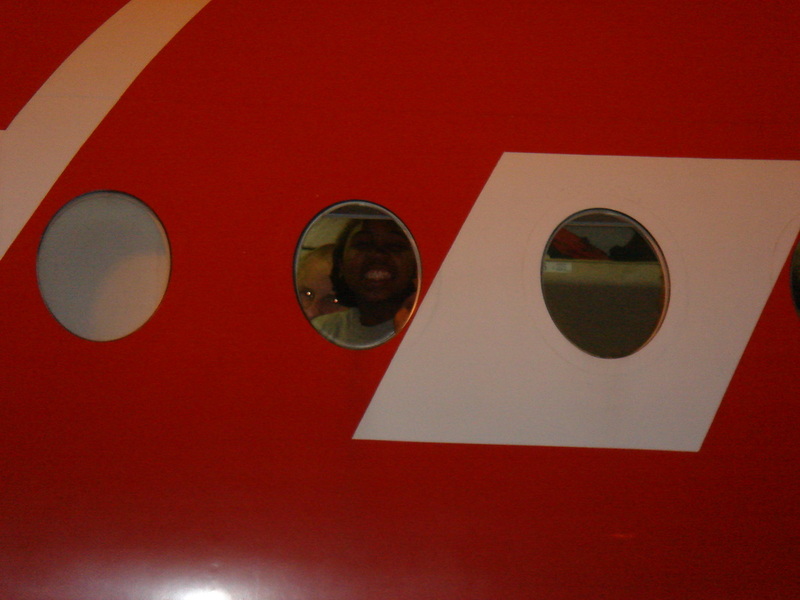 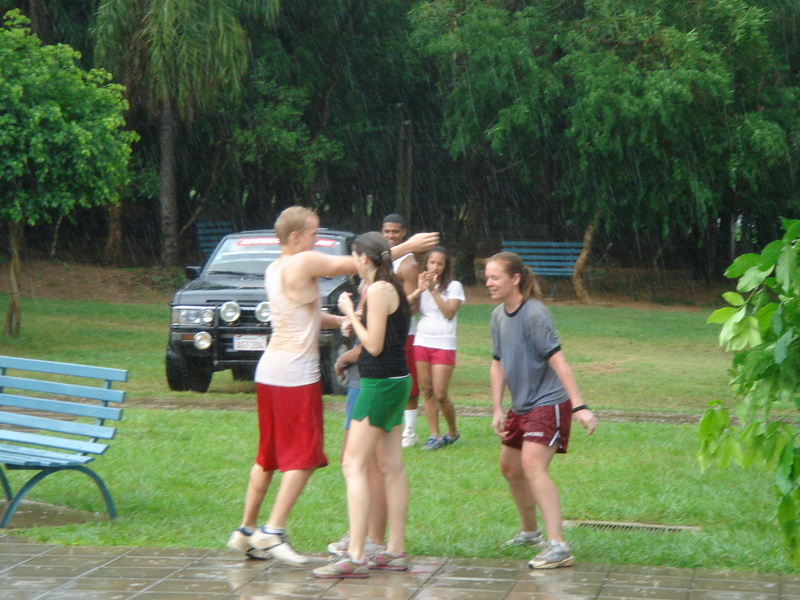 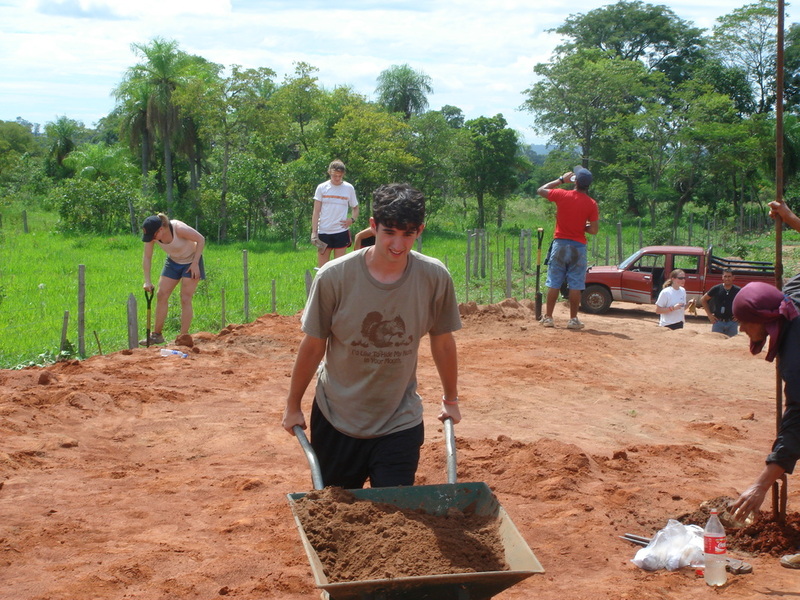 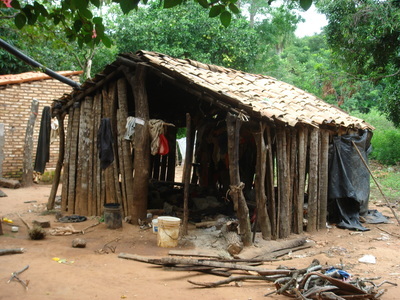 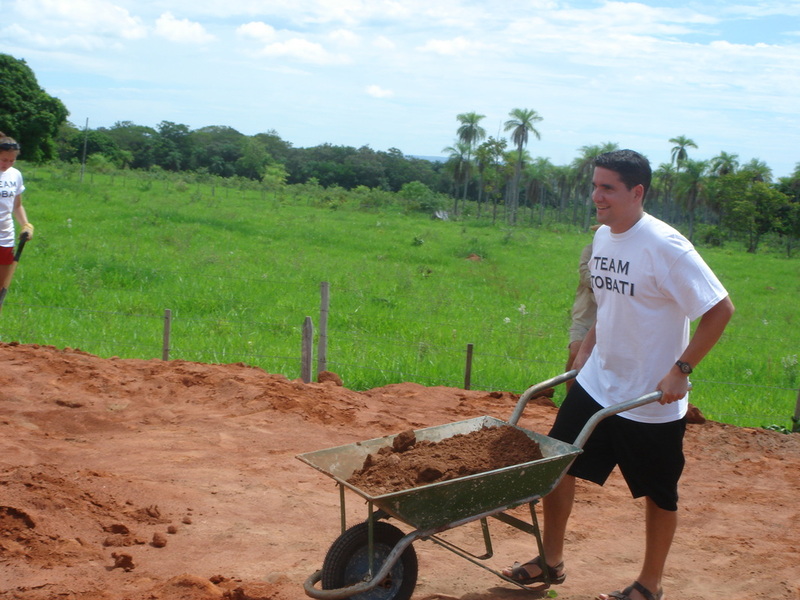 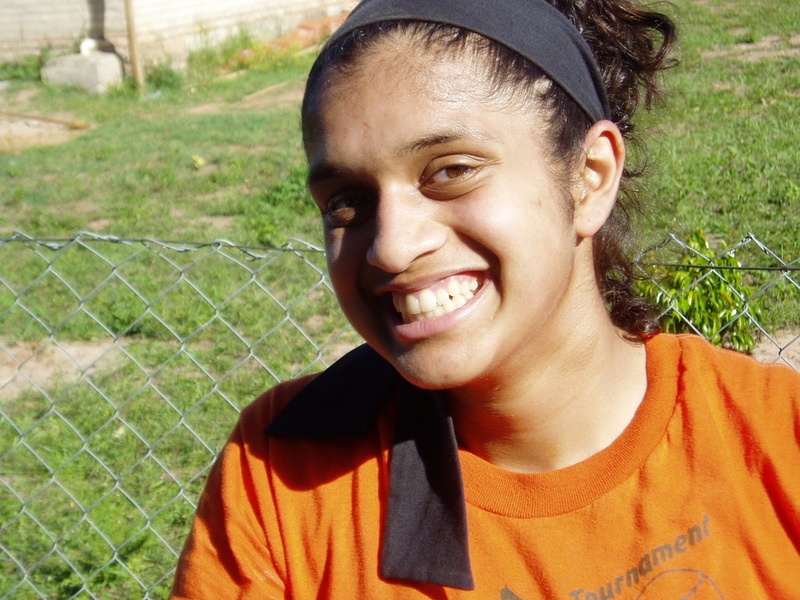 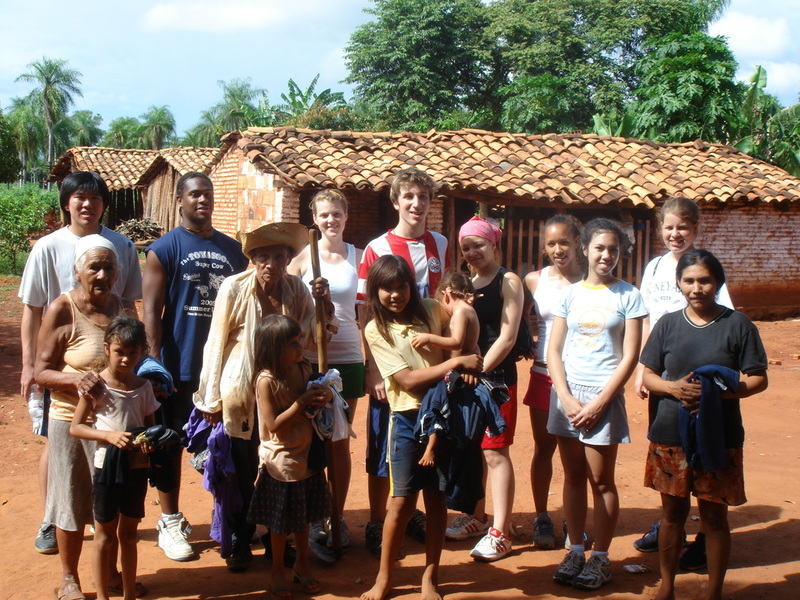 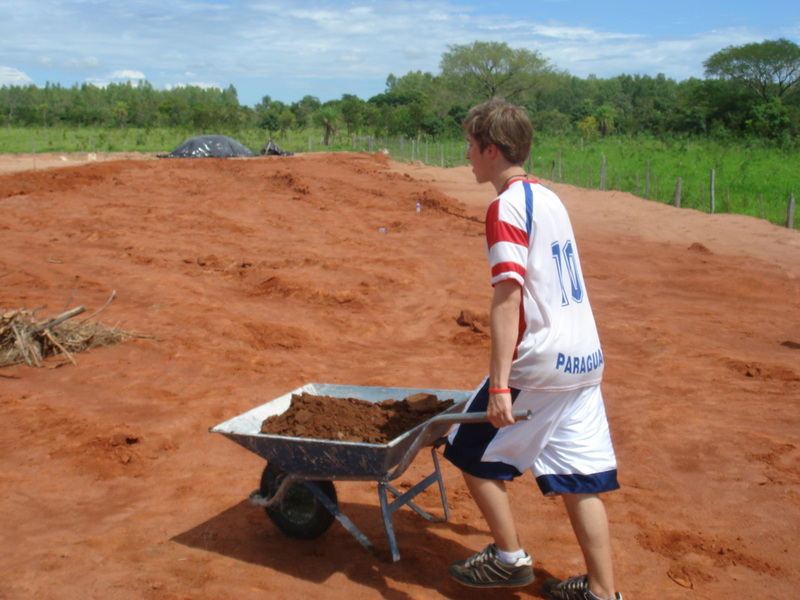 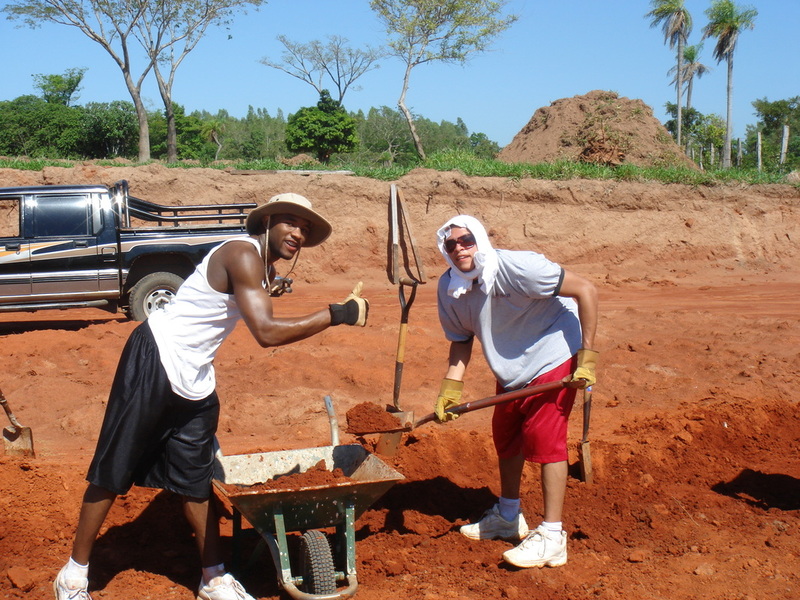 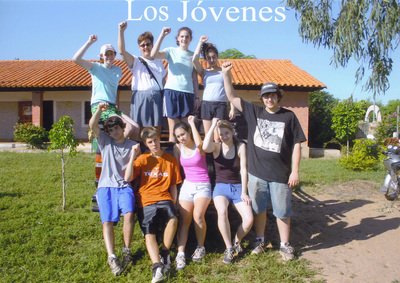 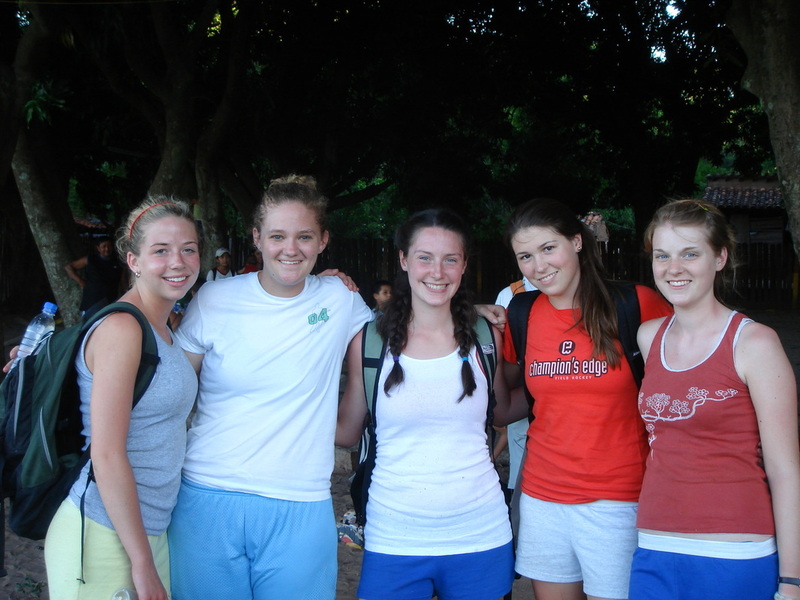 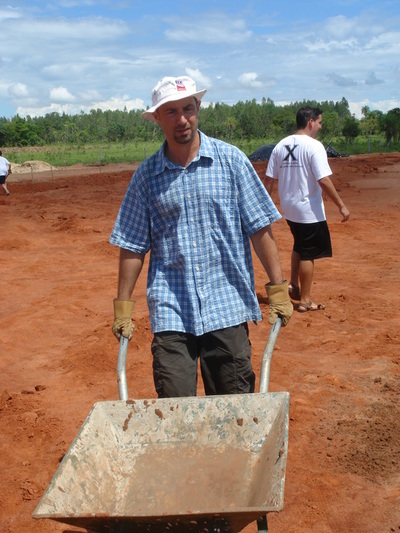 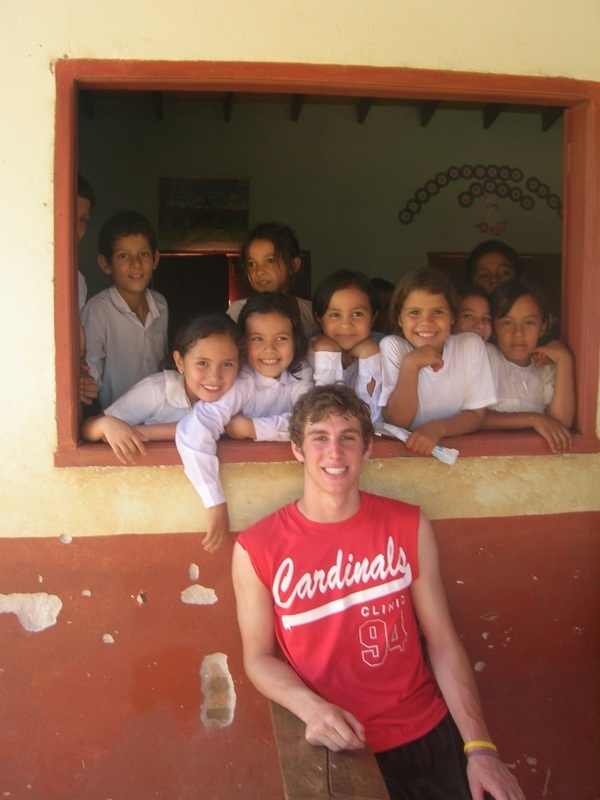 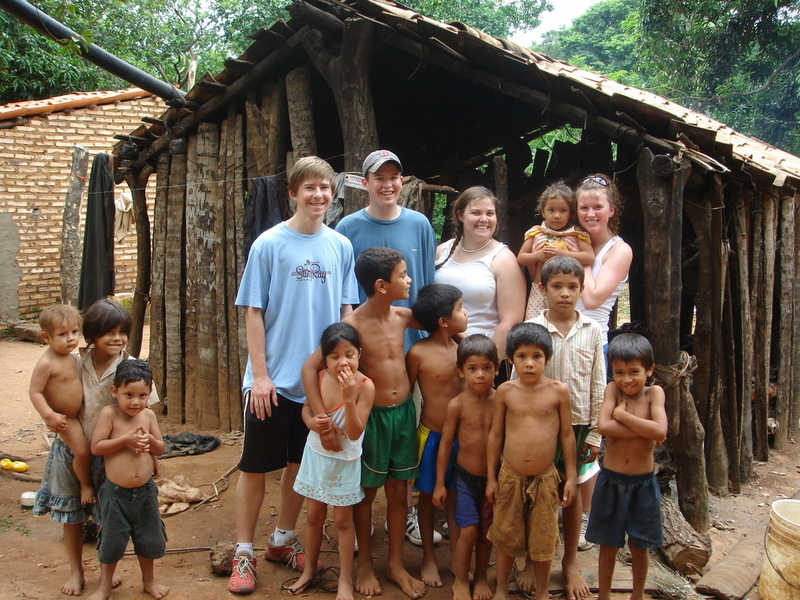 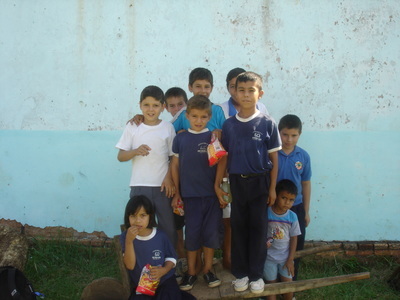 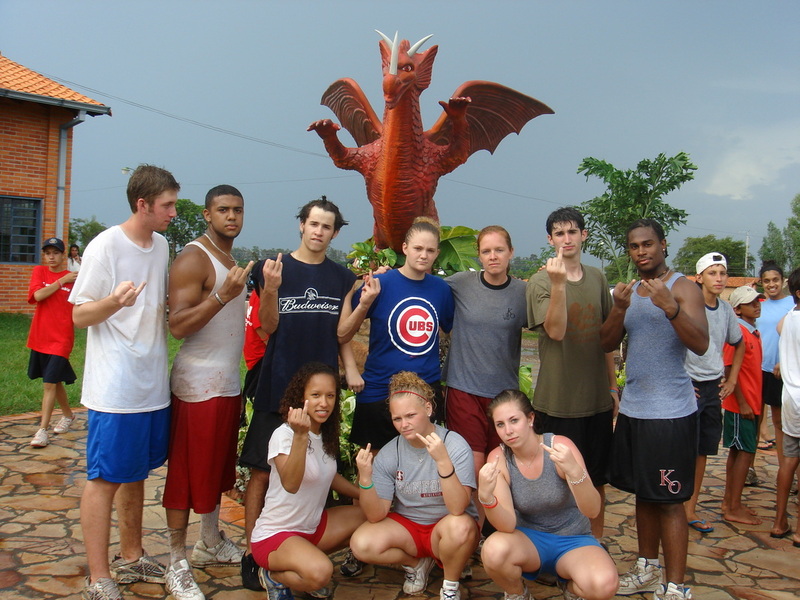 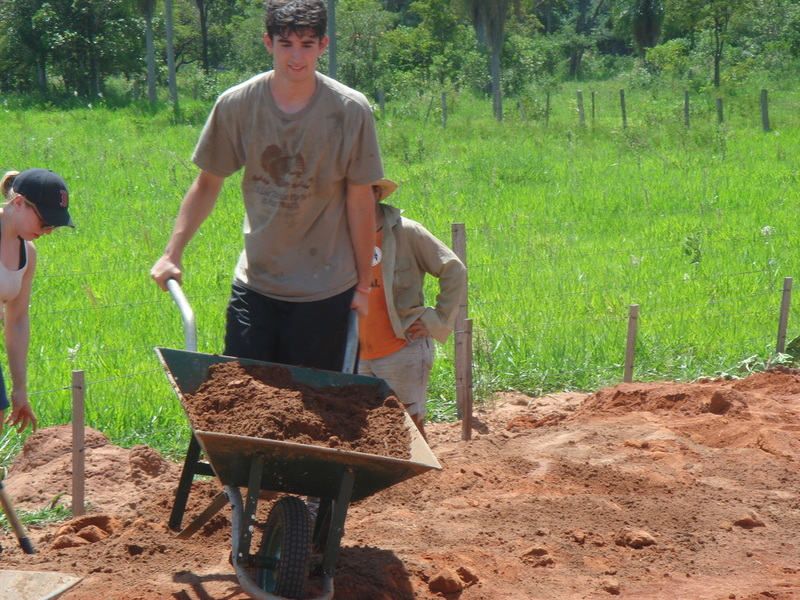 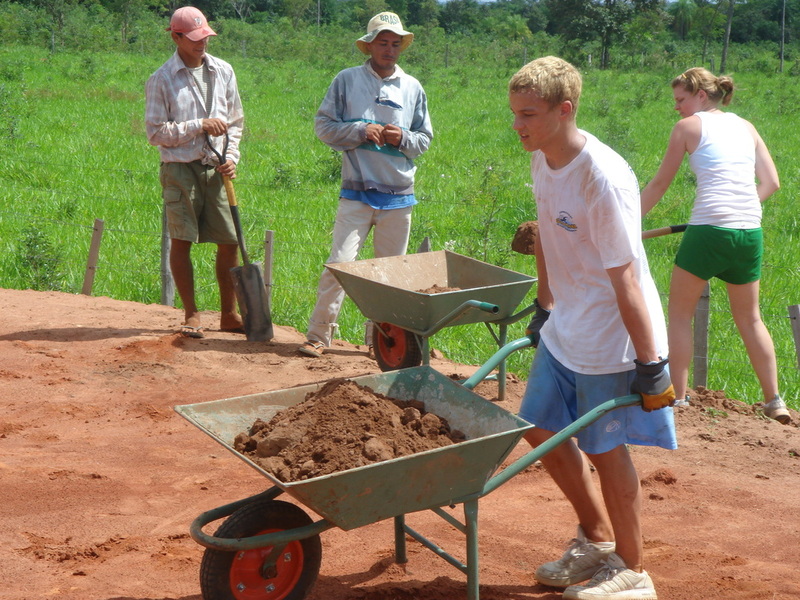 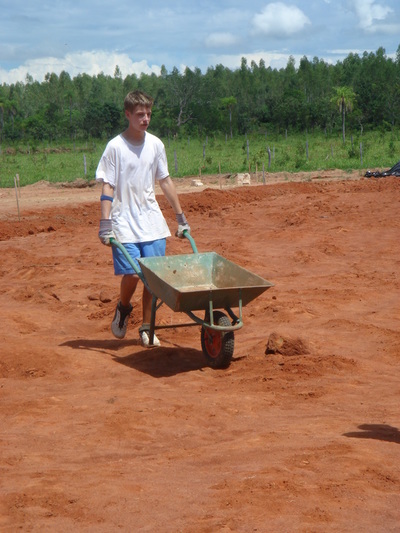 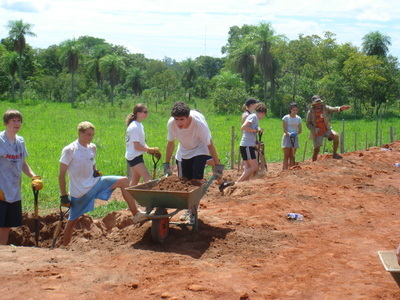 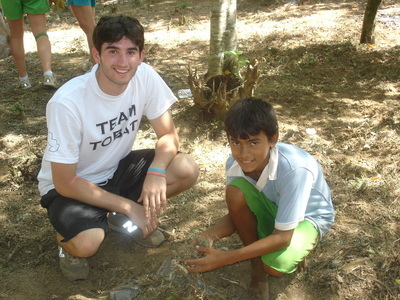 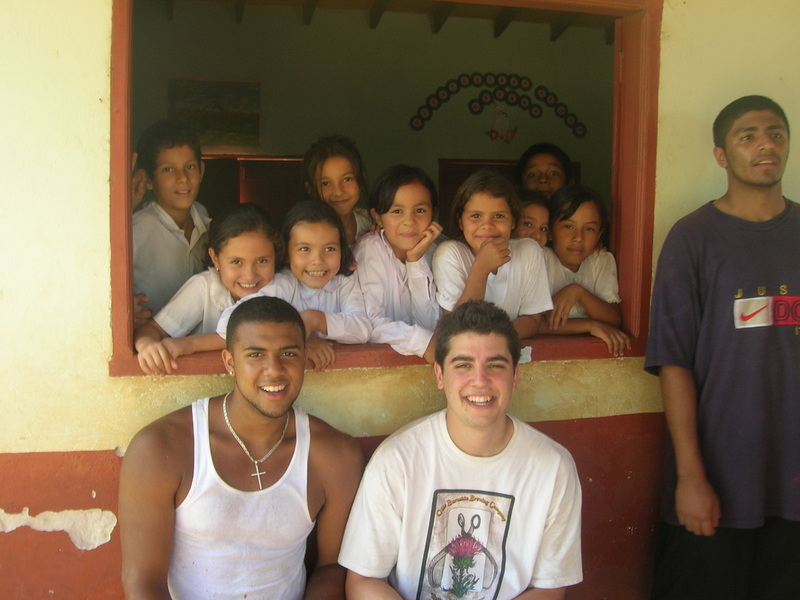 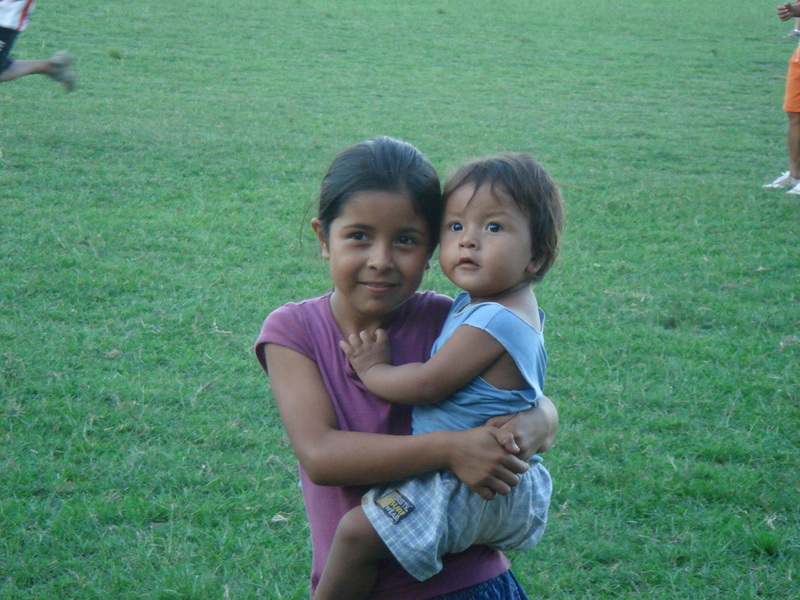 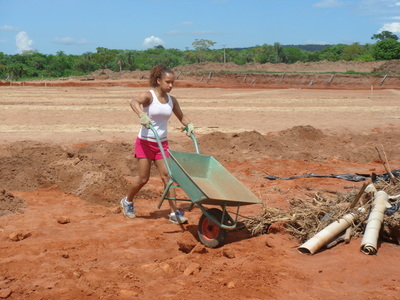 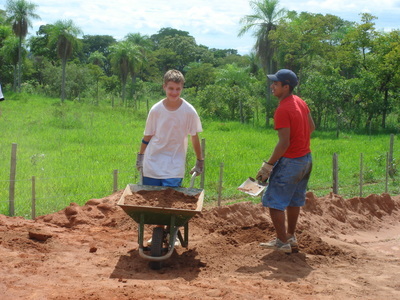 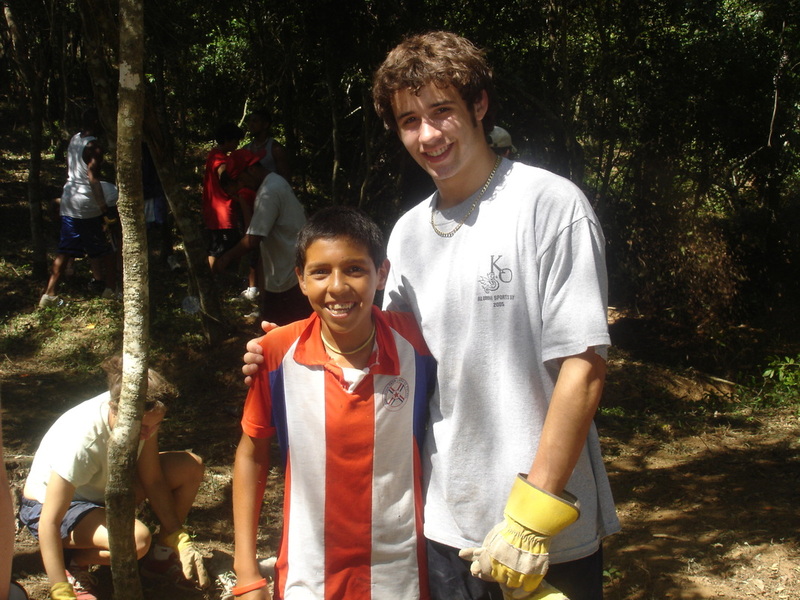 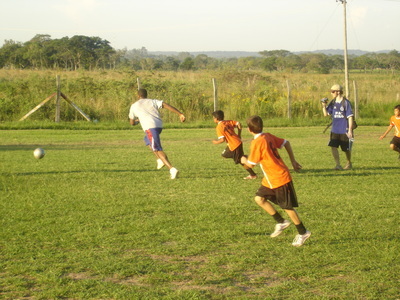 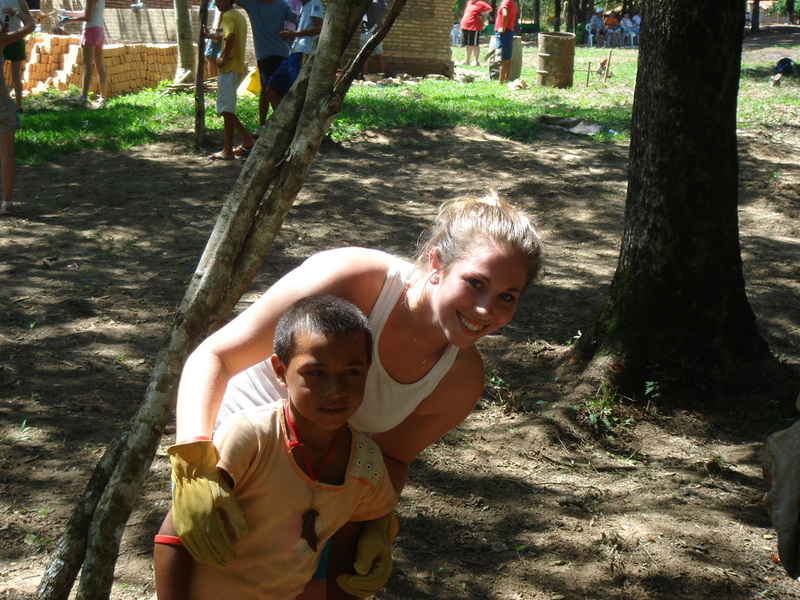 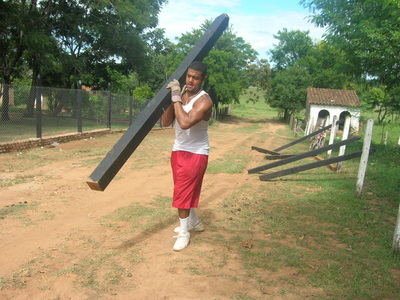 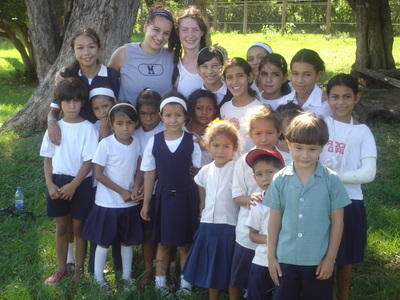 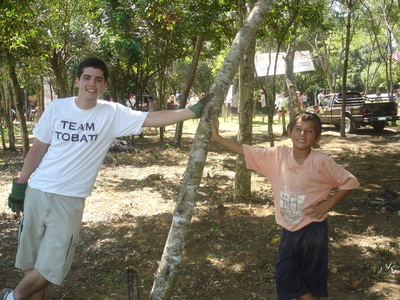 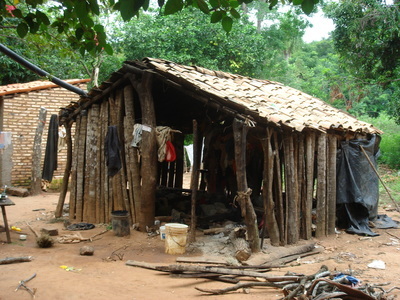 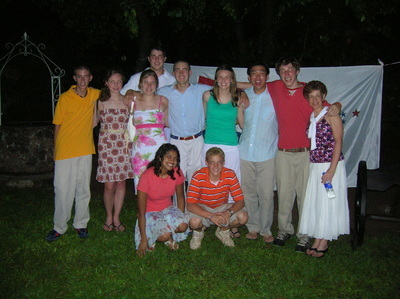 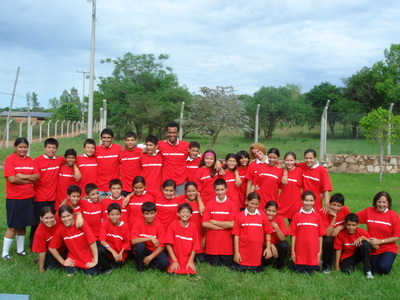 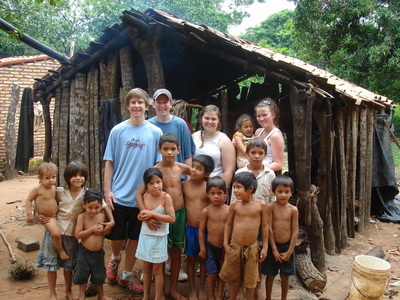 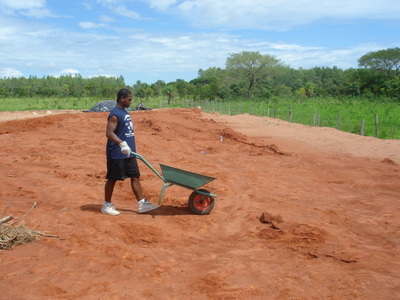 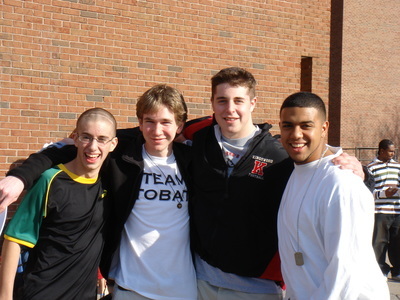 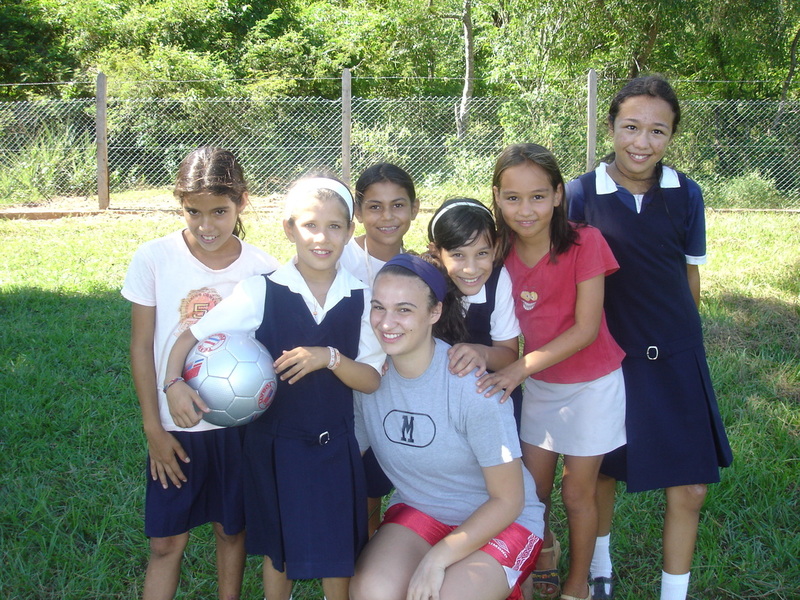 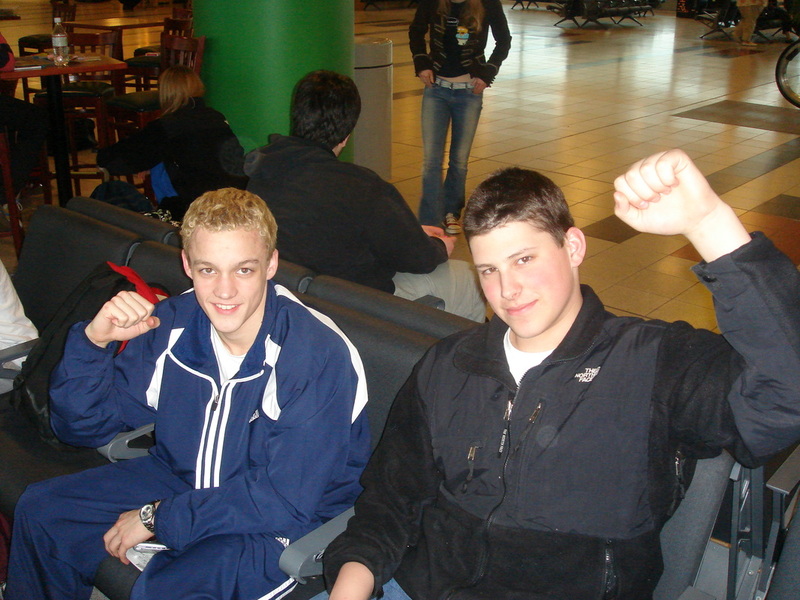 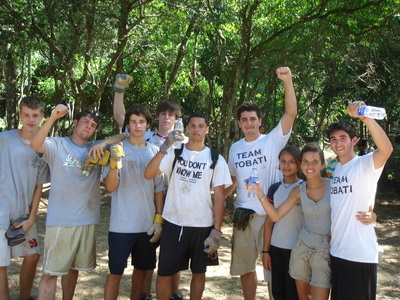 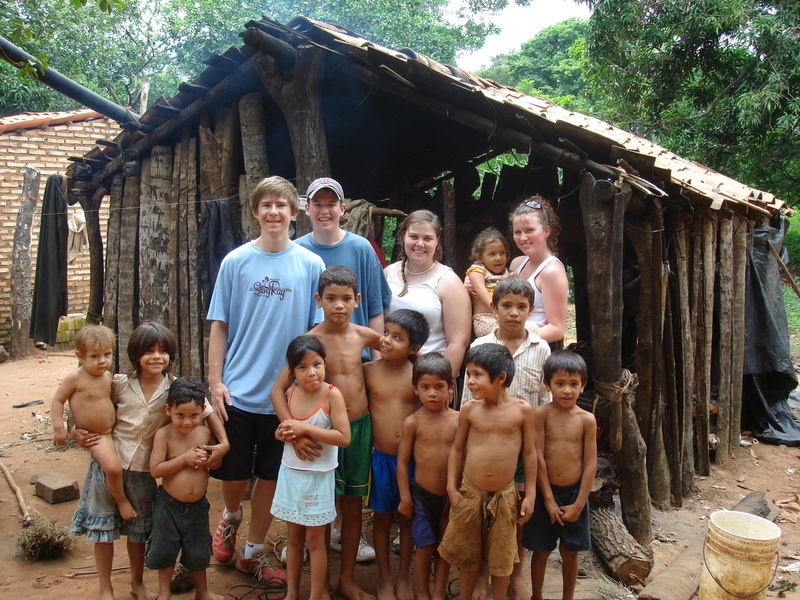 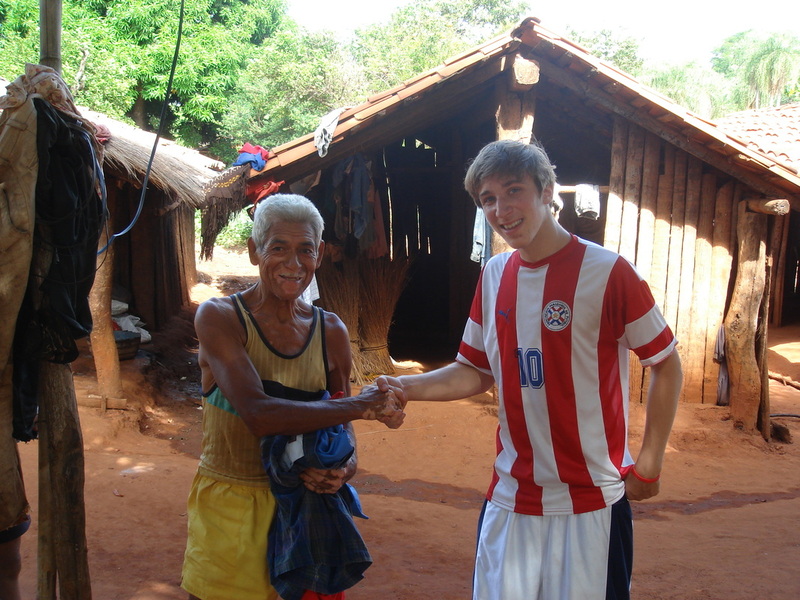 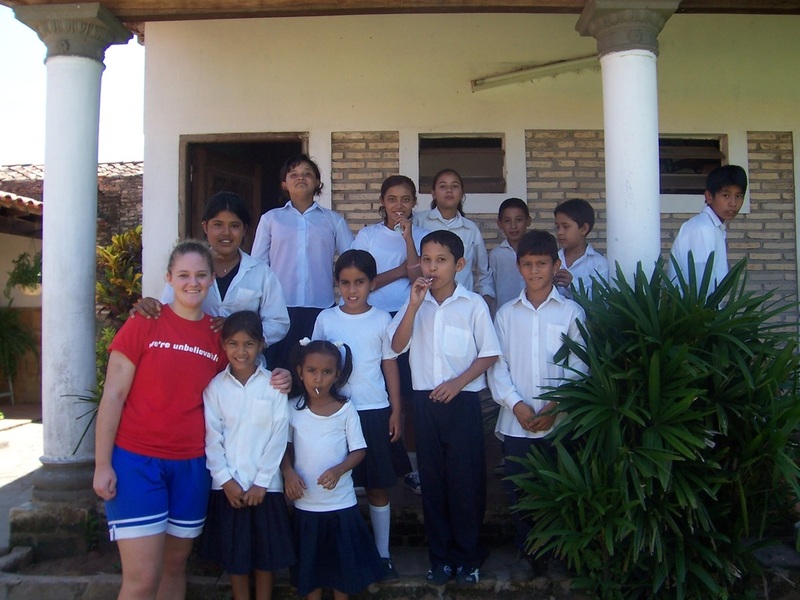 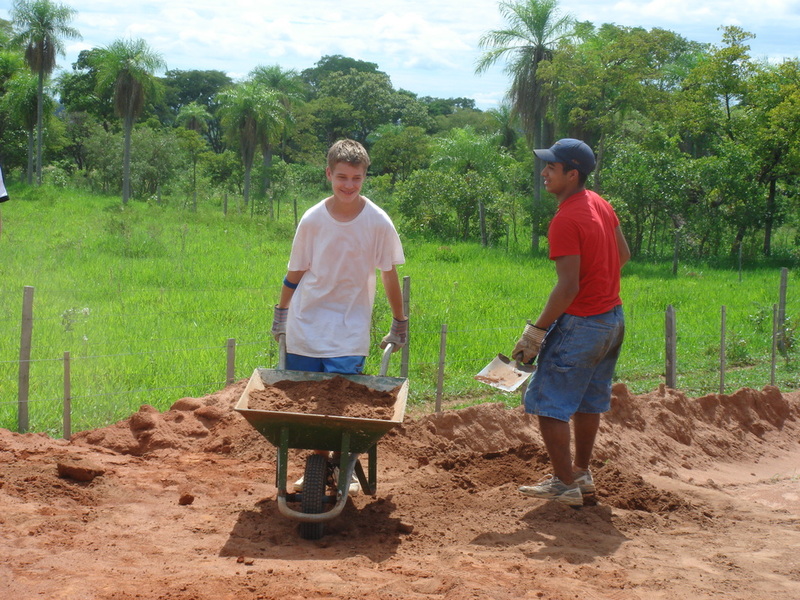 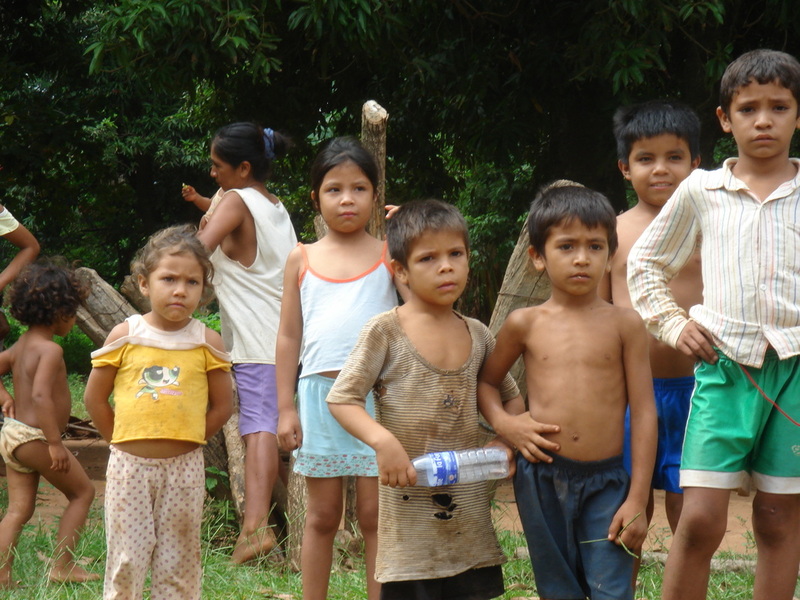 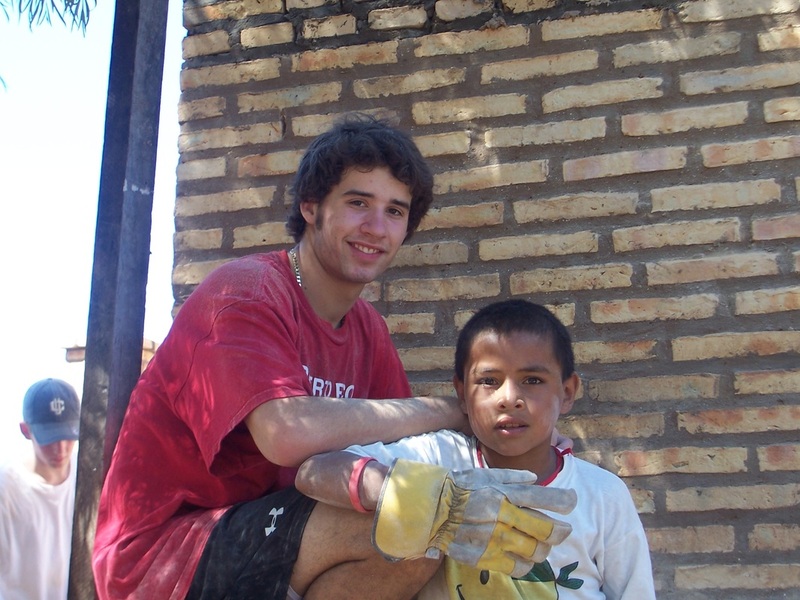 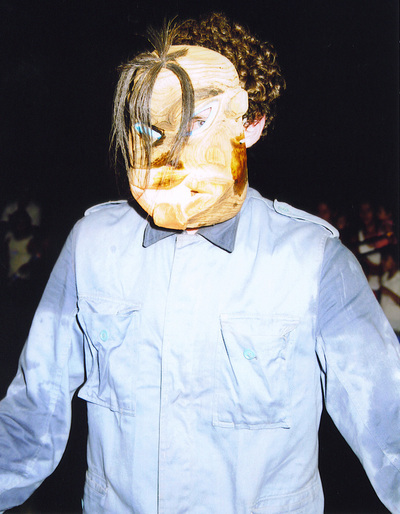 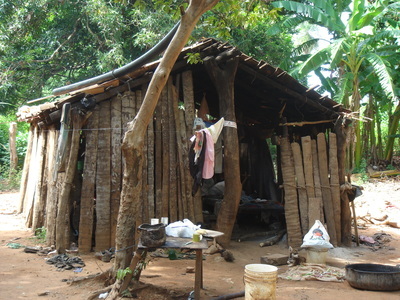 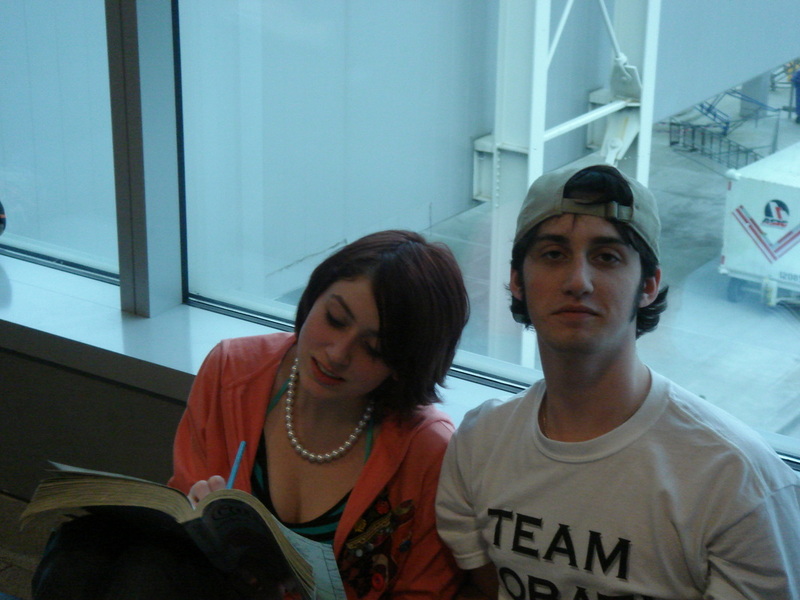 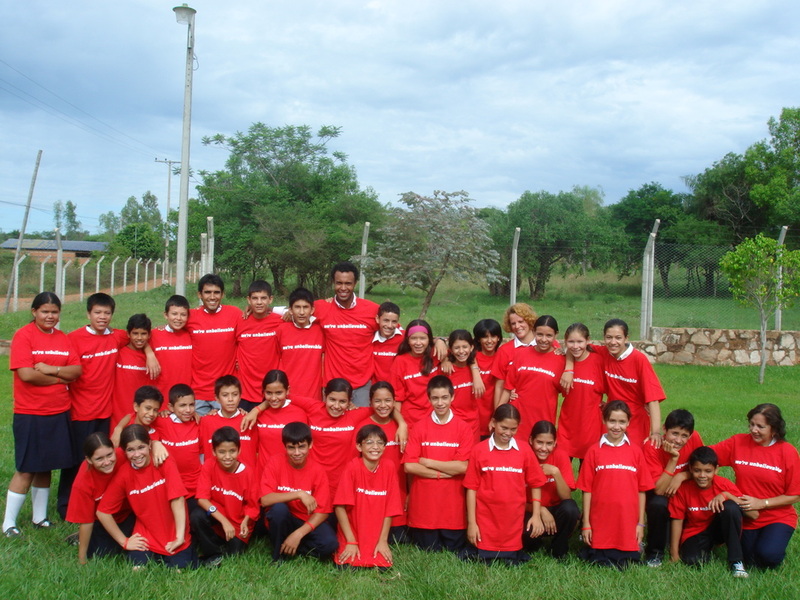 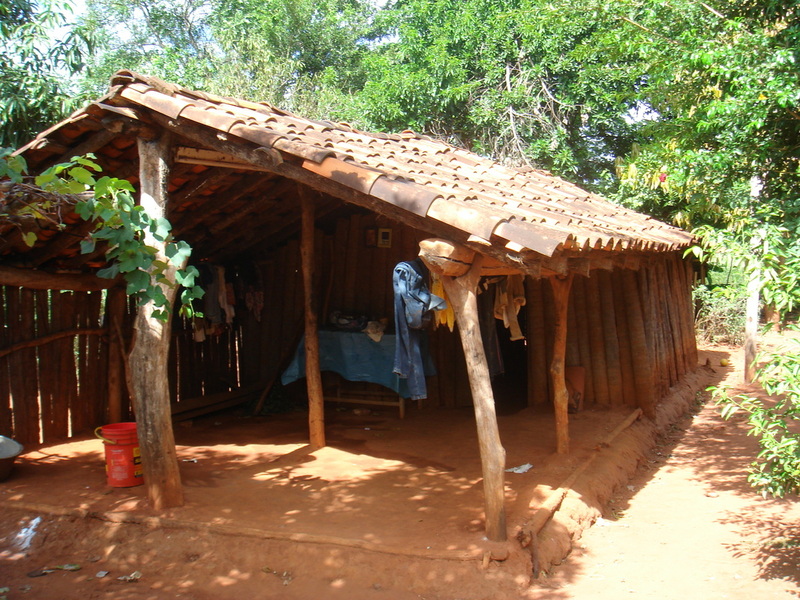 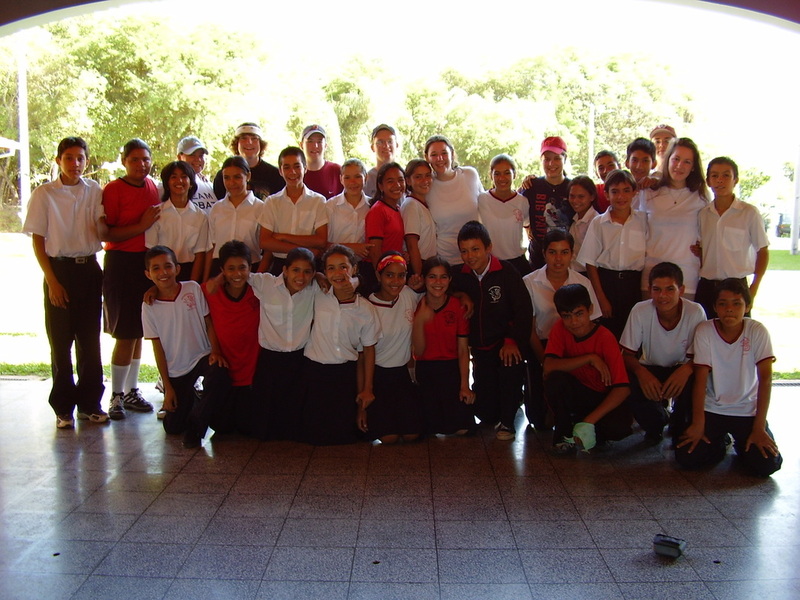 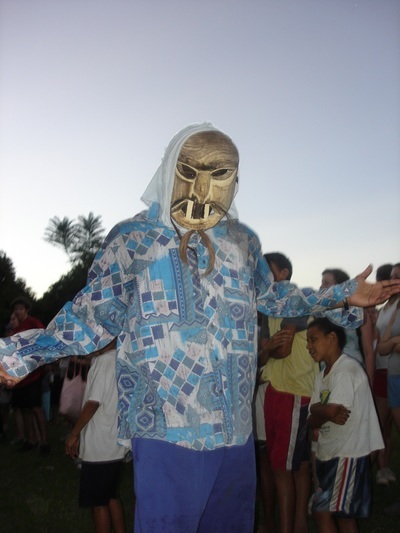 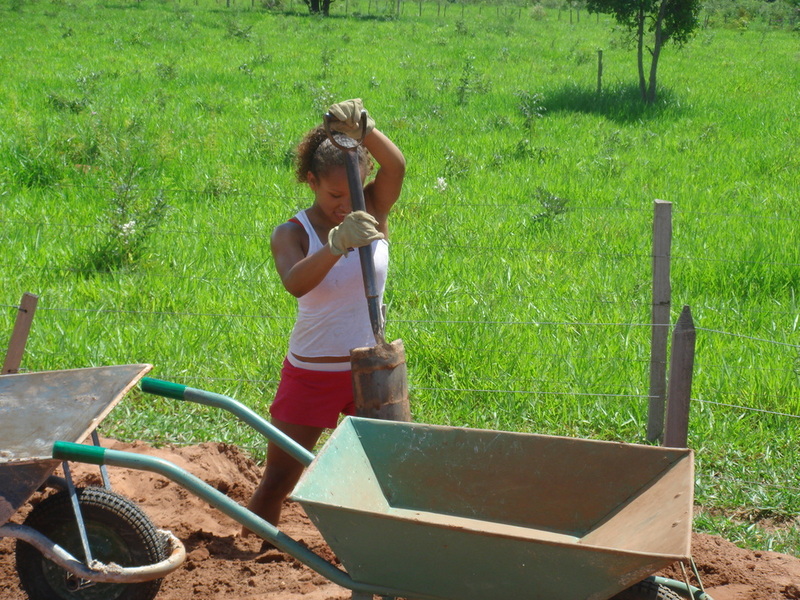 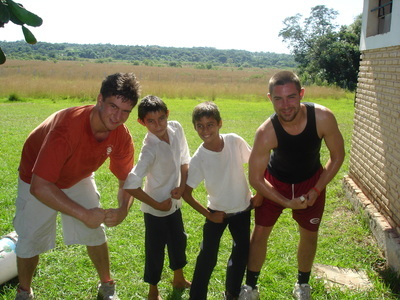 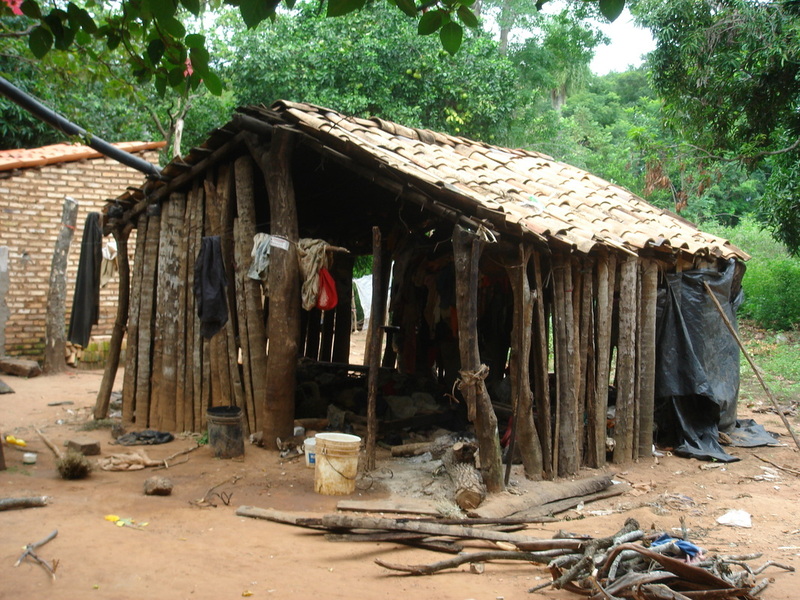 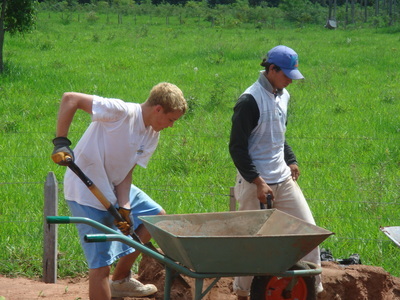 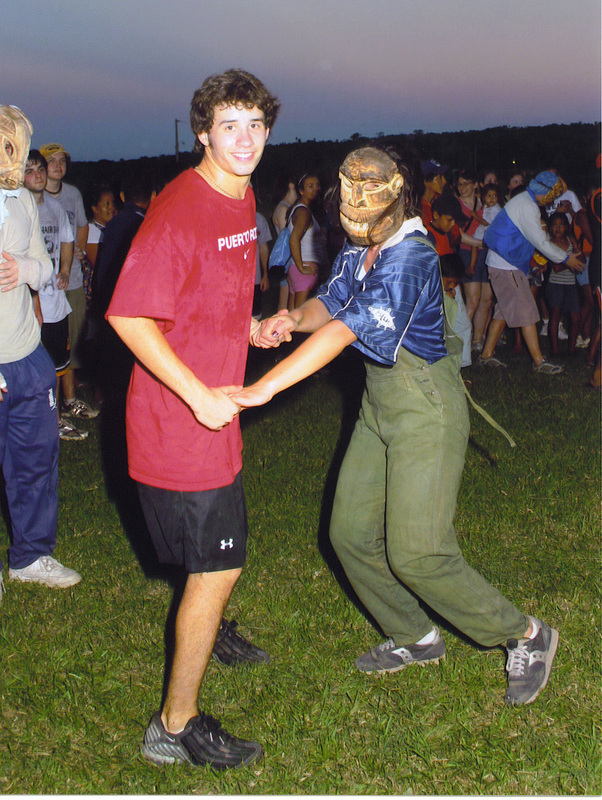 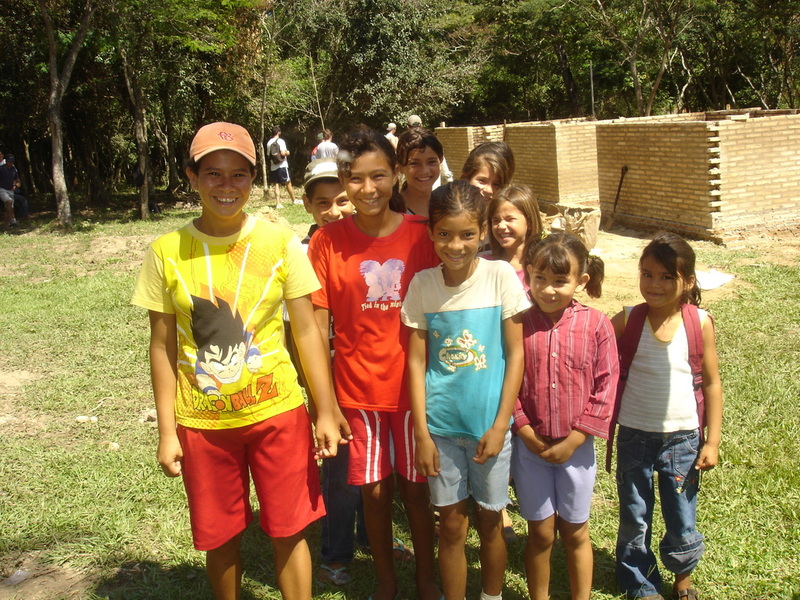 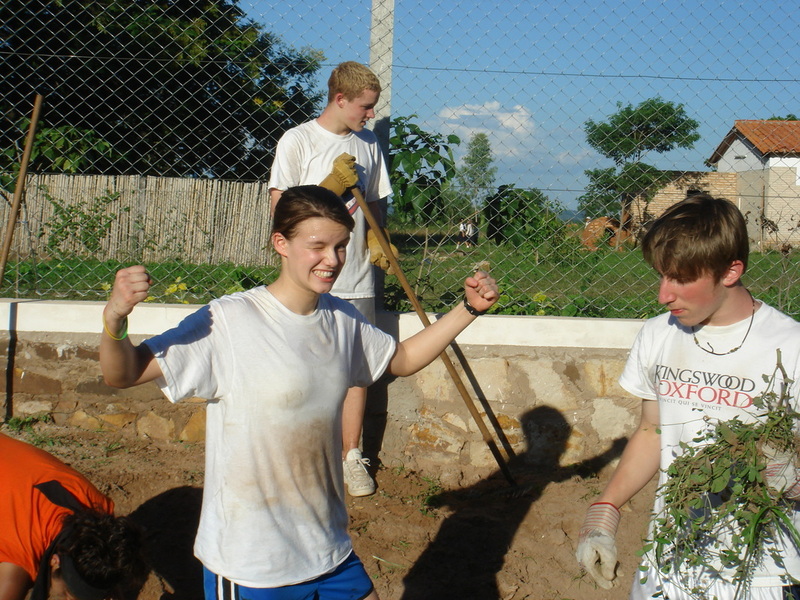 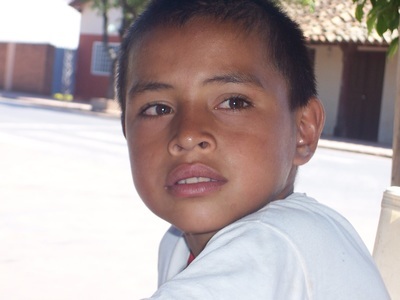 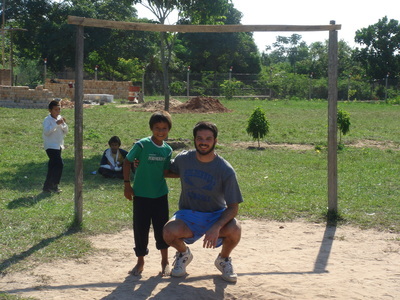 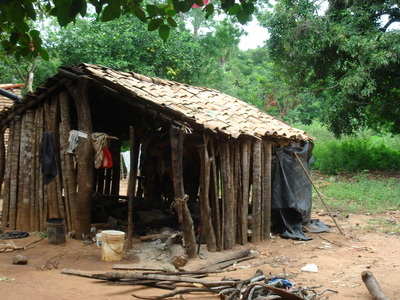 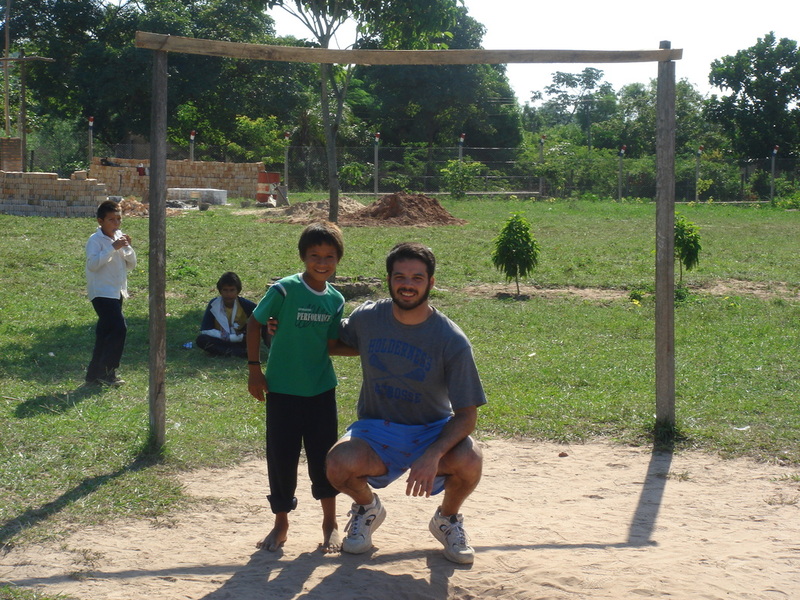 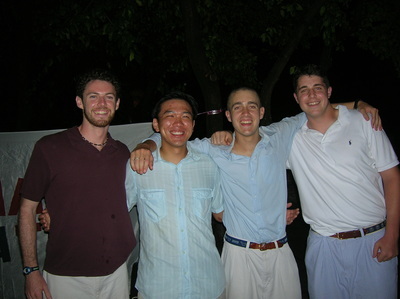 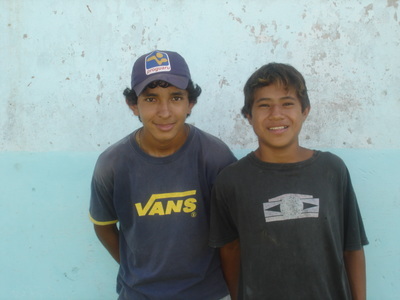 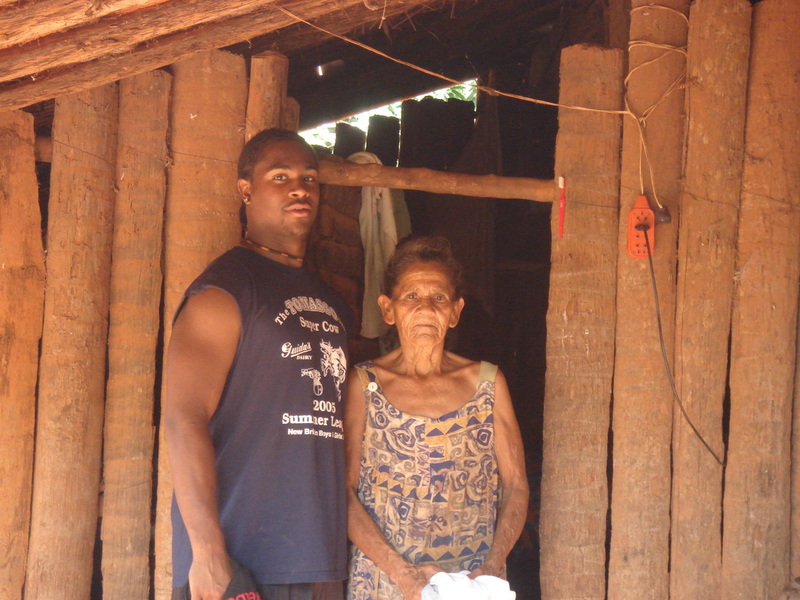 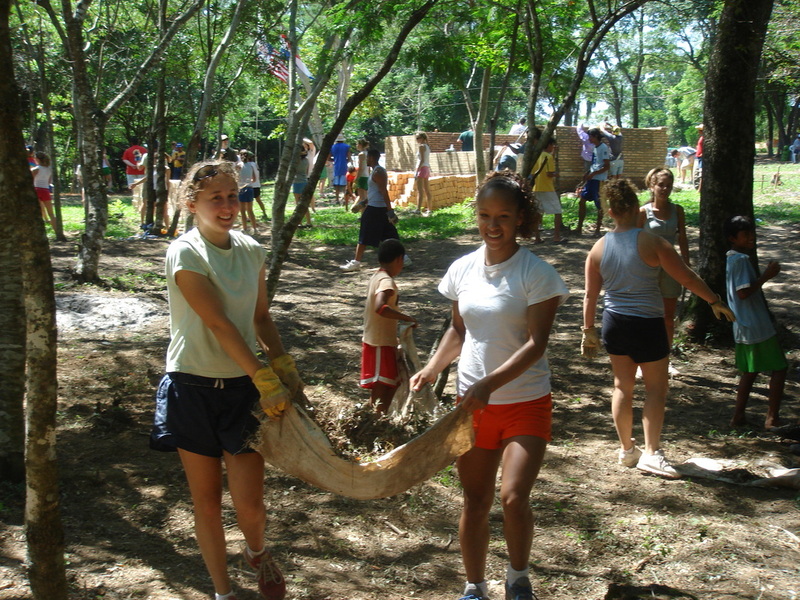 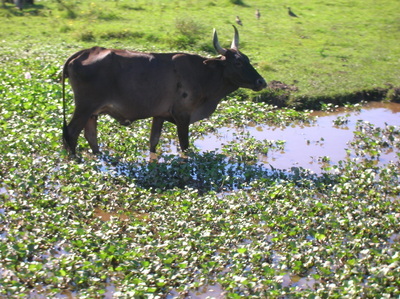 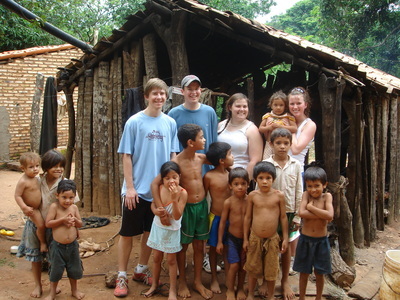 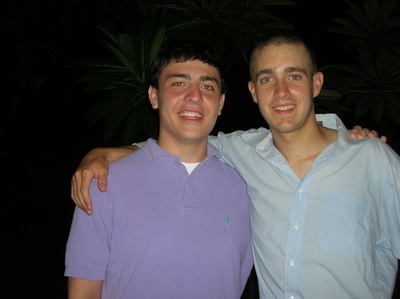 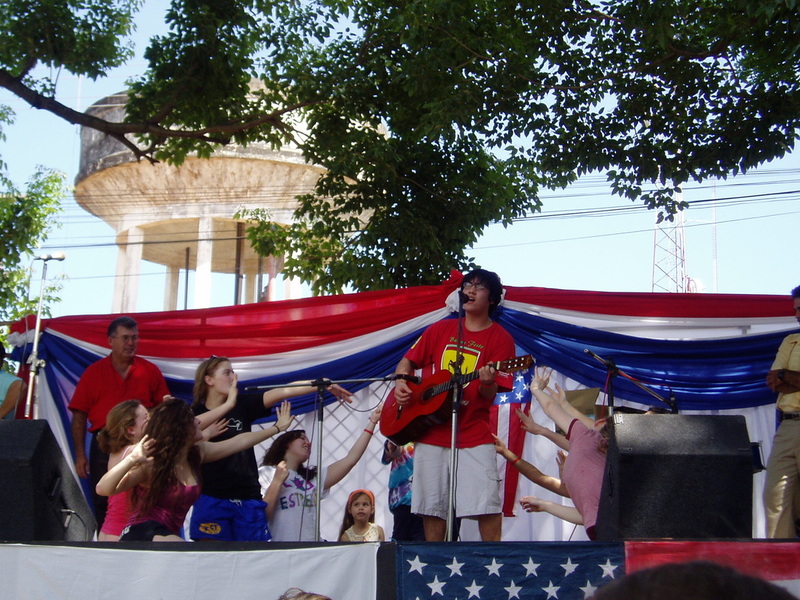 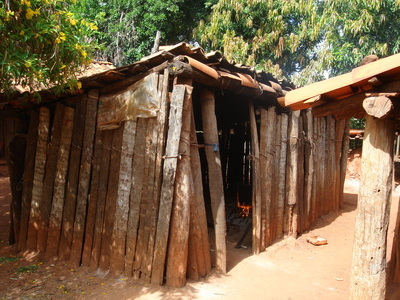 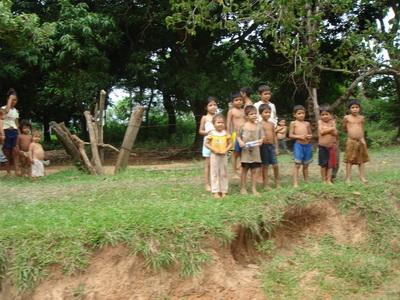 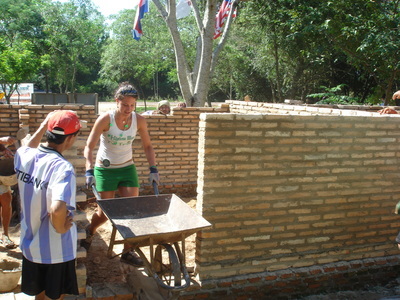 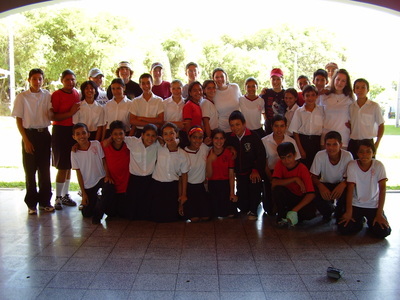 The dozens of projects and initiatives of Team Tobatí X were made possible due to the hard work and great generosity displayed by the 2006 team. 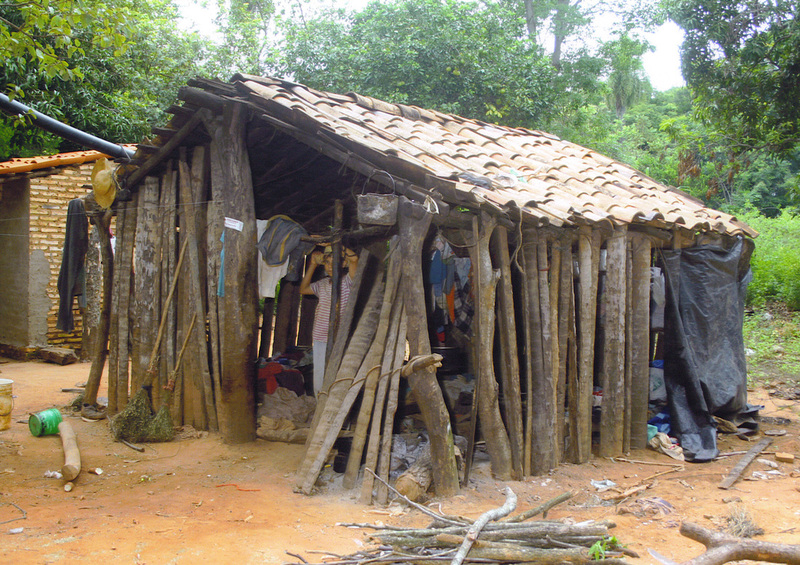 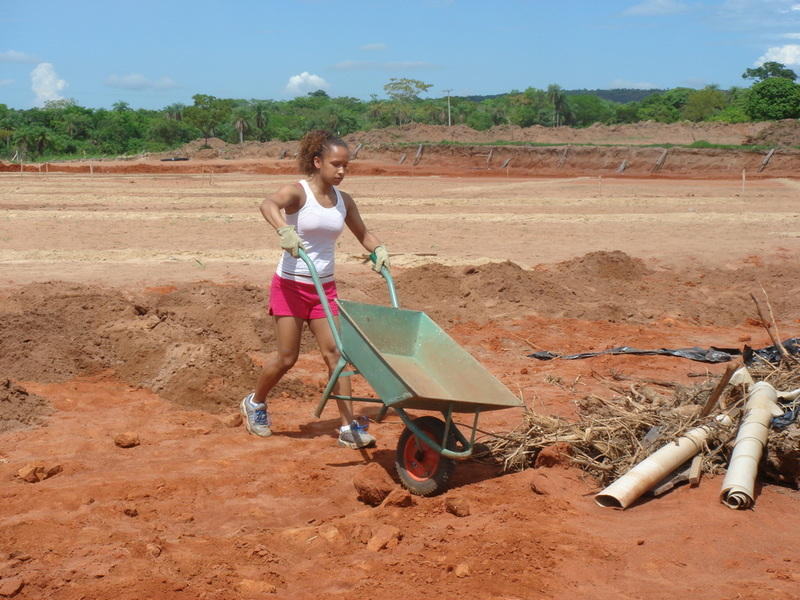 Team Tobatí X was split into 12 different work groups and rotated twice a day between many different construction projects throughout the 22 villages of Tobatí.